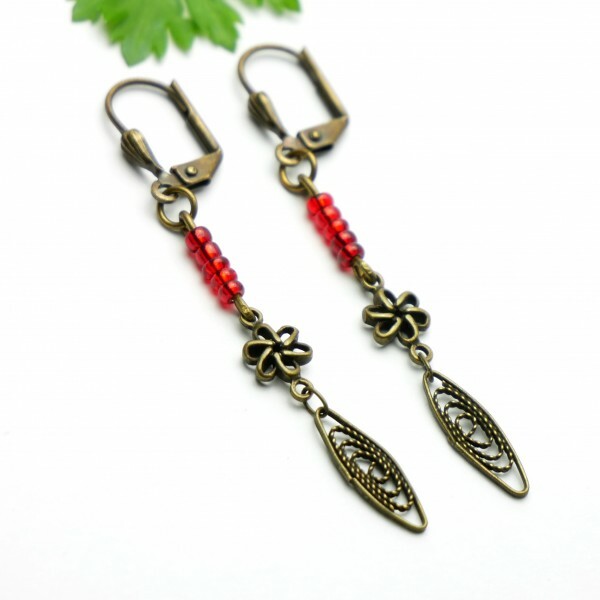 Kilt long pendant earrings. Sterling silver. A touch of modernity. 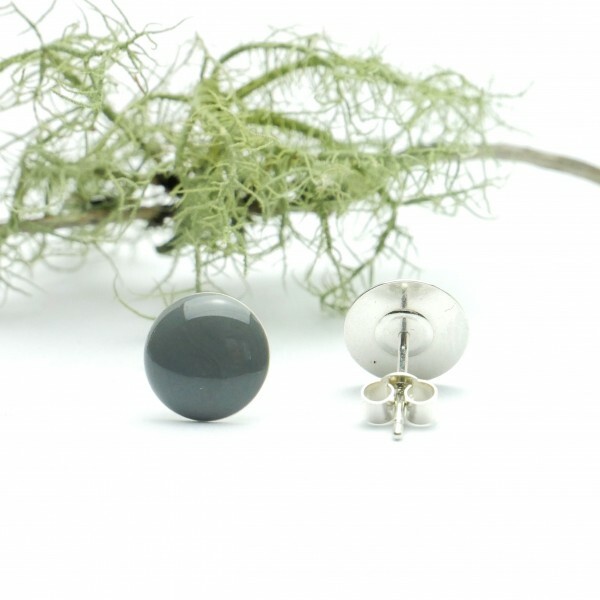 Pendant earrings from the "Kilt" collection. Sterling silver. Medallion size : 10X50 mm. Total length : 6,4 cm. Made in France. 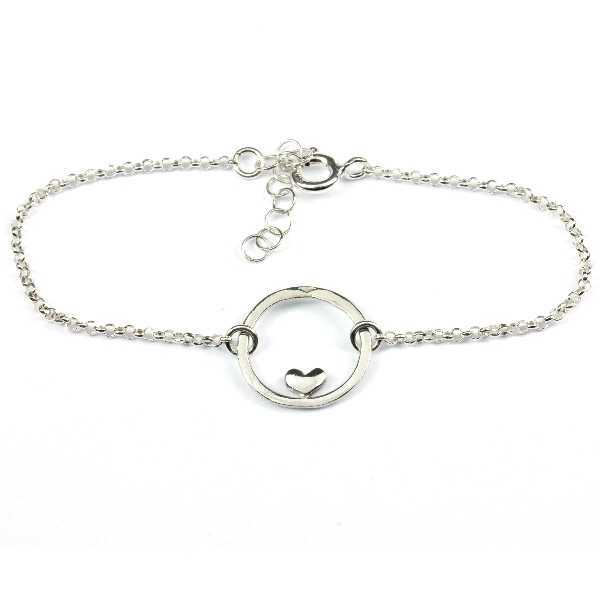 Nova star small bracelet. Fine golded bronze. A delicate star combining elegance and simplicity. Bracelet from the "Nova" collection. Fine golded bronze. Length: 15,5 -18,5 cm. Medallion size: 1,4cm. Made in France. Parcels are sent 48h after the order.Free shipping ! Koï fish long necklace. Sterling silver. According to legend, the "Koi" carp stands for happiness, health and prosperity. 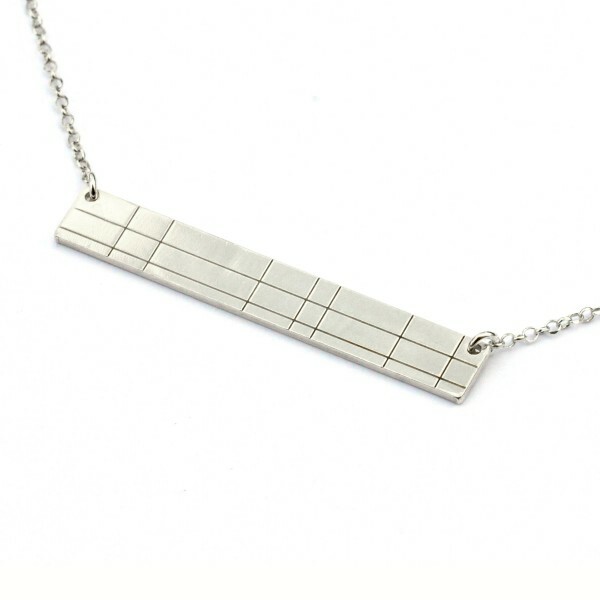 Long necklace from the "Koï" collection. Sterling silver. Chain length: 80cm. Medallion size: 5,5cm. Made in France. An ode to the spring. Cherry blossom adjustable necklace from the Sakura collection. Medallion size : 1,5 cm. Chain length : 40 - 45 cm (adjustable). Gold plated.Made in France. Awa bubble pendant earrings. Sterling silver. 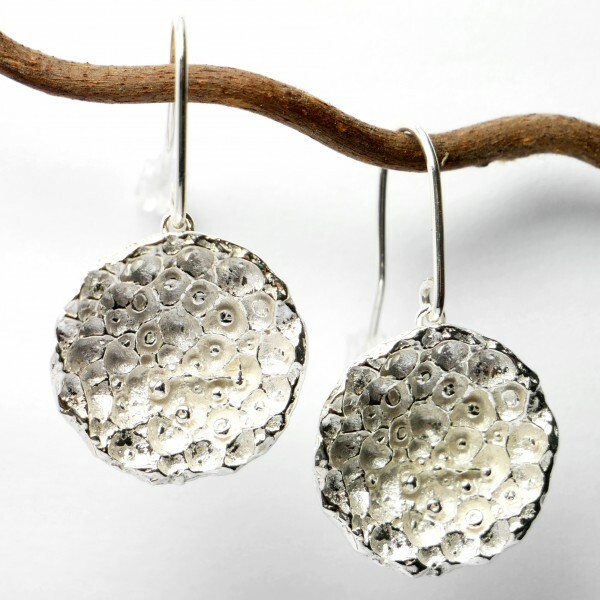 Bubble earrings from the "Awa" collection. Medallion size : 1,5x2,3 cm. Total chain length : 3,2 cm. Sterling silver. Made in France. 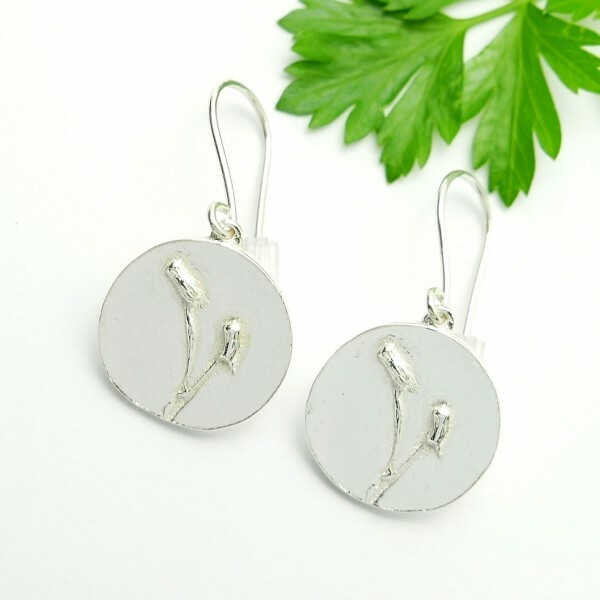 Nice sterling silver minimalist pendent earrings.Medallion size : 0,9 cm. Total length : 2 cmIt also exists with a star or a heart motive. It's possible to punch 1 or 2 letters instead of the motive on request.Everything is in sterling silver.Made in France. An ode to the spring. 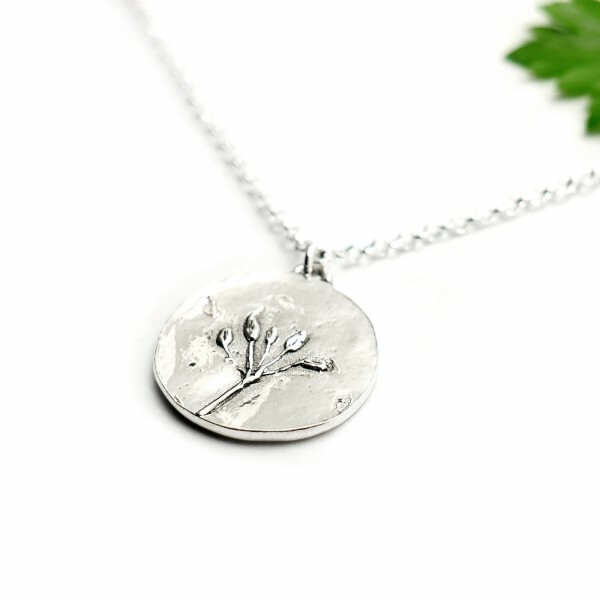 Cherry blossom sterling silver adjustable necklace from the Sakura collection. Medallion size : 2,8 cm. Chain length : 40 to 45 cm (adjustable). Made in France. A little star pendant designed for daydreaming. Adjustable star pendant on cable necklace from the Sati collection. Sterling silver and cable. Cable length: from 42 to 45cm (adjustable). Medallion size: 0,7 cm. Made in France. It's necessary to avoid bending the cable, it risks to stand out. 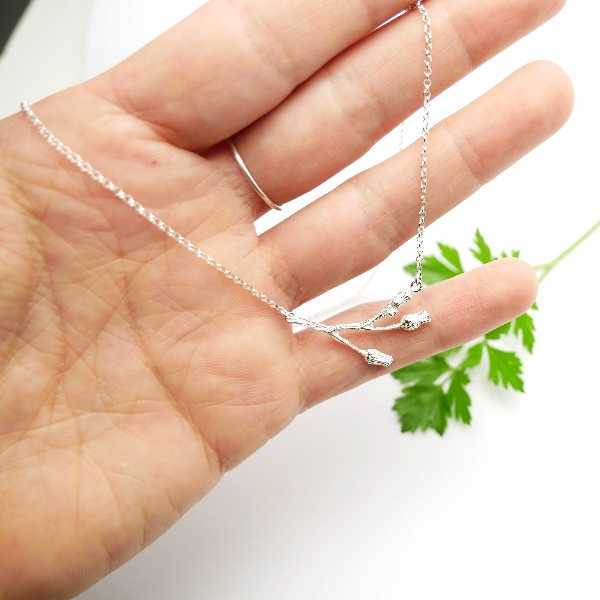 A beautiful necklace which attract the light as the looks.Small adjustable necklace in sterling silver from the Litchi collection.Chain length : from 40 to 45 cm (adjustable).Medallion size : 0,9 cm.Thickness: approximately 2 mm.Made in France. A slight touch of romance. 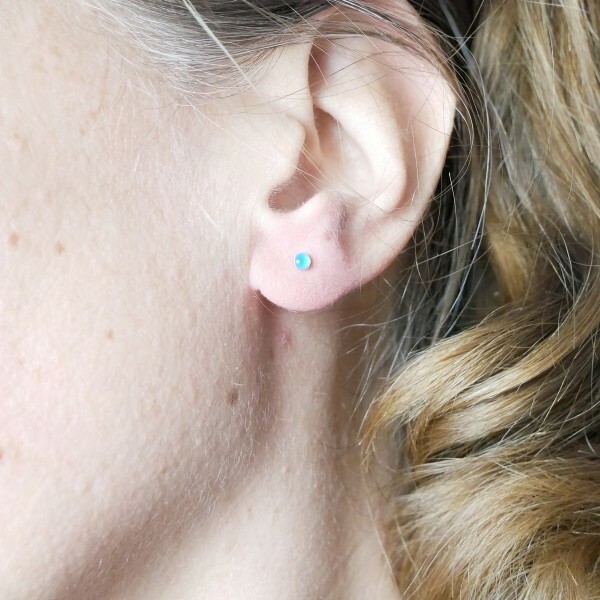 Reversible pendant earrings for pierced ears from the Valentine collection. Sterling silver and translucent red resin. Medallion size: 2,2cm. Length: 3,5cm. Made in France. A slight touch of romance. Reversible heart pendant on chain from the Valentine collection. Sterling silver and translucent purple resin.Medallion size: 1,5 cm. Chain length: 40 to 45cm (adjustable). Made in France. An ode to spring. 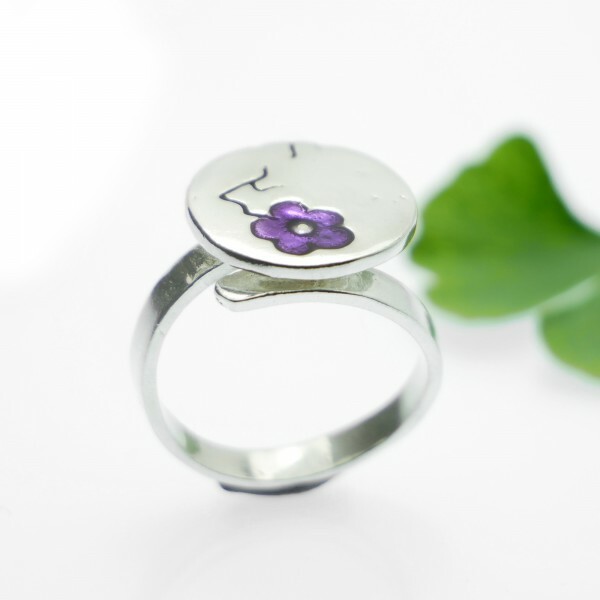 Sterling silver ring decorated with a delicate cherry blossom from the Prunus collection. Flower size : 0,7 cm. 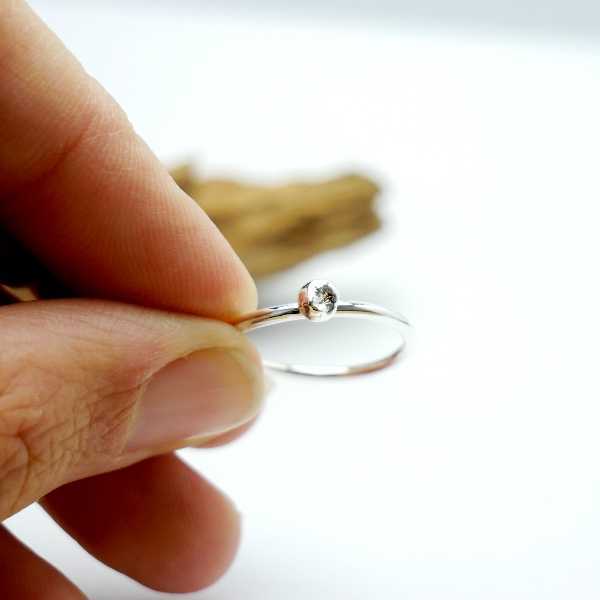 Ring thickness : 1.5 mmRing size : every size is possible, tell me your size when you make your order.Sterling silver. Made in France. The cherry blossom is the ultimate sign of spring and the coming of new life. Pendant on chain from the Cherry Blossom collection. Sterling silver and black resin. Chain length: 40 to 45cm (adjustable). Medallion size: 1,2x3,7 cm. Made in France. 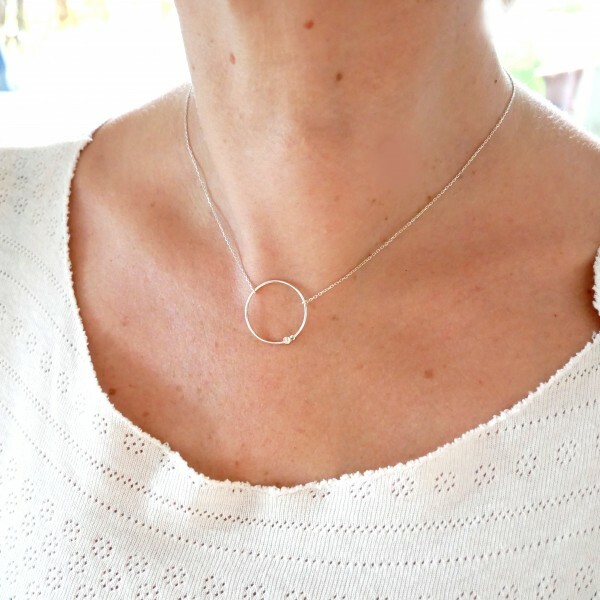 A delicate star allying elegance and simplicity.Adjustable sterling silver necklace from the Nova collection. Chain length from 40 to 45 cm (adjustable). Medallion size : 1,4 cm. Made in France. 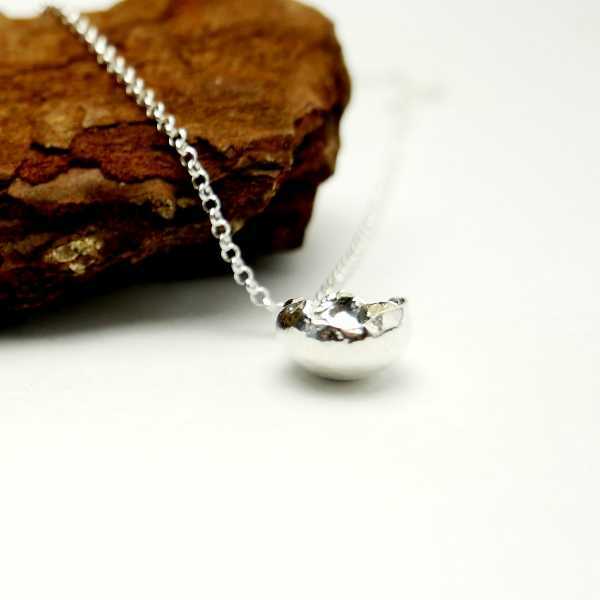 A delicate star combining elegance and simplicity. 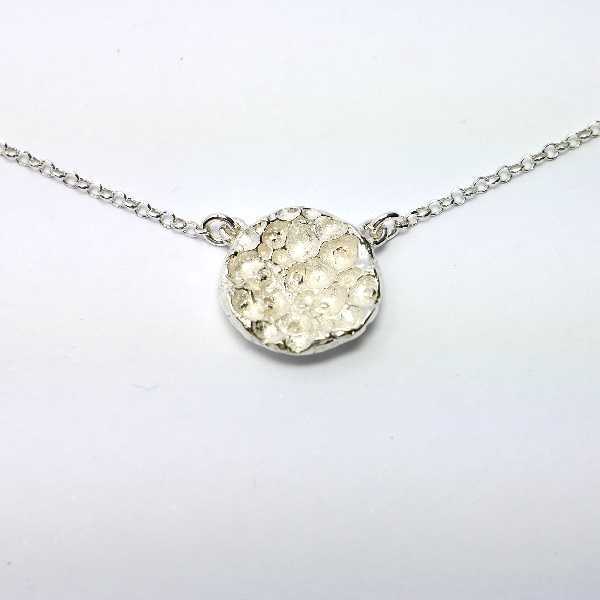 Pendant on adjustable chain from the Nova collection. Sterling silver. Chain length: 40 to 45cm (adjustable). Medallion size: 2cm. Made in France. A delicate star combining elegance and simplicity. 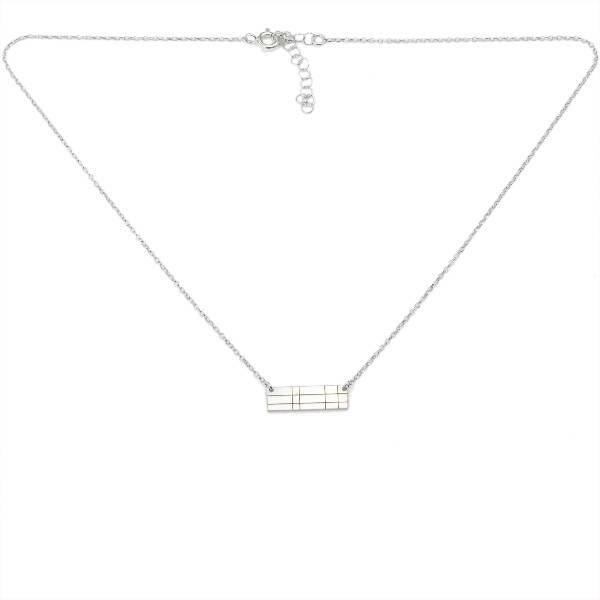 Pendant on adjustable chain from the Nova collection. Sterling silver. Chain length: 40 to 45cm (adjustable). Medallion size: 3,2cm. Made in France. A delicate star combining elegance and simplicity. Pendant on adjustable chain from the Nova collection. Sterling silver. Chain length: 40 to 45cm (adjustable). Medallion size: 5,5cm. Made in France. 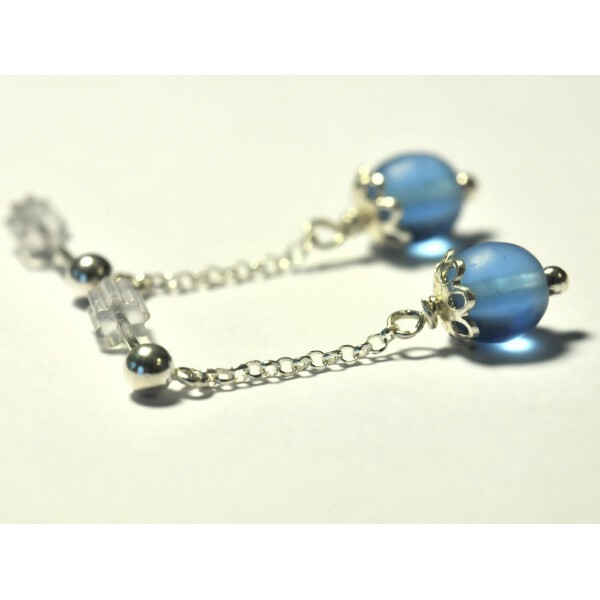 Nova star earrings. Sterling silver. 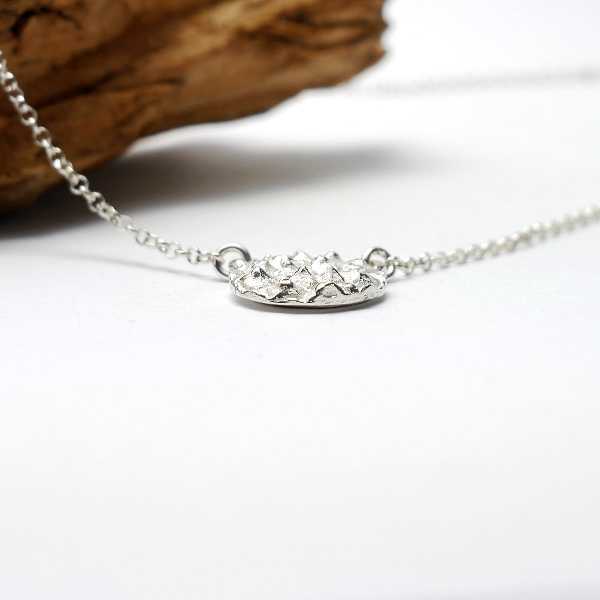 A delicate star combining elegance and simplicity. 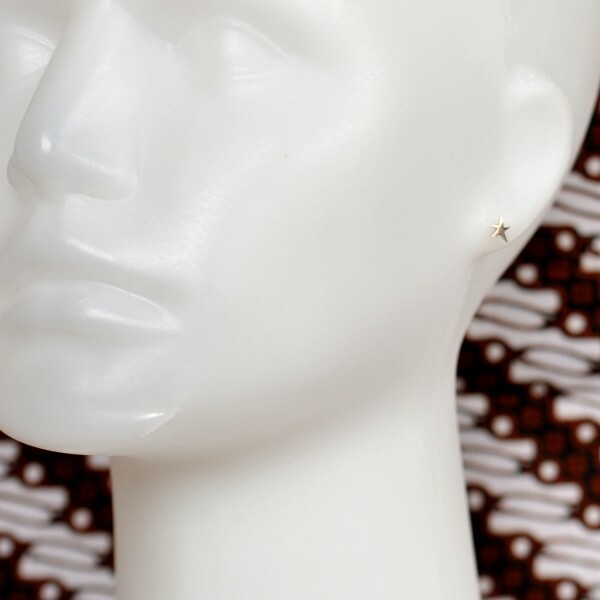 Pendant earrings for pierced ears from the Nova collection. Sterling silver. Total length: 3,5cm. Medallion size: 2cm. Made in France. 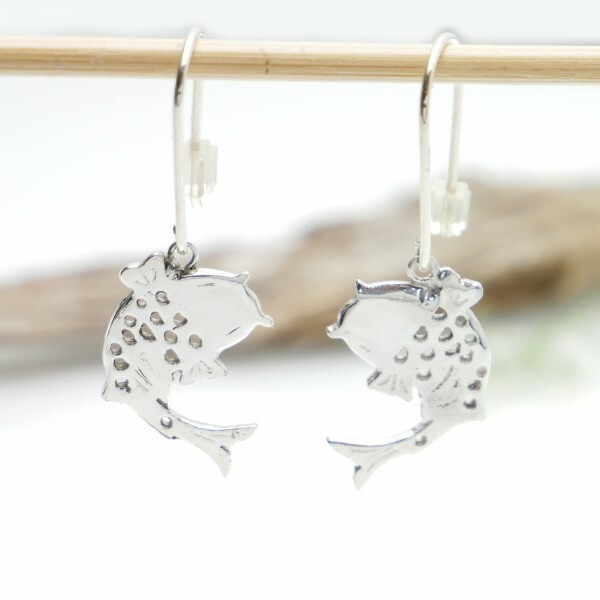 Nova star pendant earrings. Sterling silver. A delicate star combining elegance and simplicity. 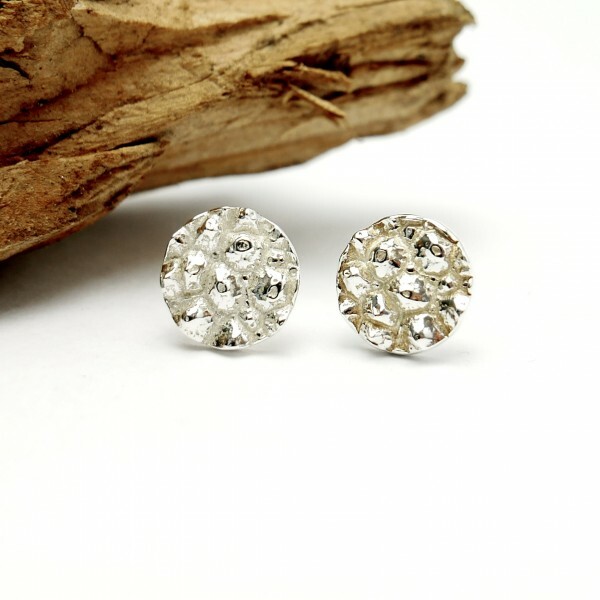 Pendant earrings for pierced ears from the Nova collection. Sterling silver. Length: 4 cm. Medallion size: 1,4 cm. Made in France. 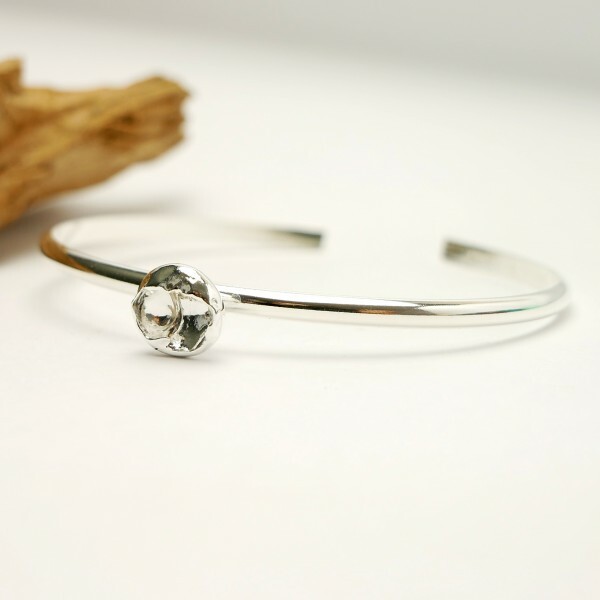 A delicate star allying elegance and simplicity.Adjustable sterling silver bracelet from the Nova collection. 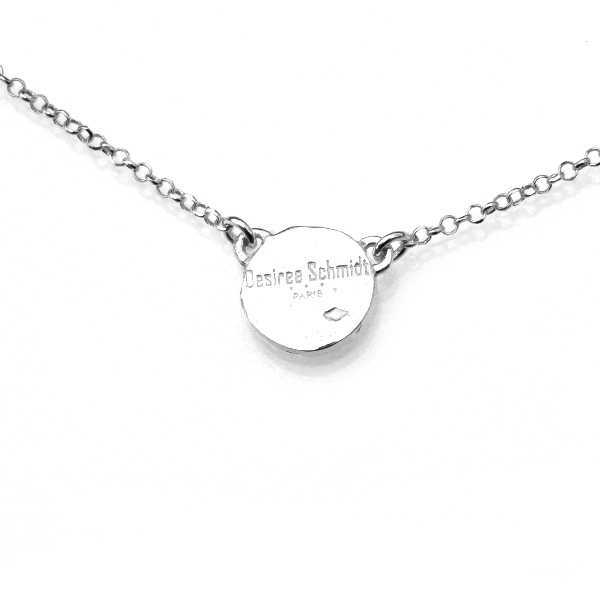 Chain length from 15,5 to 18,5 cm (adjustable). Medallion size : 1,4 cm.Made in France. A delicate star combining elegance and simplicity. Bracelet from the "Nova" collection. Sterling silver. Length: 16-18cm. Medallion size: 2cm. Made in France. Parcels are sent 48h after the order.Free shipping ! Sati star necklace. Sterling silver. A star cluster designed for daydreaming. Adjustable necklace from the Sati collection. Sterling silver. Length: from 40 to 45cm (adjustable). Medallion size: 2x3,5cm. Made in France. 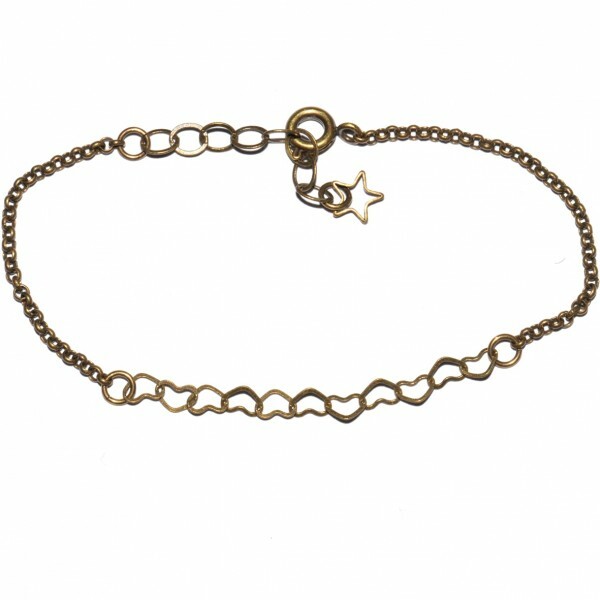 Sati star bracelet. Sterling silver. A star cluster designed for daydreaming. Bracelet from the "Sati" collection. Sterling silver. Length: 15cm. 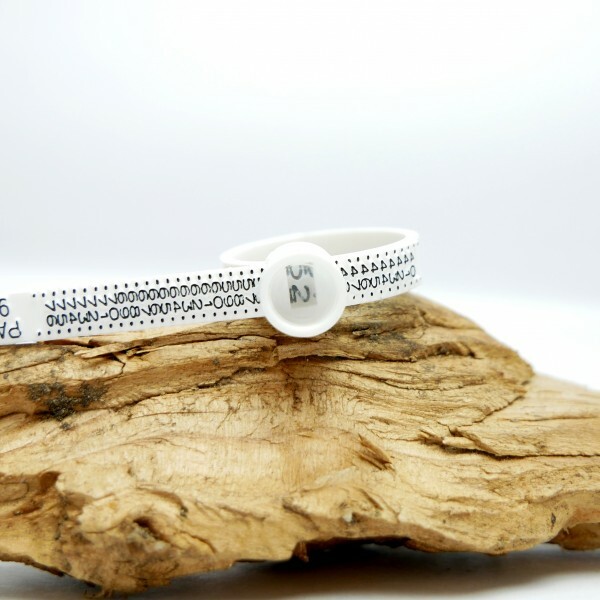 Bracelet thickness: 2mm. Medallion size: 1,7x3,5cm. Made in France. Star pendant on chain. Sterlin silver. The poetry of a night-sky. Pendant on chain from the "Star" collection. Sterling silver. Medallion size : 25 mm. Chain length : 40-45 cm (ajustable). Made in France. 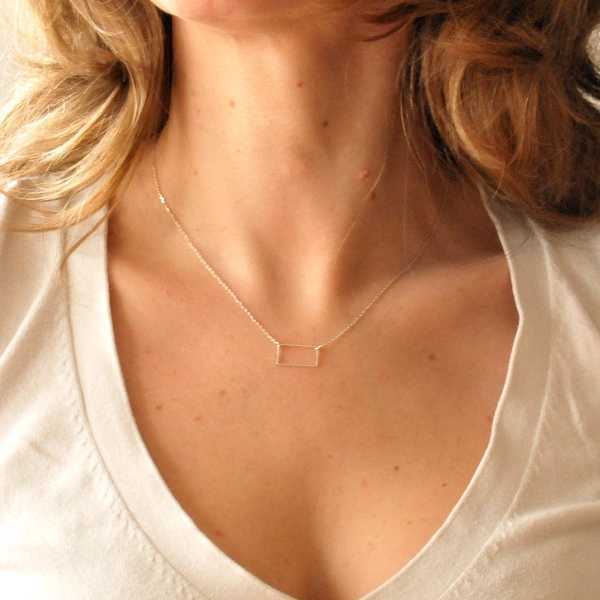 Star square long necklace. Sterling silver. The poetry of a night-sky. Pendant on chain from the "Star" collection. Sterling silver. Medallion size : 15x35 mm. Chain length : 40-45 cm (ajustable). Made in France. 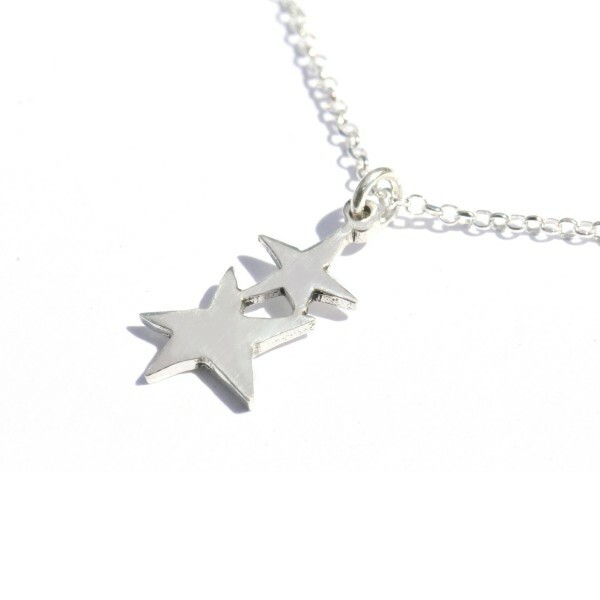 Star small square necklace. Sterling silver. The poetry of a night-sky. Pendant on chain from the "Star" collection. Sterling silver. Medallion size : 15x15 mm. Chain length : 40-45 cm (ajustable). Made in France. 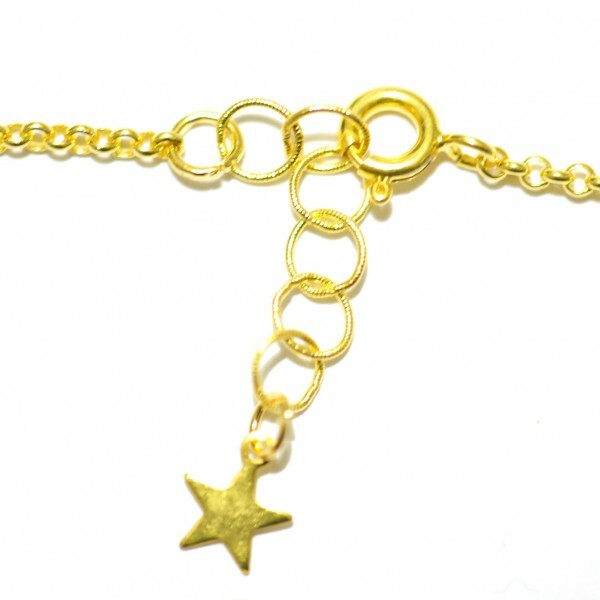 A delicate star allying elegance and simplicity.Adjustable fine golded necklace from the Nova collection. Chain length from 40 to 45 cm (adjustable). Medallion size : 1,4 cm.Made in France. A delicate star combining elegance and simplicity. 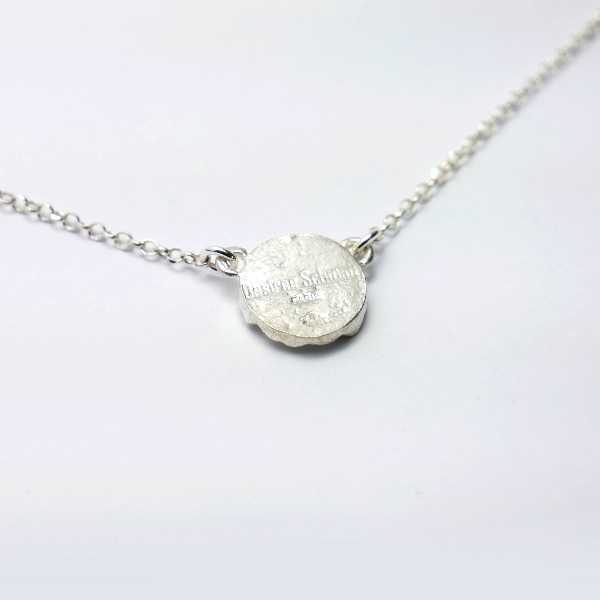 Pendant on adjustable chain from the Nova collection. Fine golded bronze.Chain length: 40 to 45cm (adjustable). Medallion size: 2cm. Made in France. A delicate star combining elegance and simplicity. Pendant on chain from the "Nova" collection. Sterling silver. Chain length: 42-45cm. Medallion size: 3,2cm. Made in France. Parcels are sent 48h after the order.Free shipping ! 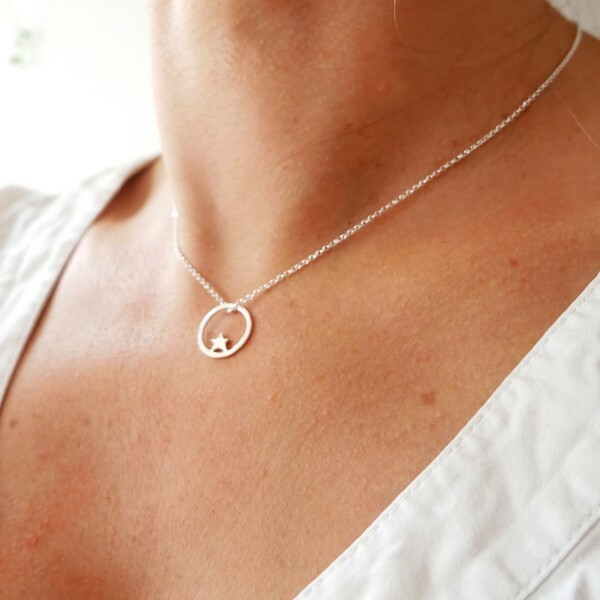 Nova ajustable necklace. Fine golded bronze. A delicate star combining elegance and simplicity. 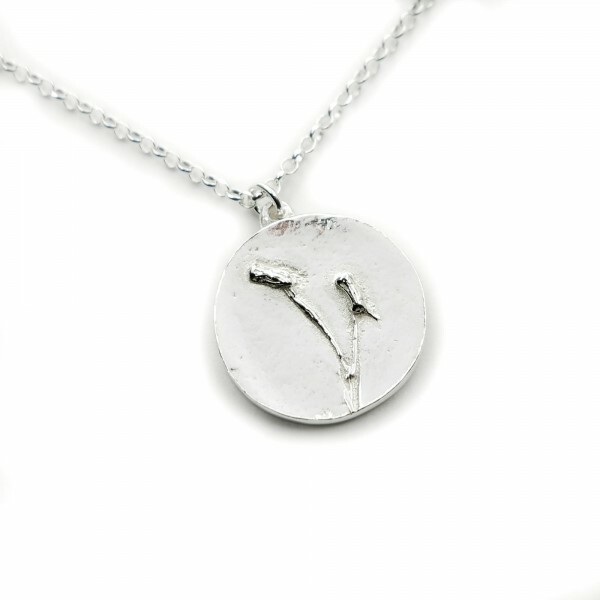 Pendant on chain from the "Nova" collection. Fine golded bronze. Chain length: 40-45cm. Medallion size: 5,5cm. Made in France. Parcels are sent 48h after the order.Free shipping ! A delicate star combining elegance and simplicity. 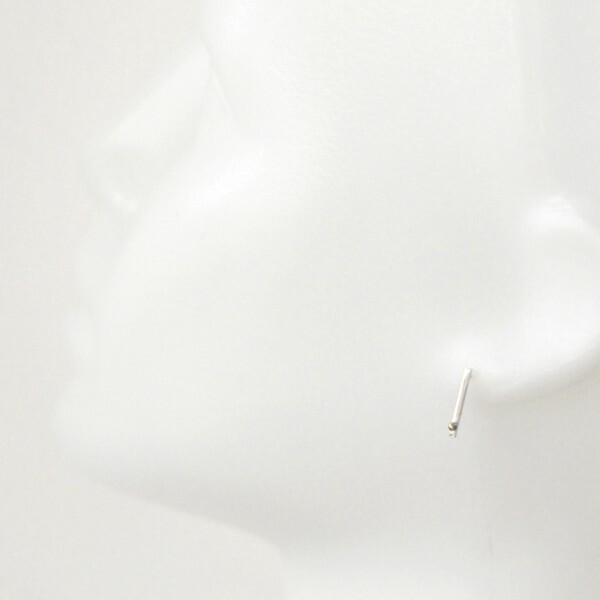 Pendant earrings for pierced ears from the "Nova" collection. Fine golded bronze. Length: 4cm. Medallion size: 1,4cm. Made in France. Parcels are sent 48h after the order.Free shipping ! Sati star necklace. Fine golded bronze. A star cluster designed for daydreaming. 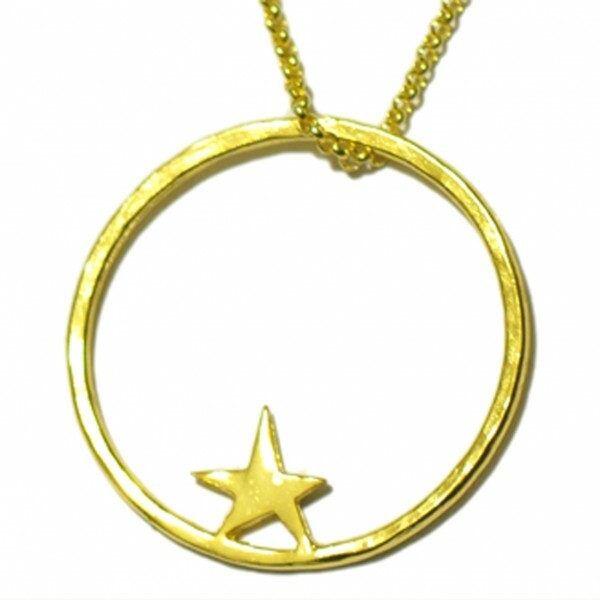 Adjustable star necklace from the Sati collection. Fine golded bronze. Length: from 40 to 45cm (adjustable). Medallion size: 2x3,5cm. Made in France. 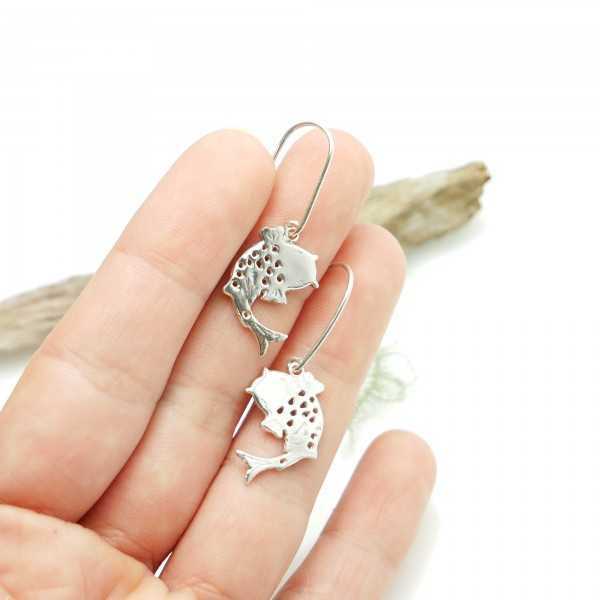 Small magic stars.Small sterling silver stars earrings from the Sati collection.Size of the star 7mm. The whole is in sterling silver.Made in France. Small magic stars.Small sterling silver stars earrings from the Sati collection.Size of the star 7x9mm. The whole is in sterling silver.Made in France. 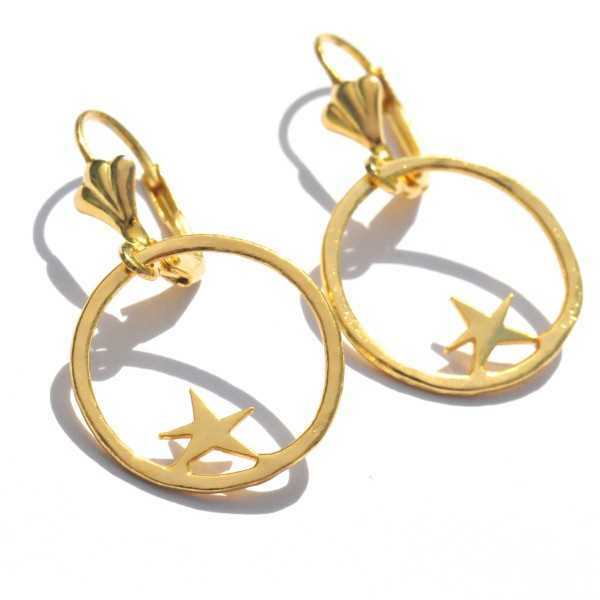 Small magic stars.Little golded stars earrings from the Sati collection.Size of the star 7mm.Made in France. 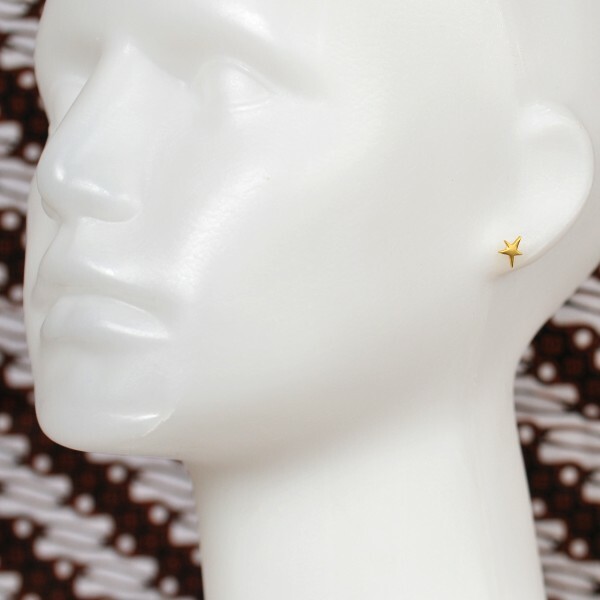 Small magic stars.Little golded stars earrings from the Sati collection.Size of the star 7x9mm.Made in France. Small pearls of stars scattered here and there on the sparkling ground of a mysterious forest.Small adjustable necklace in sterling silver of the Star Dust collection.Chain length : from 40 to 45 cm (adjustable).Medallion size : 0,9 cm.Thickness: approximately 2 mm.Made in France. Small pearls of stars scattered here and there on the sparkling ground of a mysterious forest.Small adjustable necklace in sterling silver of the Star Dust collection.Chain length : from 40 to 45 cm (adjustable).Medallion size : 1,2 cm.Thickness: approximately 2 mm.Made in France. Small pearls of stars scattered here and there on the sparkling ground of a mysterious forest.Adjustable necklace in sterling silver of the Star Dust collection.Chain length : from 40 to 45 cm (adjustable).Medallion size : 1,7 cm.Thickness: approximately 2 mm.Made in France. 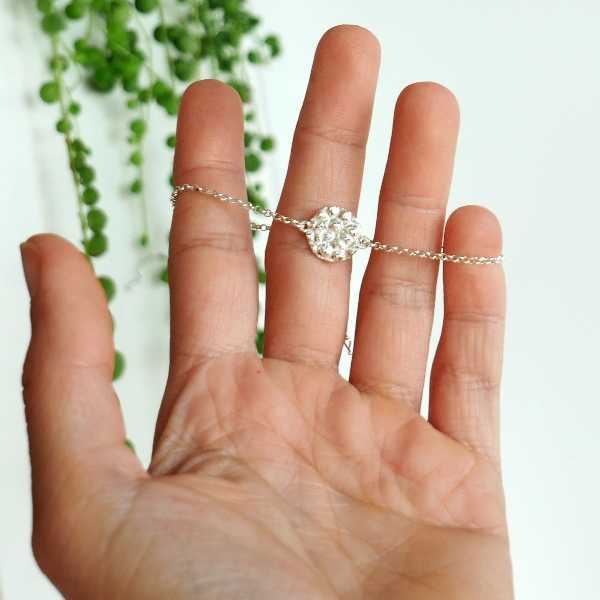 Small pearls of stars scattered here and there on the sparkling ground of a mysterious forest.Small adjustable sterling silver bracelet of the Star Dust collection.Chain length : from 15,5 to 18,5 cm (adjustable).Medallion size : 0,9 cm.Thickness: approximately 2 mm.Made in France. Small pearls of stars scattered here and there on the sparkling ground of a mysterious forest.Small adjustable sterling silver bracelet of the Star Dust collection.Chain length : from 15,5 to 18,5 cm (adjustable).Medallion size : 1,2 cm.Thickness: approximately 2 mm.Made in France. Small pearls of stars scattered here and there on the sparkling ground of a mysterious forest.Small adjustable sterling silver bracelet of the Star Dust collection.Chain length : from 15,5 to 18,5 cm (adjustable).Medallion size : 1,7 cm.Thickness: approximately 2 mm.Made in France. Small pearls of stars scattered here and there on the sparkling ground of a mysterious forest.This Sterling silver bracelet of the Star Dust collection exists in 2 versions, the size is the same, only the inside of the pendant differs.Bangle size : 16 cm.Medallion size : 2,3 cm.Thickness: approximately 2 mm.Made in France. 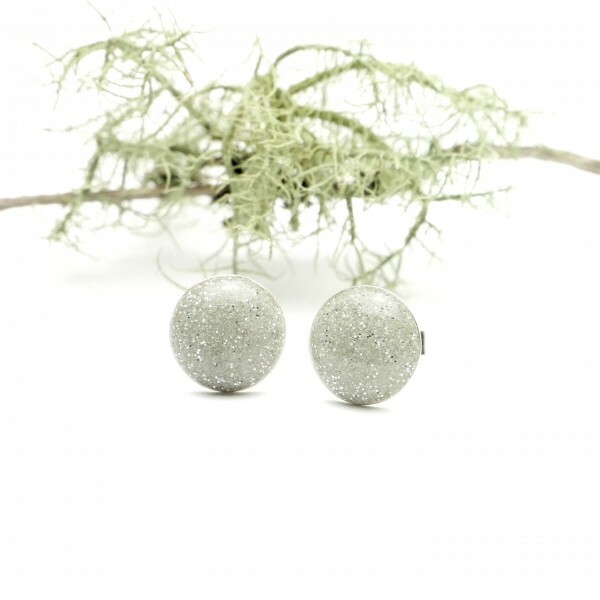 Small pearls of stars scattered here and there on the sparkling ground of a mysterious forest.Small sterling silver earrings of the Star Dust collection.Medallion size : 0,9 cm.Thickness: approximately 2 mm.Made in France. Small pearls of stars scattered here and there on the sparkling ground of a mysterious forest.Small sterling silver pendant earrings of the Star Dust collection.Medallion size : 1,2 cm.Total length : 6 cmThickness: approximately 2 mm.Made in France. Small pearls of stars scattered here and there on the sparkling ground of a mysterious forest.Sterling silver pendant earrings of the Star Dust collection.Medallion size : 1,7 cm.Total length : 3 cmThickness: approximately 2 mm.Made in France. 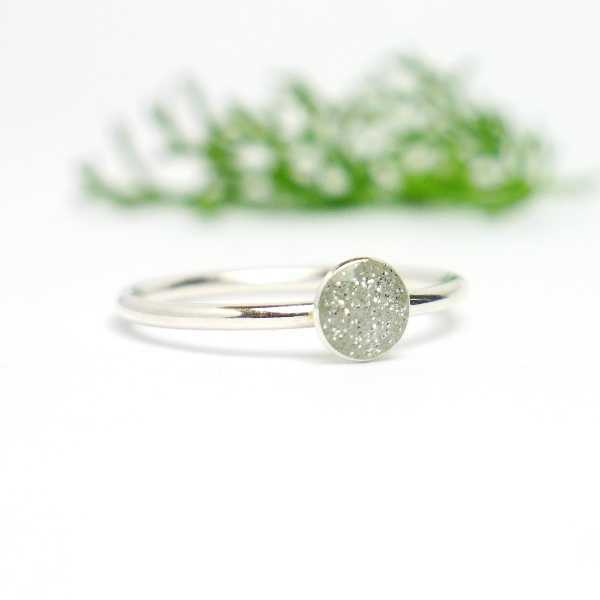 Small pearls of stars scattered here and there on the sparkling ground of a mysterious forest.Small adjustable sterling silver ring from the Star Dust collection.Sizes : from 48 to 56 (adjustable).Medallion size : 0,9 cm.Thickness: approximately 2 mm.Made in France. Small pearls of stars scattered here and there on the sparkling ground of a mysterious forest.Small adjustable sterling silver ring from the Star Dust collection.Sizes : from 48 to 56 (adjustable).Medallion size : 1,3 cm.Thickness: approximately 2 mm.Made in France. 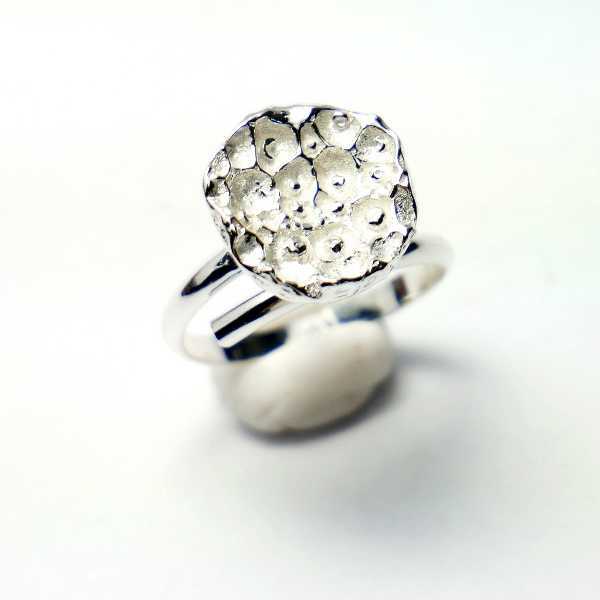 Small pearls of stars scattered here and there on the sparkling ground of a mysterious forest.Adjustable sterling silver ring from the Star Dust collection.Sizes : from 48 to 56 (adjustable).Ring width : 2,5 mmMedallion size : 1,7 cm.Thickness: approximately 2 mm.Made in France. A delicate star combining elegance and simplicity. 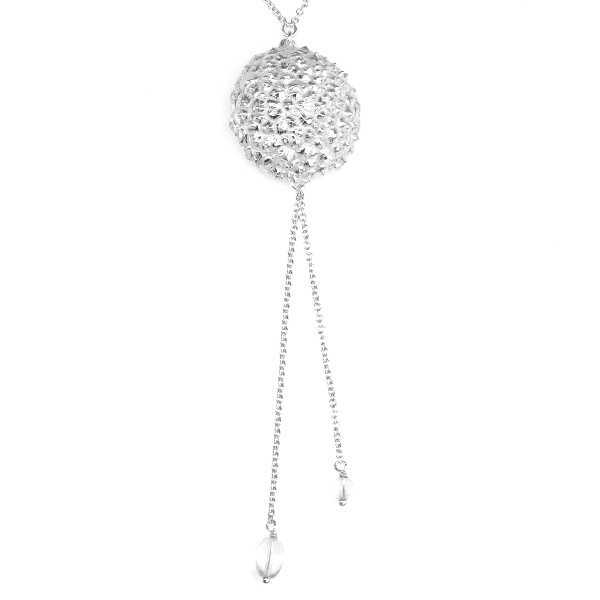 Pendant on adjustable chain from the Nova collection. Fine golded bronzeChain length: 40 to 45cm (adjustable). Medallion size: 2cm. Made in France. A star cluster designed for daydreaming. Adjustable necklace from the Sati collection. Sterling silver. Length: from 40 to 45cm (adjustable). Medallion size: 1x1,7 cm. Made in France. A delicate star allying elegance and simplicity.Sterling silver ring from the Nova collection. Sizes : from 45 to 65 (let me know your size, I make it the same day. Every size is possible). Medallion size : 1,4 cm.Made in France. Small pearls of stars scattered here and there on the sparkling ground of a mysterious forest.Beautiful long necklace in sterling silver of the Star Dust collection.Chain length : from 80 cm.Medallion size : 2,6 cm.Thickness: approximately 2 mm.Made in France. Small pearls of stars scattered here and there on the sparkling ground of a mysterious forest.Sterling silver pendant earrings of the Star Dust collection.Medallion size : 2,2 cm.Total length : 3,5 cmThickness: approximately 2 mm.Made in France. 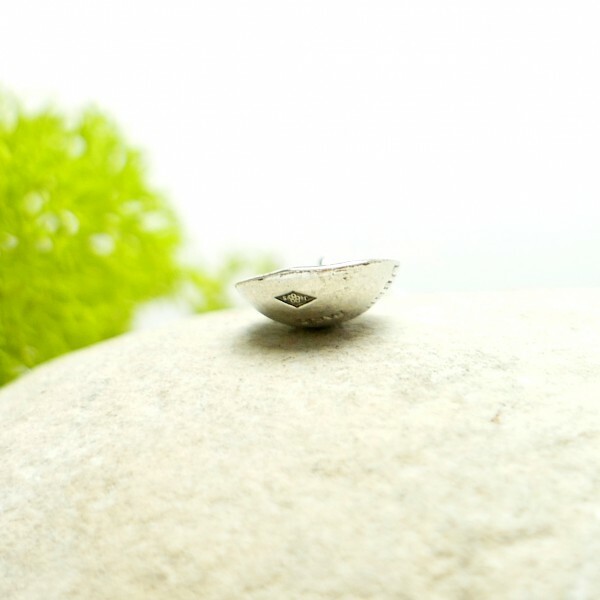 Nice little sterling silver star minimalist ring.Medallion size : 0,7 cm.Ring size: from 40 to 60. All the sizes are possible, every ring is make-to-order.Width of the round ring: 1,5 mmIt also exists with a heart motive or clear. It's possible to punch 1 or 2 letters instead of the motive on request.Everything is in sterling silver.Made in France. 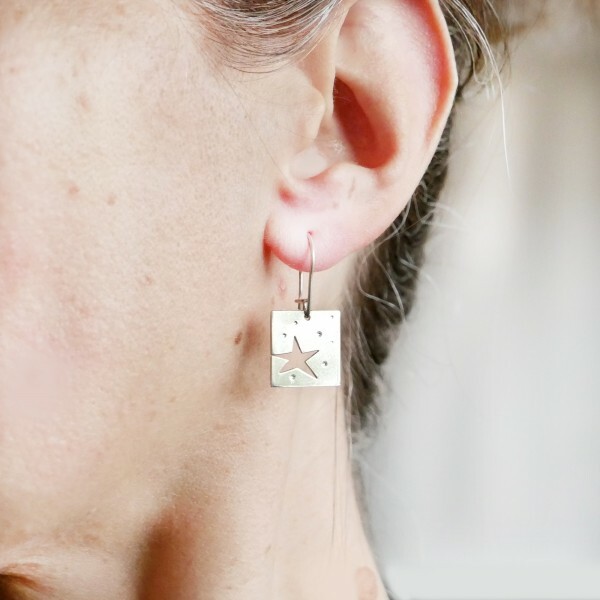 Nice little sterling silver minimalist star earrings.Medallion size : 0,6 cm.It also exists with a heart motive or clear. It's possible to punch 1 or 2 letters instead of the motive on request.Everything is in sterling silver.Made in France. 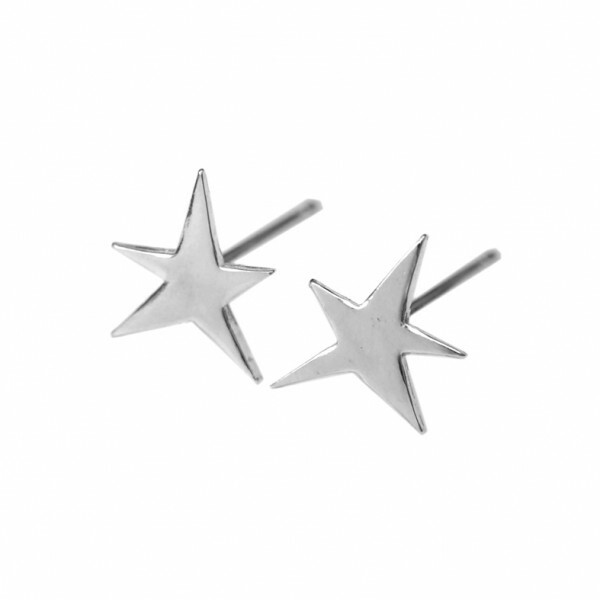 Nice sterling silver star minimalist pendent earrings.Medallion size : 0,9 cm. Total length : 2 cmIt also exists with a heart or clear. It's possible to punch 1 or 2 letters instead of the motive on request.Everything is in sterling silver.Made in France. Nice little sterling silver minimalist earrings with star.Medallion size : 0,6 cm.It also exists with a heart motive or clear. 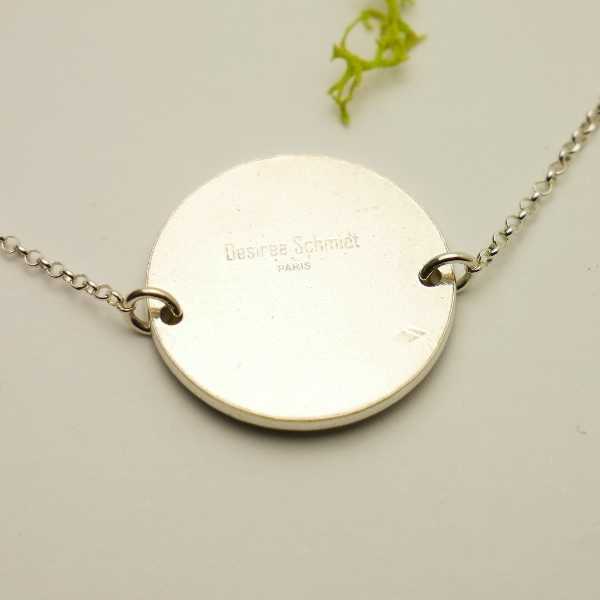 It's possible to punch 1 or 2 letters instead of the motive on request.Everything is in sterling silver.Made in France. The delicacy of a cherry branch in blossom. 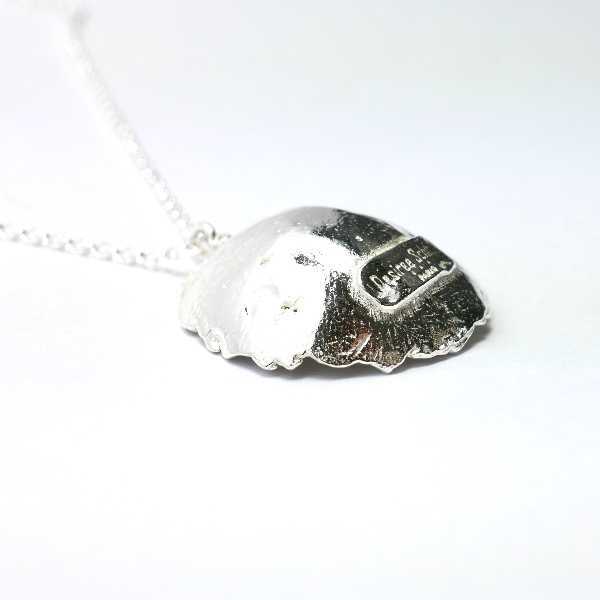 Necklace from the Prunus collection. Sterling silver. Chain length: from 40 to 45 cm (adjustable). Medallion size: 4x2cm. Made in France. The delicacy of a cherry branch in blossom. Adjustable bracelet from the "Prunus" collection. Sterling silver. Length: from 15,5 to 20cm (adjustable). Medallion size: 4x2cm. Made in France. 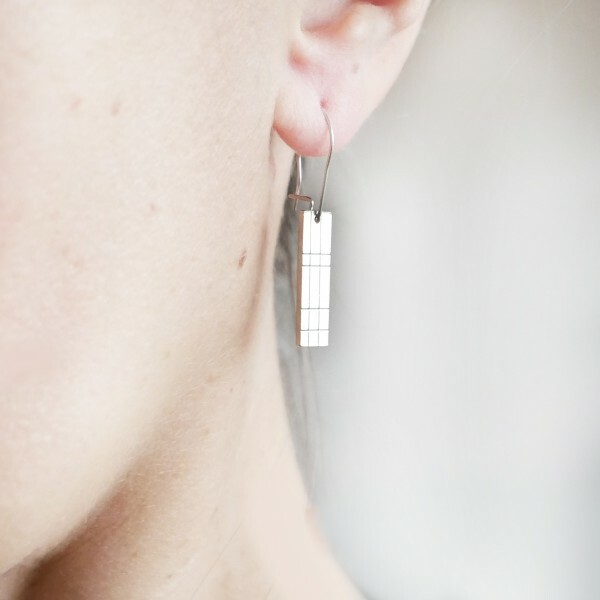 Prunus small earrings. sterling silver. The delicacy of a cherry branch in blossom. 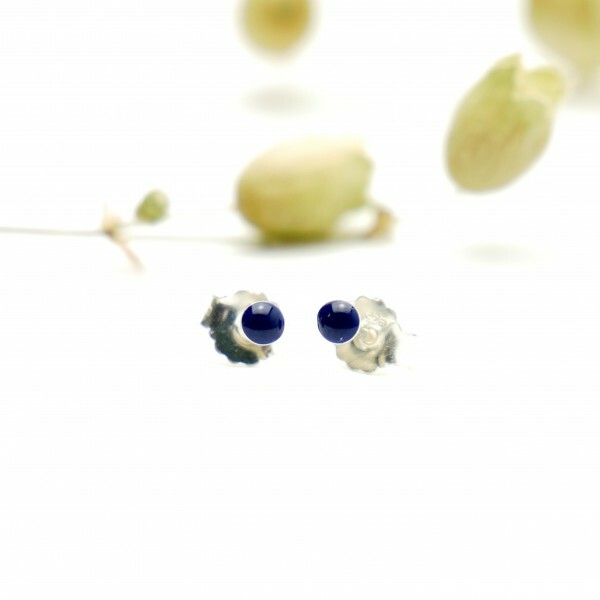 Earrings for pierced ears from the "Prunus" collection. Sterling silver. Flower size: 0,7cm. Made in France.. The cherry blossom is the ultimate sign of spring and the coming of new life. Pendant earrings for pierced ears from the Cherry Blossom collection. Sterling silver and translucent violet. Length: 3,3 cm. Medallion size: 1,6 cm. Made in France. The cherry blossom is the ultimate sign of spring and the coming of new life. Pendant earrings for pierced ears from the Cherry Blossom collection. 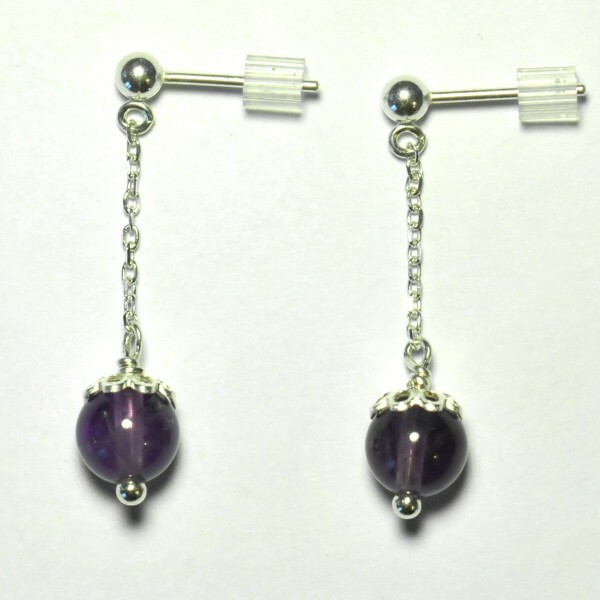 Sterling silver and translucent violet. Total length: 3,3 cm. Medallion size: 0,7 x 2,4 cm. Made in France.This size will be stopped, these are the last pieces ! The cherry blossom is the ultimate sign of spring and the coming of new life. Pendant on chain from the Cherry Blossom collection. 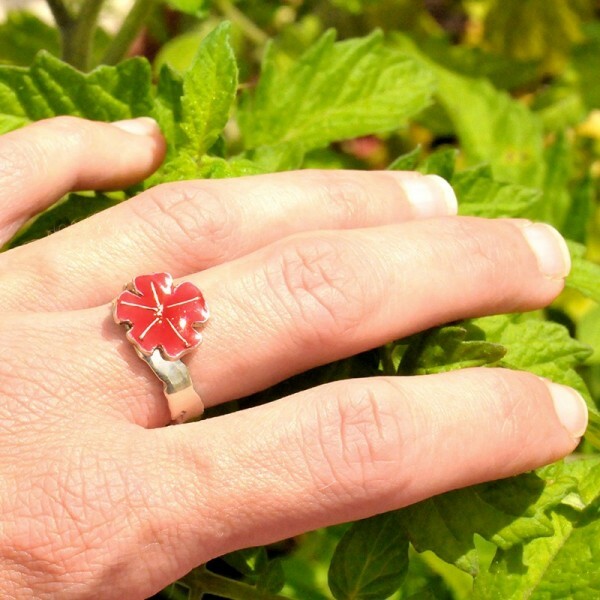 Sterling silver and poppy flower red resin. Chain length: 40 to 45cm (adjustable). Medallion size: 1,6cm. Made in France. The cherry blossom is the ultimate sign of spring and the coming of new life. Pendant on chain from the Cherry Blossom collection. Sterling silver and poppy flower red resin. Chain length: 40 to 45cm (adjustable). Medallion size: 2,4cm. Made in France. The cherry blossom is the ultimate sign of spring and the coming of new life. Pendant on chain from the Cherry Blossom collection. Sterling silver and black resin. Chain length: 40 to 45cm (adjustable). Medallion size: 3,3 cm. Made in France. The cherry blossom is the ultimate sign of spring and the coming of new life. 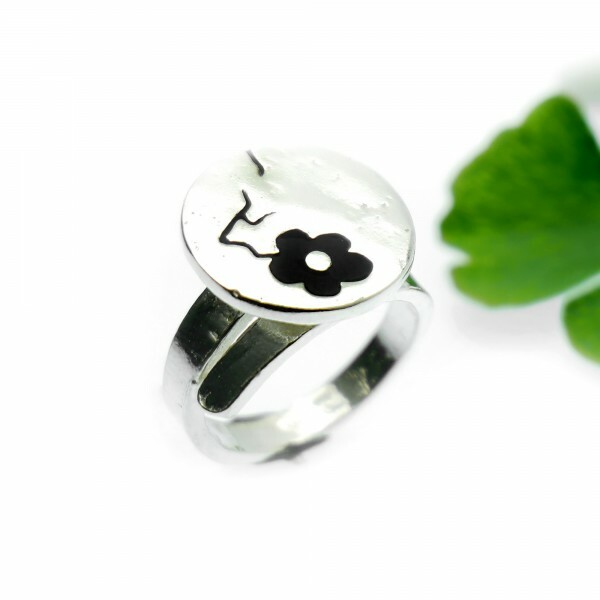 Adjustable ring from the Cherry Blossom collection. 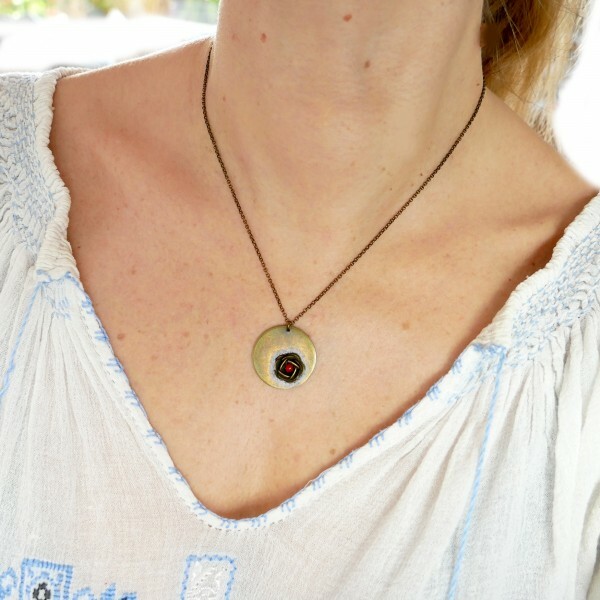 Sterling silver and red resin. Adjustable ring sizes: from 50 to 60. Medallion size: 1,6 cm. Made in France. The cherry blossom is the ultimate sign of spring and the coming of new life. Adjustable bracelet from the Cherry Blossom collection. Sterling silver and black resin. Adjustable chain length: from 15,5 to 18,8 cm. It's possible to have an other length or an other colour on request and without additional cost. Medallion size: 1,6 cm. Made in France. The cherry blossom is the ultimate sign of spring and the coming of new life. Adjustable ring from the Cherry Blossom collection. Sterling silver and red resin. Adjustable ring sizes: from 52 to 58. Medallion size: 2,4 cm. Made in France. The cherry blossom is the ultimate sign of spring and the coming of new life. Pendant on chain from the Cherry Blossom collection. Sterling silver and translucent purple resin. Chain length: 40 to 45cm (adjustable). Medallion size: 0,7x2,4 cm. Made in France. The cherry blossom is the ultimate sign of spring and the coming of new life. Pendant on chain from the Cherry Blossom collection. Sterling silver and red resin. Chain length: 40 to 45cm (adjustable). Medallion size: 1,2x3,7 cm. Made in France. Prunus flower necklace. Sterling silver. The delicacy of a cherry blossom. 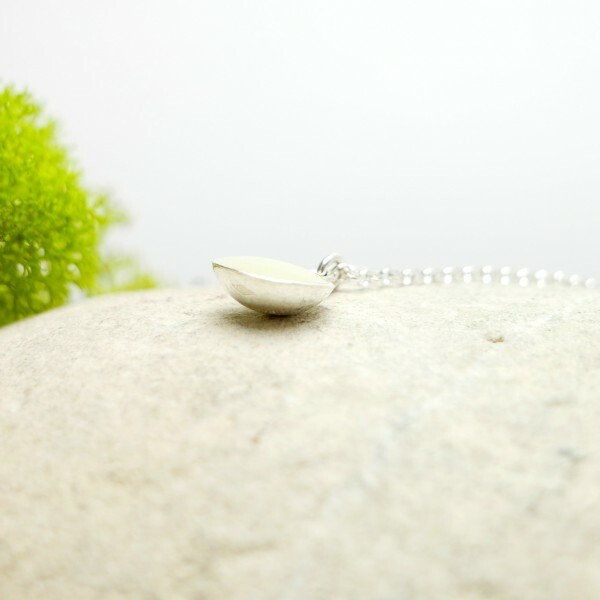 Adjustable necklace from the "Prunus" collection. Sterling silver. Length from 40 to 45cm (adjustable). Medallion size: 3,2 cm. Made in France. An ode to the spring. Cherry blossom adjustable necklace from the Sakura collection. Medallion size : 1,5 cm. Chain length : 40 - 45 cm (adjustable). Made in France. An ode to spring. 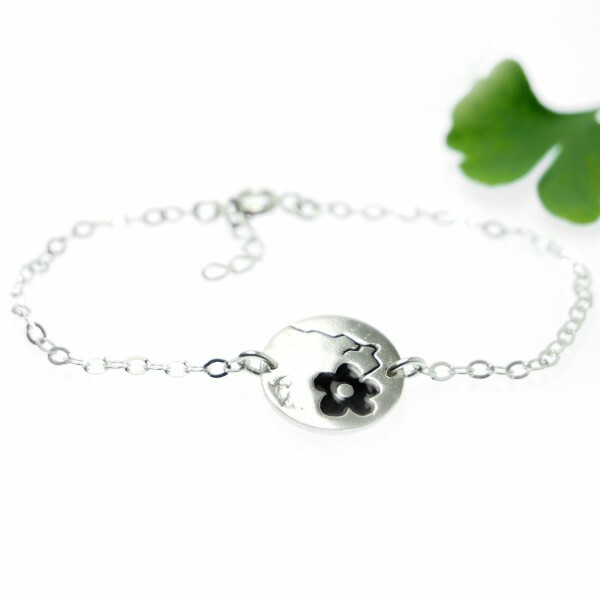 Sterling silver Bracelet decorated with a delicate cherry blossom from the Sakura collection. Medallion size : 1,5 cm. Chain length : from 15,5 to 18,5 cm (adjustable). It's possible to have an other length on simple request. Sterling silver. Made in France. An ode in spring. 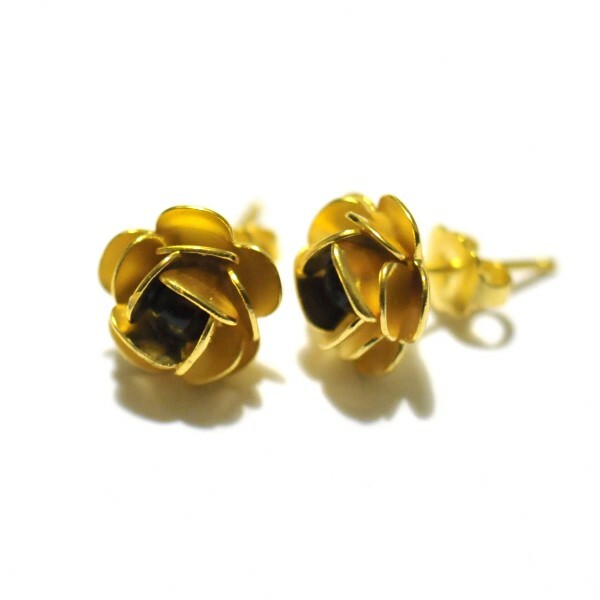 Cherry blossom earrings from the Sakura collection. Medallion size : 1,5 cm. Total length : 4,7cm. Sterling silver. Made in France. 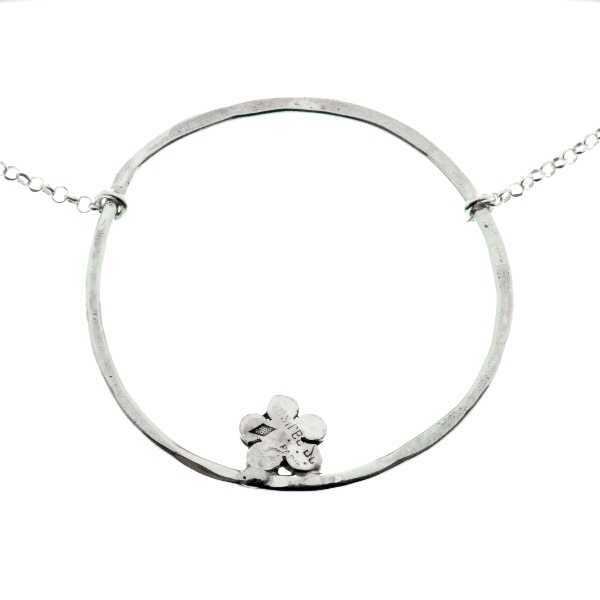 An ode to the spring.Cherry blossom adjustable necklace from the Sakura collection. Chain length : 40-45 cm (adjustable). Medallion size : 2,8 cm. Aged bronze. Made in France. 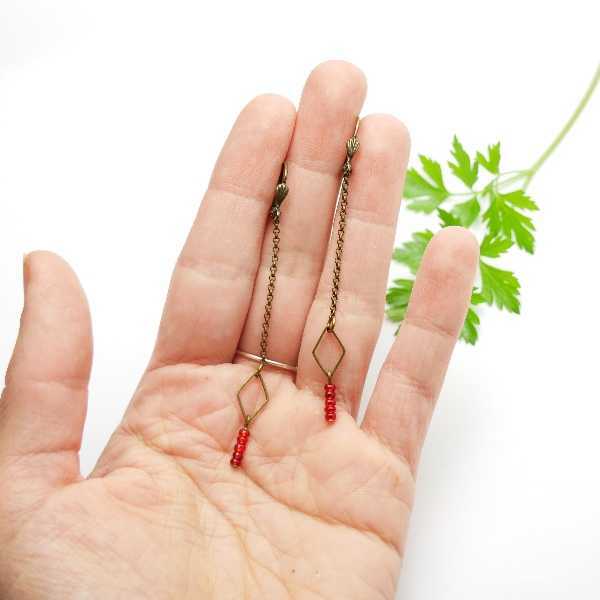 Prunus small earrings. Fine golded bronze. The delicacy of a cherry branch in blossom. 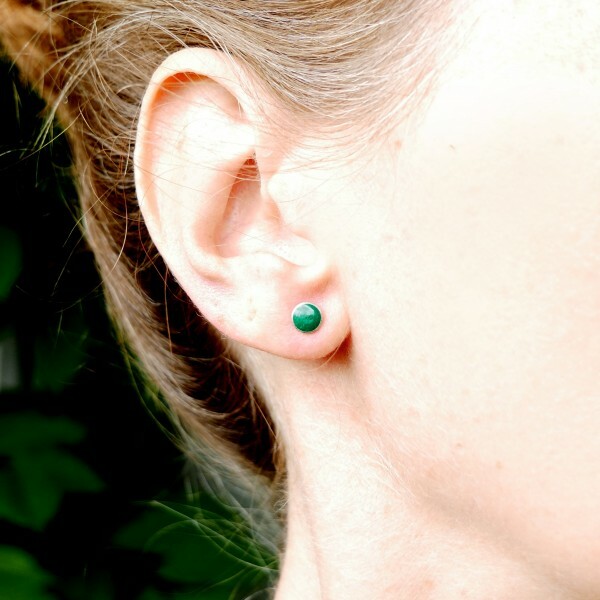 Earrings for pierced ears from the "Prunus" collection. Fine golded bronze. Flower size: 0,7cm. Made in France. Parcels are sent 48h after the order.Free shipping ! 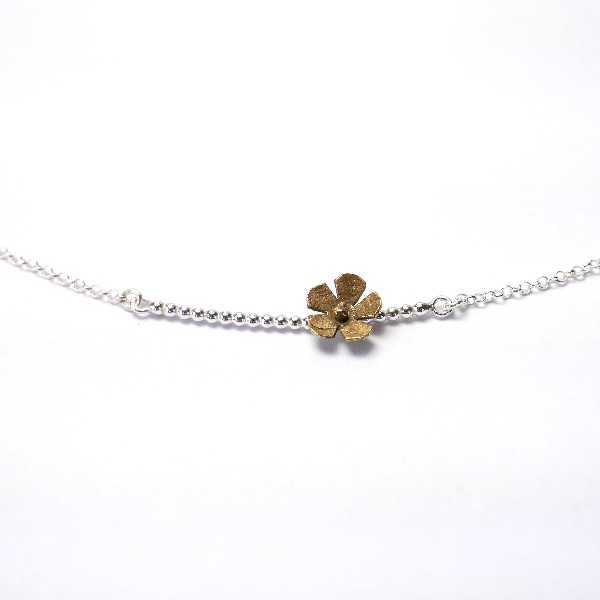 An ode to spring.Gold plated Bracelet decorated with a delicate cherry blossom from the Sakura collection. Medallion size : 1,5 cm.Chain length : from 15,5 to 18,5 cm (adjustable). It's possible to have an other length on simple request.Made in France. An ode in spring. Cherry blossom earrings from the Sakura collection. Medallion size : 1,5 cm. Total length : 4,7cm. Gold plated. Made in France. An ode to spring. 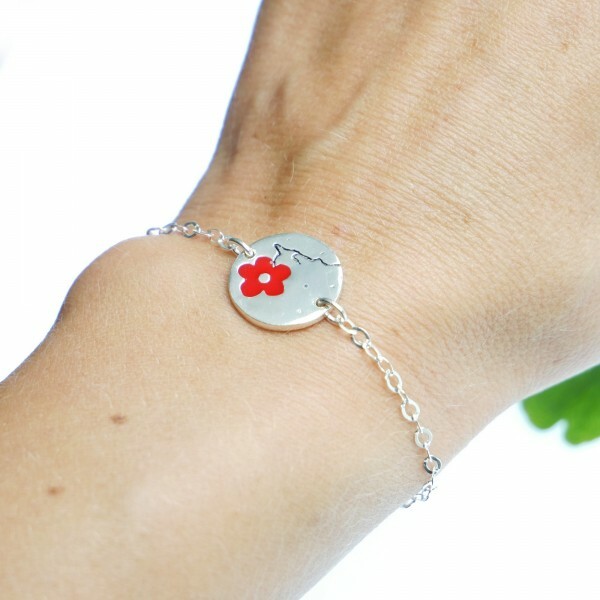 Sterling silver Bracelet decorated with a delicate cherry blossom from the Sakura collection. Medallion size : 8 mm. 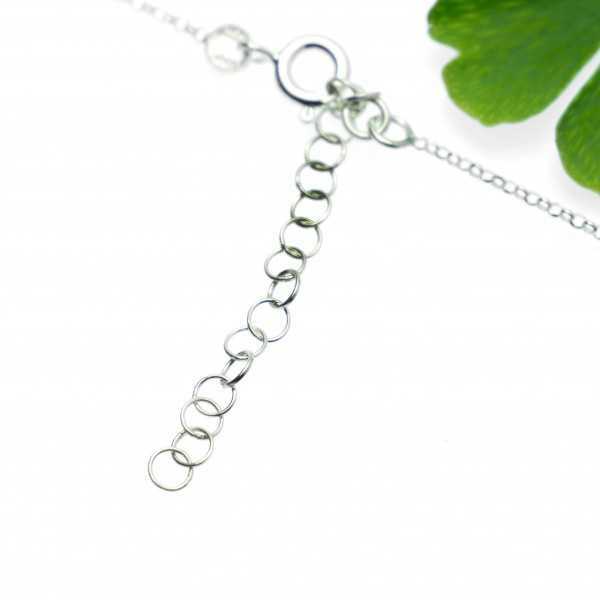 Chain length : from 15,5 to 18,5 cm (adjustable). It's possible to have an other length on request. Sterling silver. Made in France. An ode in spring. 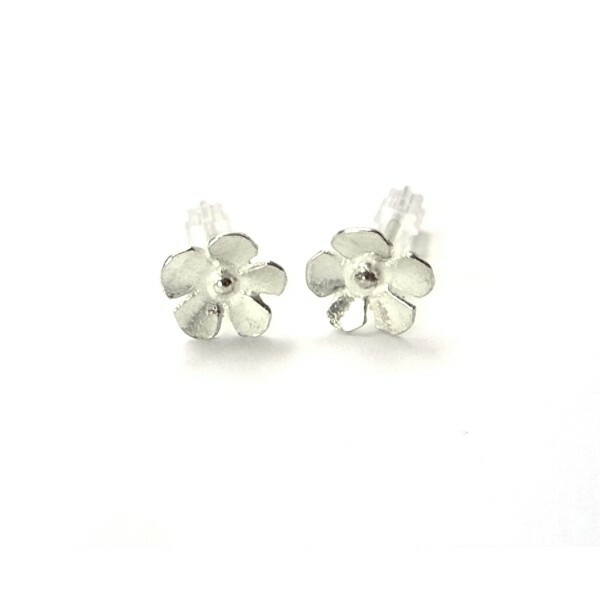 Cherry blossom earrings from the Sakura collection. Medallion size : 8 mm. Sterling silver. Made in France. An ode to spring. 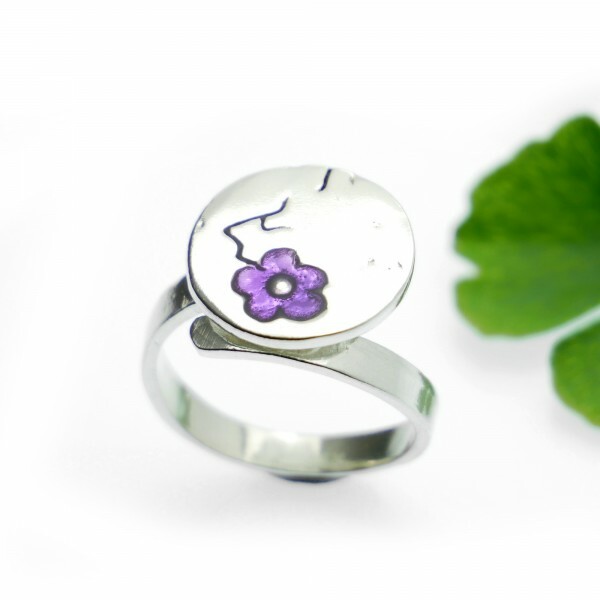 Sterling silver ring decorated with a delicate cherry blossom from the Sakura collection. Medallion size : 1,5 cm. Sizes : from 48 to 58. Tell me your size when you make your order, I make it on request. Sterling silver. Made in France. The cherry blossom is the ultimate sign of spring and the coming of new life. 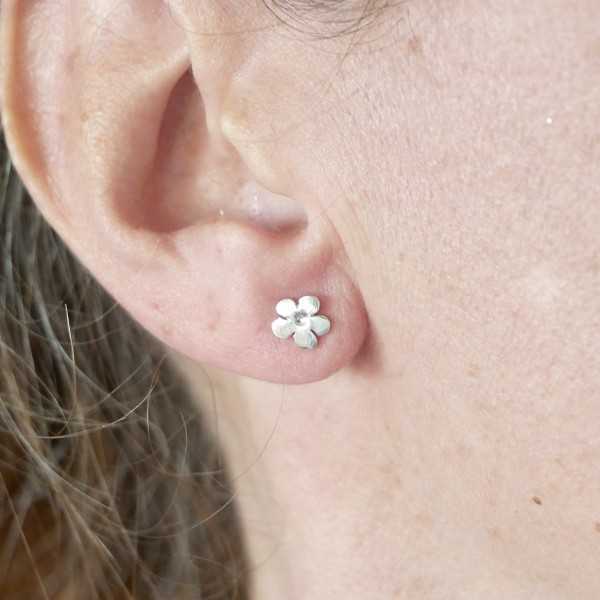 Pendant earrings for pierced ears from the Cherry Blossom collection. 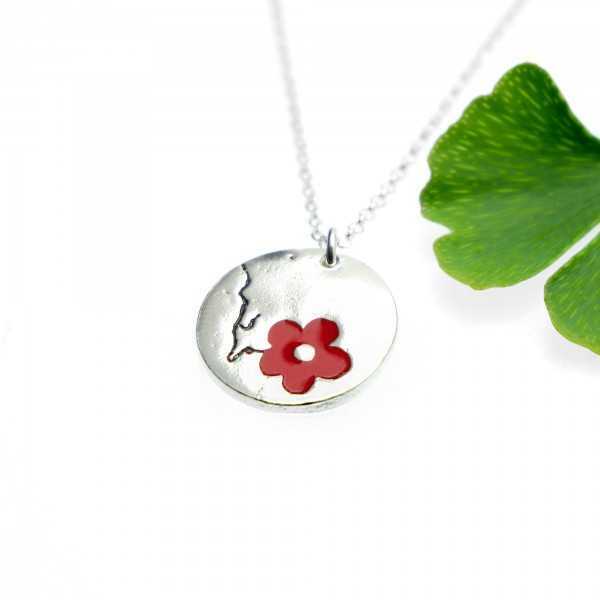 Sterling silver and poppy flower red. Total length: 4 cm. Medallion size: 0,7 x 2,4 cm. Made in France.This size will be stopped, these are the last pieces ! The cherry blossom is the ultimate sign of spring and the coming of new life. Pendant earrings for pierced ears from the Cherry Blossom collection. Sterling silver and black resin. Total length: 4 cm. Medallion size: 0,7 x 2,4 cm. Made in France.This size will be stopped, these are the last pieces ! The cherry blossom is the ultimate sign of spring and the coming of new life. Pendant earrings for pierced ears from the Cherry Blossom collection. Sterling silver and black resin. Length: 3,3 cm. Medallion size: 1,6 cm. Made in France. The cherry blossom is the ultimate sign of spring and the coming of new life. Pendant earrings for pierced ears from the Cherry Blossom collection. 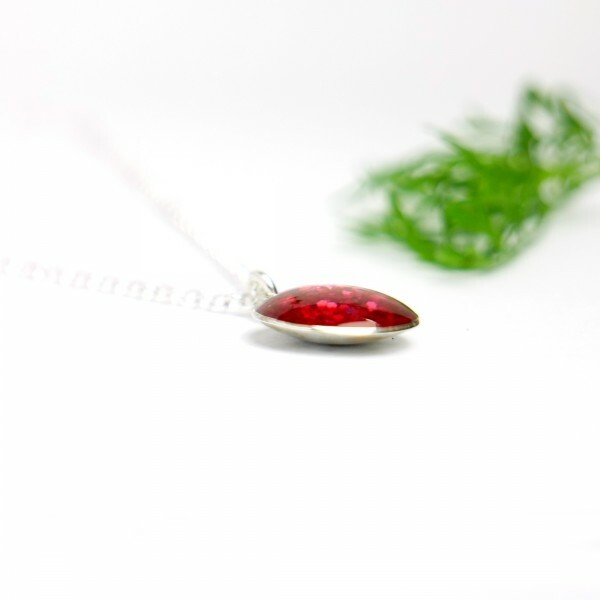 Sterling silver and poppy red resin. Length: 3,3 cm. Medallion size: 1,6 cm. Made in France. The cherry blossom is the ultimate sign of spring and the coming of new life. Pendant on chain from the Cherry Blossom collection. Sterling silver and black resin. Chain length: 40 to 45cm (adjustable). Medallion size: 1,6cm. Made in France. The cherry blossom is the ultimate sign of spring and the coming of new life. Pendant on chain from the Cherry Blossom collection. Sterling silver and translucent violet resin. Chain length: 40 to 45cm (adjustable). Medallion size: 1,6cm. Made in France. The cherry blossom is the ultimate sign of spring and the coming of new life. Pendant on chain from the Cherry Blossom collection. Sterling silver and translucent violet resin. Chain length: 40 to 45cm (adjustable). Medallion size: 2,4cm. Made in France. The cherry blossom is the ultimate sign of spring and the coming of new life. Pendant on chain from the Cherry Blossom collection. Sterling silver and black resin. Chain length: 40 to 45cm (adjustable). Medallion size: 2,4cm. Made in France. The cherry blossom is the ultimate sign of spring and the coming of new life. Pendant on chain from the Cherry Blossom collection. Sterling silver and red resin. Chain length: 40 to 45cm (adjustable). Medallion size: 3,3 cm. Made in France. The cherry blossom is the ultimate sign of spring and the coming of new life. Pendant on chain from the Cherry Blossom collection. Sterling silver and translucent violet resin. Chain length: 40 to 45 cm (adjustable). Medallion size: 3,3 cm. Made in France. The cherry blossom is the ultimate sign of spring and the coming of new life. Pendant on chain from the Cherry Blossom collection. Sterling silver and red resin. Chain length: 40 to 45cm (adjustable). Medallion size: 0,7x2,4 cm. Made in France. The cherry blossom is the ultimate sign of spring and the coming of new life. Pendant on chain from the Cherry Blossom collection. Sterling silver and black resin. Chain length: 40 to 45cm (adjustable). Medallion size: 0,7x2,4 cm. Made in France. An ode to spring. 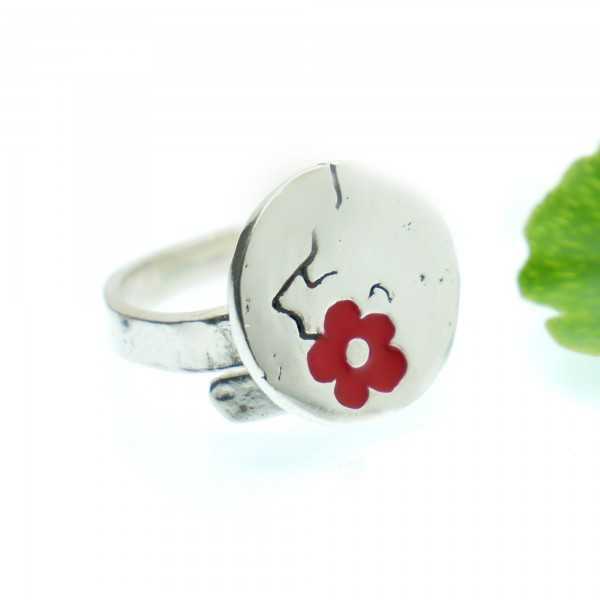 Sterling silver ring decorated with a delicate cherry blossom from the Sakura collection. Flower size size : 0,8 cm. Ring size : every size is possible, tell me your size when you make your order.Sterling silver. Made in France. The cherry blossom is the ultimate sign of spring and the coming of new life. 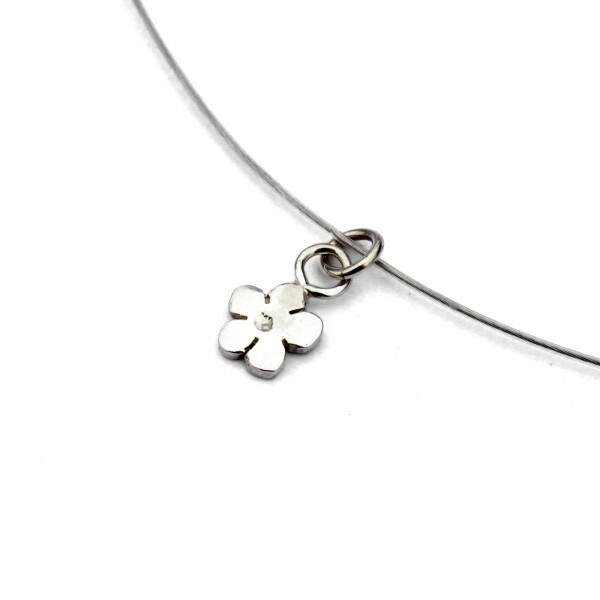 Adjustable bracelet from the Cherry Blossom collection. Sterling silver and red resin. Adjustable chain length: from 15,5 to 18,8 cm. It's possible to have an other length or an other colour on request and without additional cost. Medallion size: 1,6 cm. Made in France. The cherry blossom is the ultimate sign of spring and the coming of new life. Adjustable ring from the Cherry Blossom collection. Sterling silver and black resin. Adjustable ring sizes: from 50 to 60. Medallion size: 1,6 cm. Made in France. The cherry blossom is the ultimate sign of spring and the coming of new life. 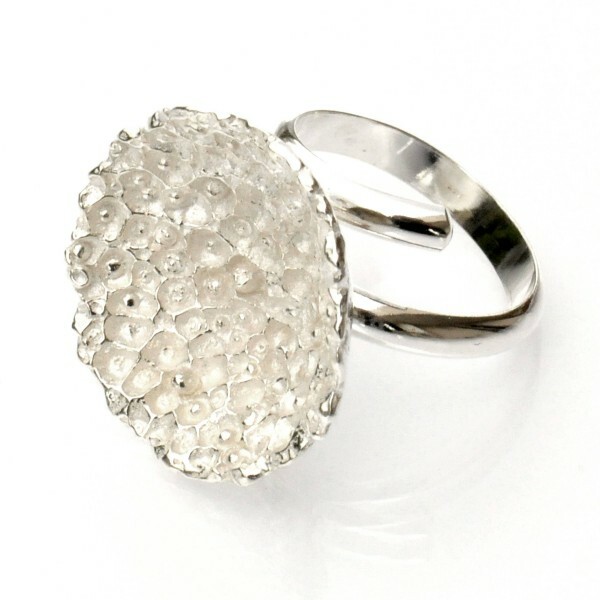 Adjustable ring from the Cherry Blossom collection. Sterling silver and translucent purple resin. Adjustable ring sizes: from 50 to 60. Medallion size: 1,6 cm. Made in France. The cherry blossom is the ultimate sign of spring and the coming of new life. Adjustable ring from the Cherry Blossom collection. Sterling silver and black resin. Adjustable ring sizes: from 52 to 58. Medallion size: 2,4 cm. Made in France. The cherry blossom is the ultimate sign of spring and the coming of new life. Adjustable ring from the Cherry Blossom collection. Sterling silver and translucent purple resin. Adjustable ring sizes: from 52 to 58. Medallion size: 2,4 cm. Made in France. An ode to spring. 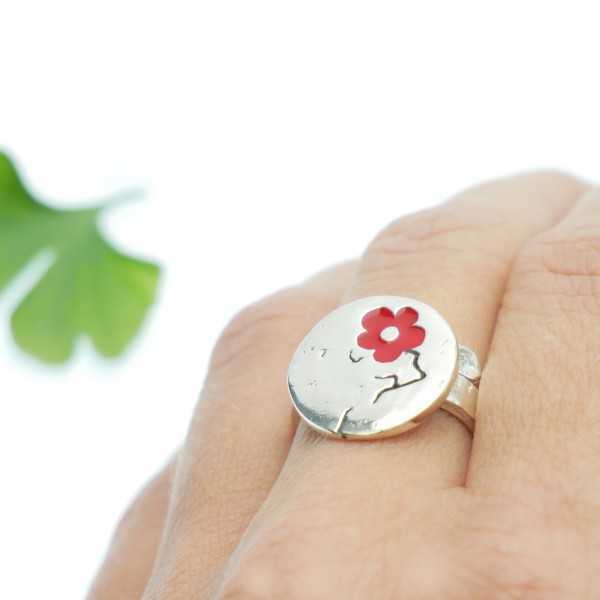 Sterling silver ring decorated with a delicate bronze cherry blossom from the Sakura collection. Flower size size : 0,8 cm. Ring size : every size is possible, tell me your size when you make your order.Sterling silver and bronze. Made in France. An ode to the spring. Cherry blossom adjustable necklace from the Sakura collection. 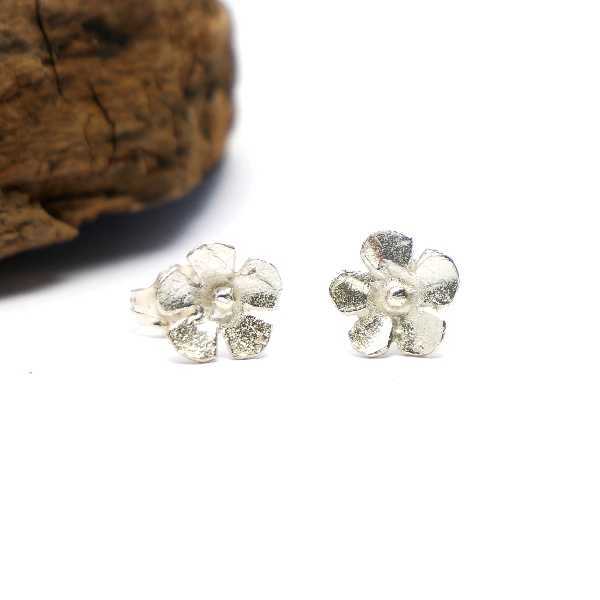 Bronze flower size : 8 mm. 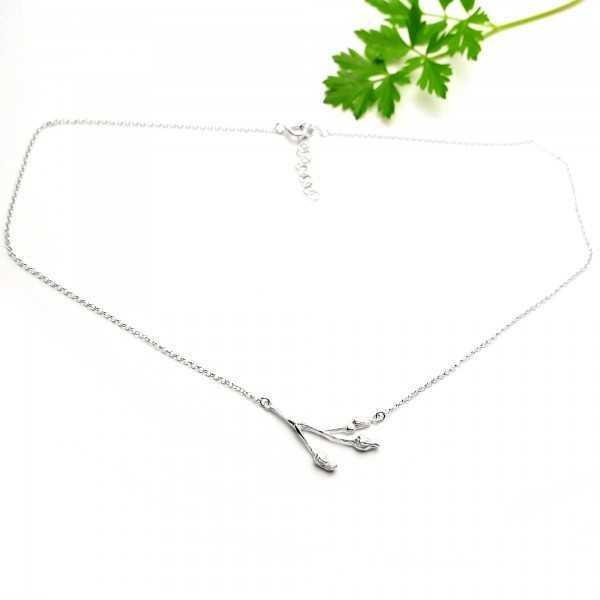 Pearled branch size : 3,3 cmChain length : 40 to 45 cm (adjustable). It's possible to have an other length on request and without additional cost.Made in France. An ode to the spring.Cherry blossom adjustable bracelet from the Sakura collection. 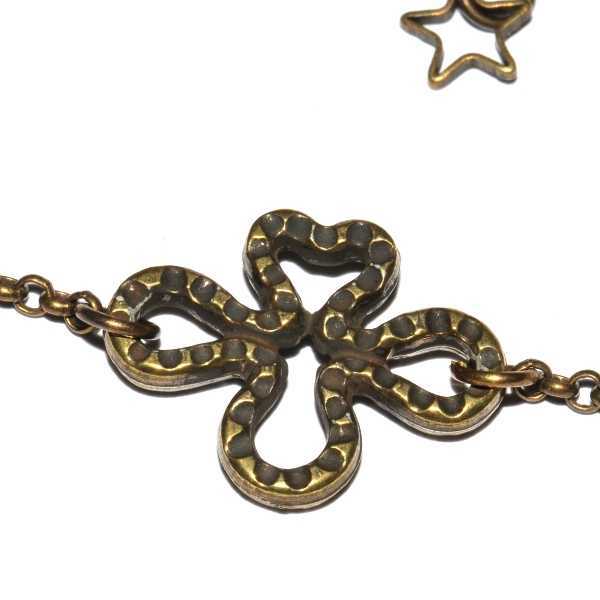 Bronze flower size : 8 mm.Pearled branch size : 3,3 cmChain length : 15,5 to 18,5 cm (adjustable). It's possible to have an other length on request and without additional cost.Made in France. An ode to the spring. Cherry blossom adjustable necklace from the Sakura collection. Medallion size : 8 mm. Chain length : 40 to 45 cm (adjustable). Made in France. The cherry blossom is the ultimate sign of spring and the coming of new life. 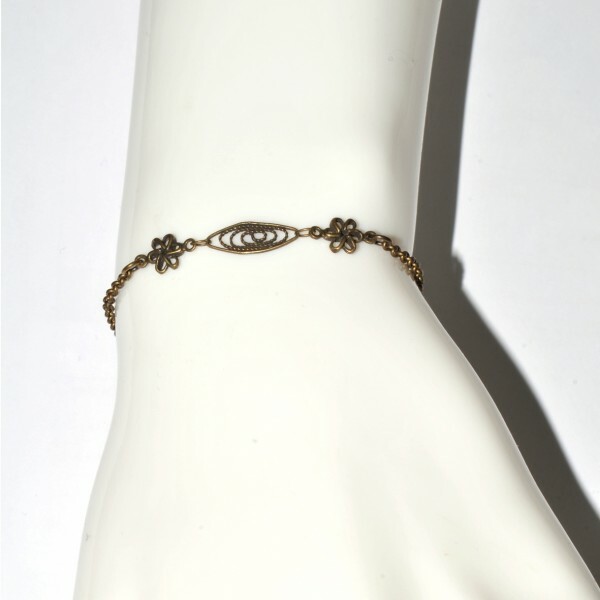 Adjustable bracelet from the Cherry Blossom collection. Sterling silver and purple resin. 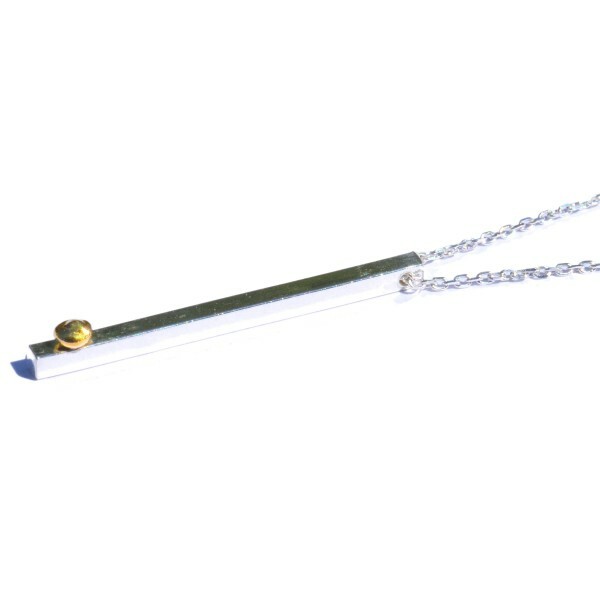 Adjustable chain length: from 15,5 to 18,8 cm. It's possible to have an other length or an other colour on request and without additional cost. Medallion size: 0,7x2,4 cm. Made in France. 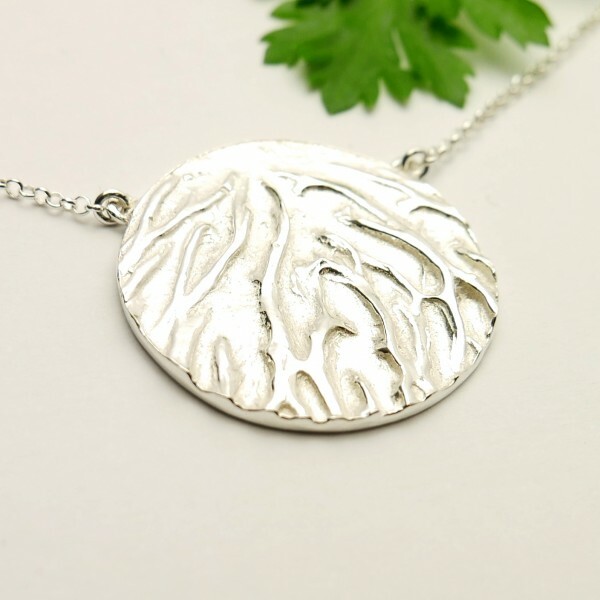 Sterling silver adjustable necklace with pure silver drop. Medallion length : 3cm, width : 2 mm. Chain length : 40 to 45 cm (adjustable). 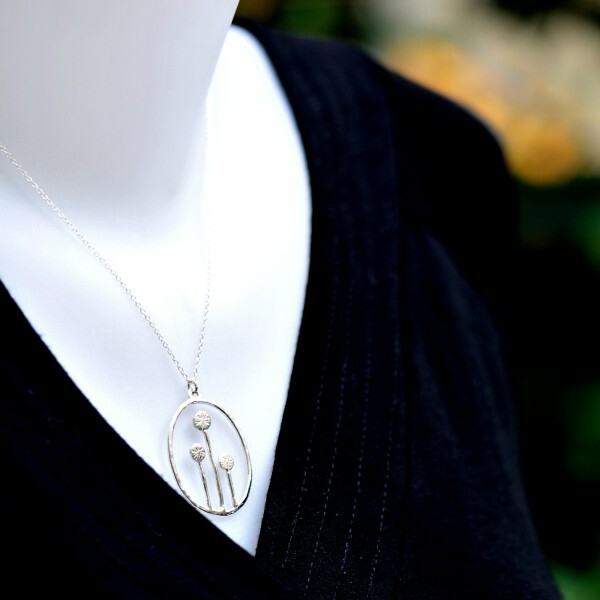 It's a handmade collection, each drop is different on each necklace. Made in France. Sterling silver bracelet with a 24 carat gold drop. Total length : 15 cm, width : 2 mm. 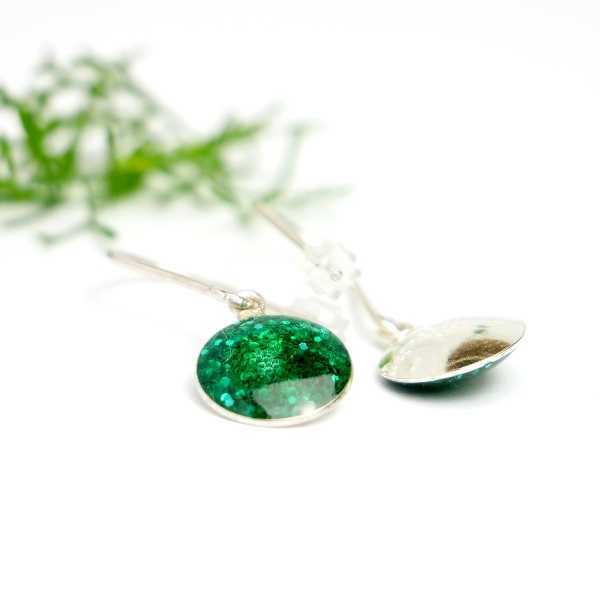 It's a handmade collection, each drop is different on each jewel. Made in France. 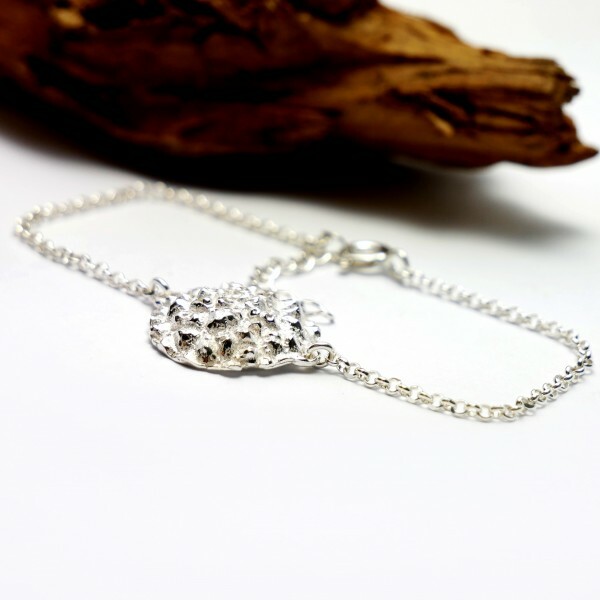 Sterling silver bracelet with a drop in pure silver. 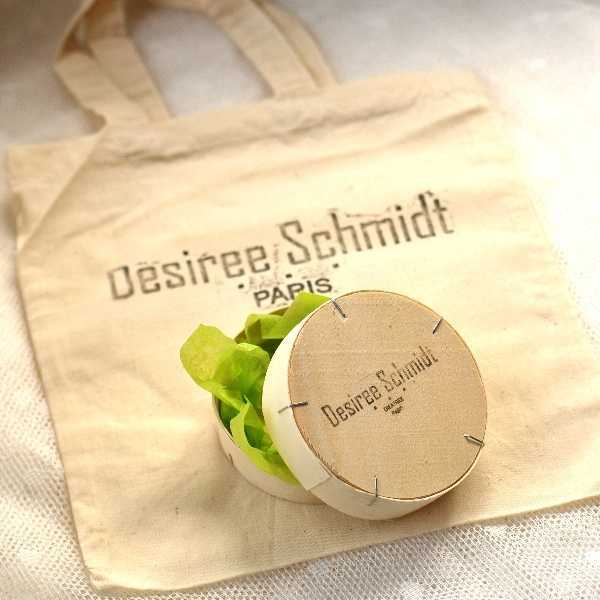 Total length : 15 cm, width : 2 mm. It's a handmade collection, each drop is different on each jewel. Made in France. 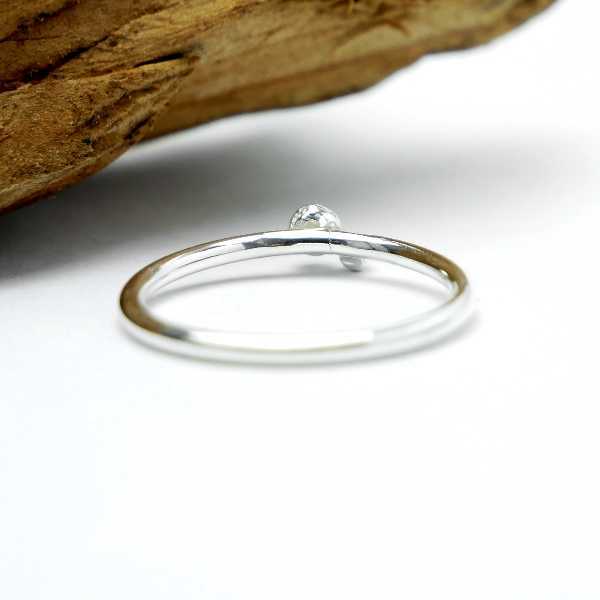 Sterling silver adjustable ring with a 24 carat gold drop. Width : 1,5 mm. Adjustable sizes from 48 to 56. It's a handmade collection, each drop is different on each jewel. Made in France. 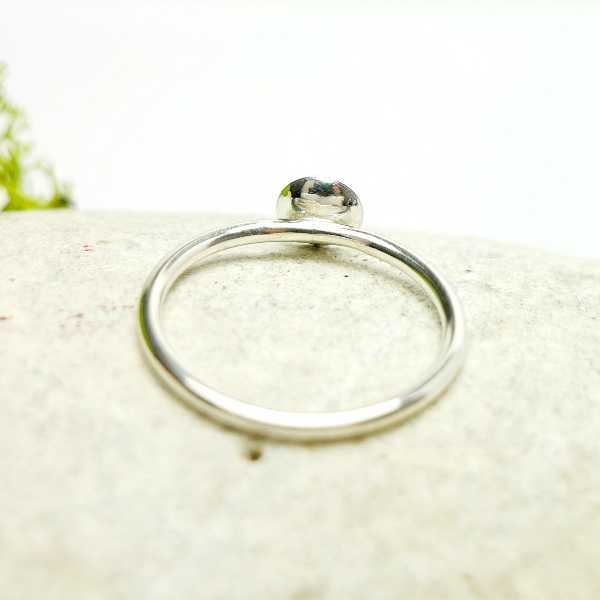 Sterling silver adjustable ring with a fine silver drop. Width : 1,5 mm. Adjustable sizes from 48 to 56. It's a handmade collection, each drop is different on each jewel. Made in France. 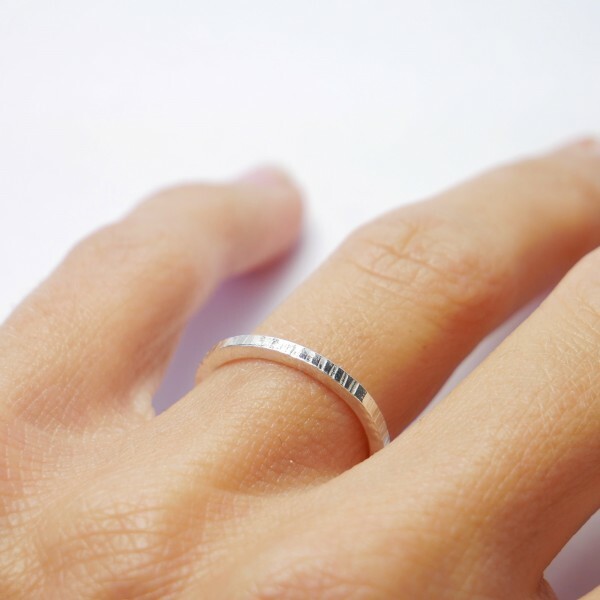 Nice little sterling silver minimalist ring.Medallion size : 0,7 cm.Ring size: from 40 to 60. All the sizes are possible, every ring is make-to-order.Width of the round ring: 1,5 mmIt also exists with a star or a heart motive. It's possible to punch 1 or 2 letters instead of the motive on request.Everything is in sterling silver.Made in France. Nice little sterling silver heart minimalist ring.Medallion size : 0,7 cm.Ring size: from 40 to 60. All the sizes are possible, every ring is make-to-order.Width of the round ring: 1,5 mmIt also exists with a star motive or clear. It's possible to punch 1 or 2 letters instead of the motive on request.Everything is in sterling silver.Made in France. 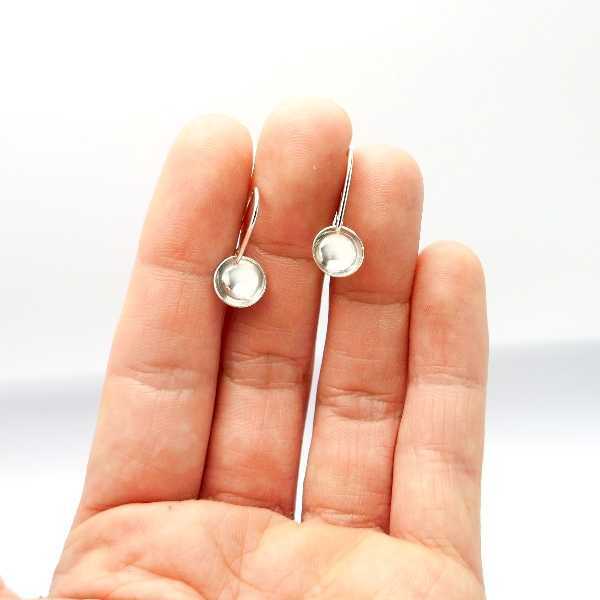 Nice little sterling silver minimalist earrings.Medallion size : 0,7 cm.It also exists with a star or a heart motive. It's possible to punch 1 or 2 letters instead of the motive on request.Everything is in sterling silver.Made in France. Nice little sterling silver minimalist earrings with heart.Medallion size : 0,6 cm.It also exists with a star motive or clear. It's possible to punch 1 or 2 letters instead of the motive on request.Everything is in sterling silver.Made in France. 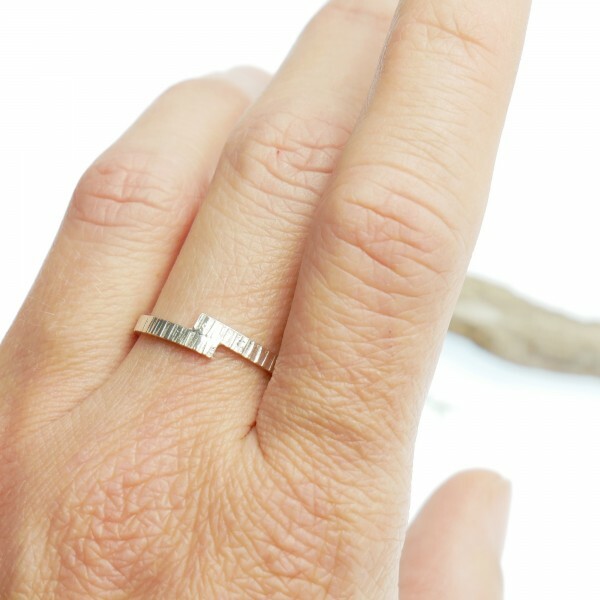 Nice little sterling silver minimalist ring from the Nuggets collection. Each ring is a unique piece, the one on the picture is the one you will recieve.Ring size: 50 (us 5)Width of the round ring: 1,5 mmEverything is in sterling silver. Each ring is unique !Made in France. 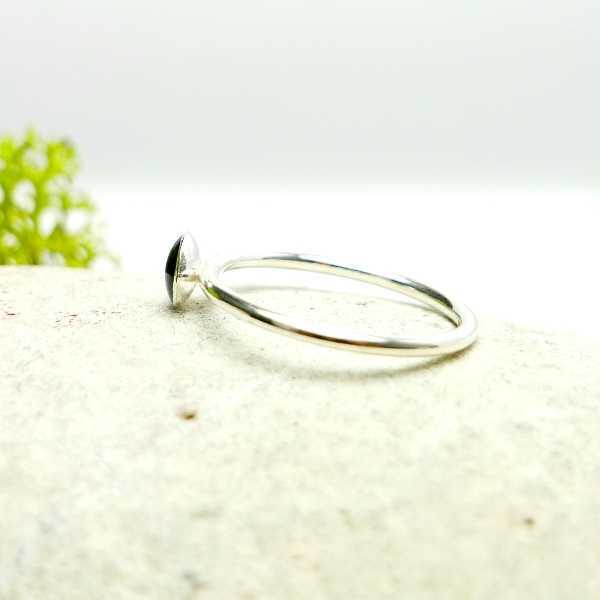 Nice little sterling silver minimalist ring from the Nuggets collection.Ring size: 52 (US 6)Width of the round ring: 1,5 mmEverything is in sterling silver.Made in France. 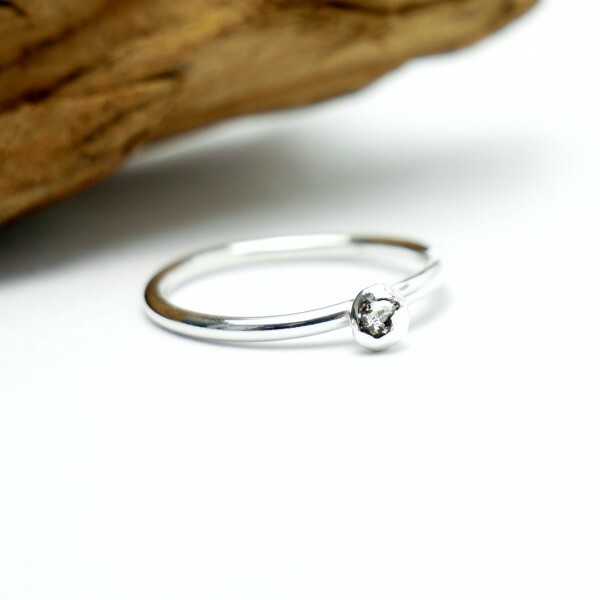 Nice little sterling silver minimalist ring from the Nuggets collection. Each ring is a unique piece, the one on the picture is the one you will recieve.Ring size: 50 (US 51/4)Width of the round ring: 1,5 mmEverything is in sterling silver. Each ring is unique !Made in France. 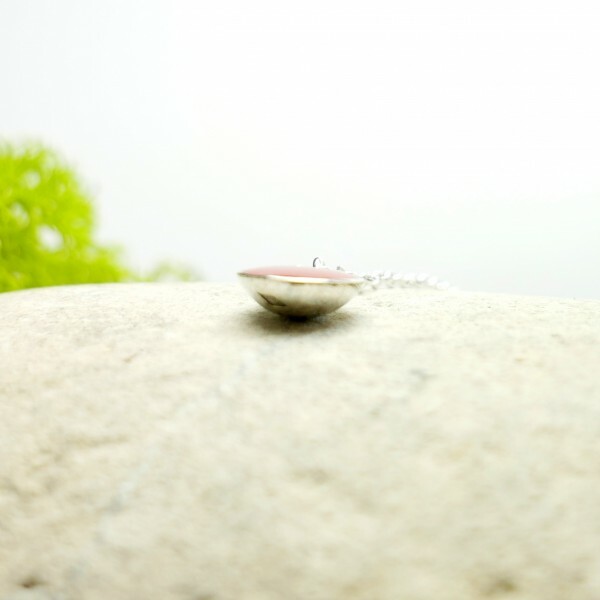 Nice sterling silver minimalist pendent earrings.Medallion size : 0,9 cm. Total length : 2 cmIt also exists with a star or clear. It's possible to punch 1 or 2 letters instead of the motive on request.Everything is in sterling silver.Made in France. 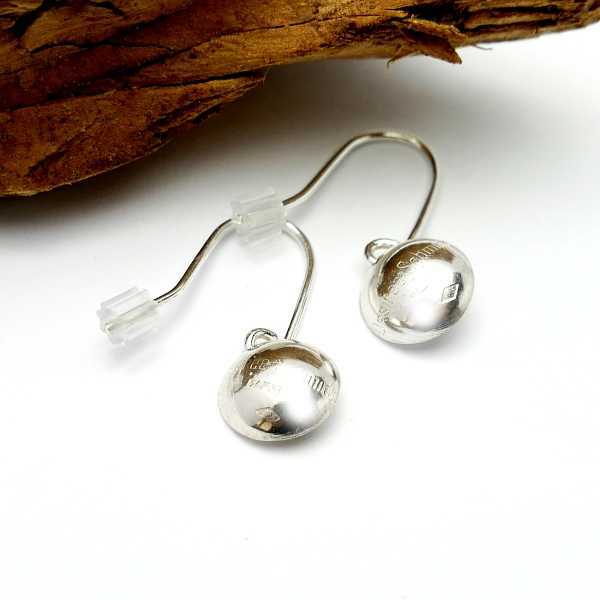 Nice little sterling silver little half bowl earrings.Medallion size : 0,4 cm.Each small ball is made by unit on craft way, they are not perfectly smooth and it is what makes all their charmEverything is in sterling silver.Made in France. 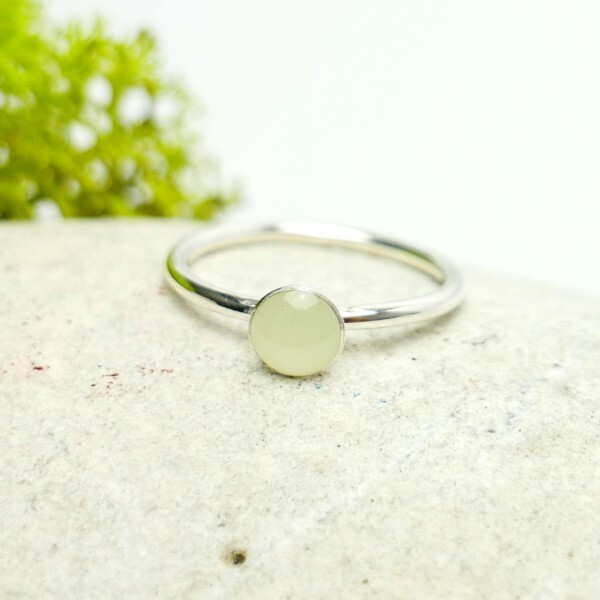 Nice little sterling silver minimalist ring with phosphorescent resin.Medallion size : 0,5 cm.Ring size: from 40 to 60. All the sizes are possible, every ring is make-to-order. To order a reusable Multisizer Ring Gauge follow this link : Width of the round ring: 1,5 mmIt also exists with other colorsEverything is in sterling silver and resin.Made in France. 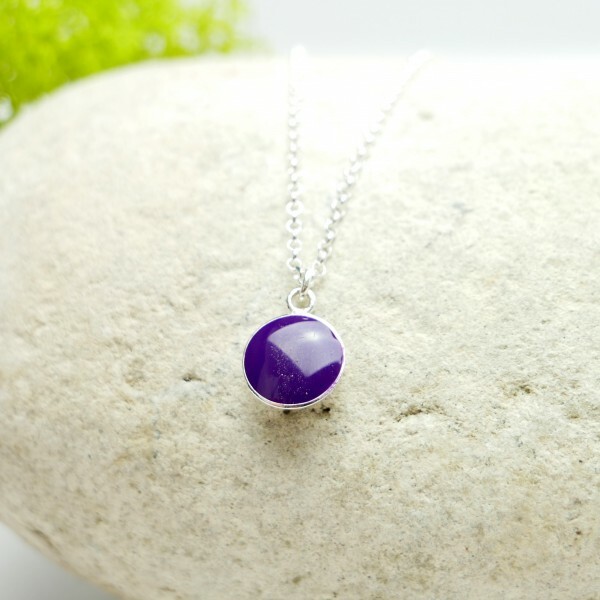 Nice little sterling silver minimalist pendent with purple resin.Medallion size : 0,8 cm.Chain length : 40 to 45 cm (adjustable). It's possible to have an other length on request and without additional cost. 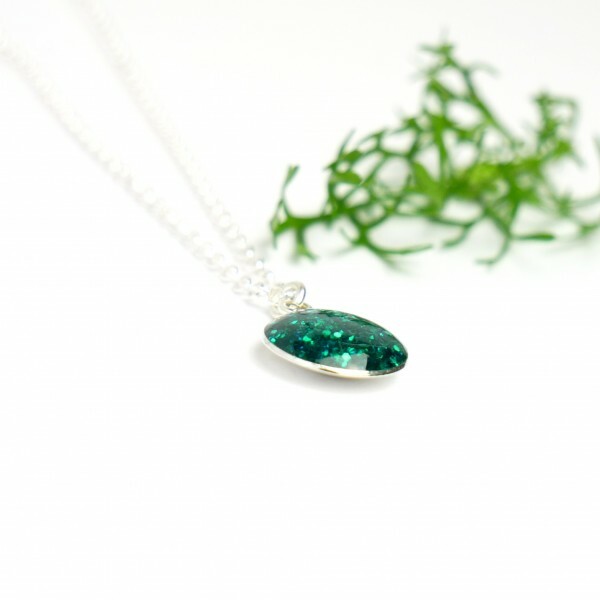 It's a handmade collection, it also exists with other colors Everything is in sterling silver and resin.Made in France. 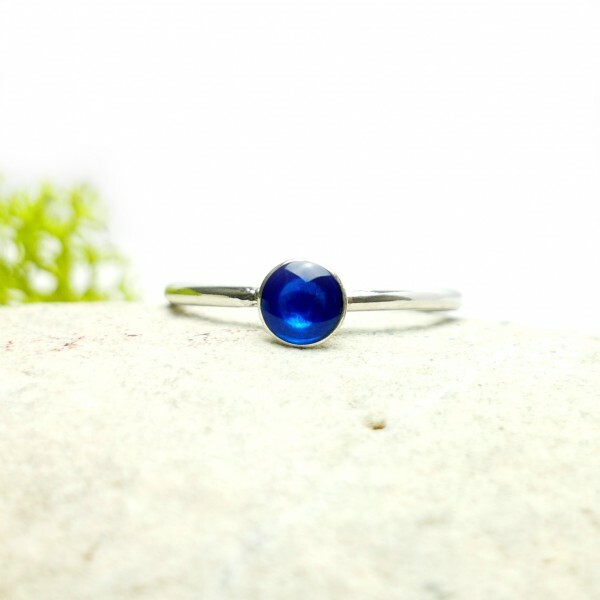 Nice little sterling silver minimalist ring with dark blue resin.Medallion size : 0,5 cm.Ring size: from 40 to 60. All the sizes are possible, every ring is make-to-order. 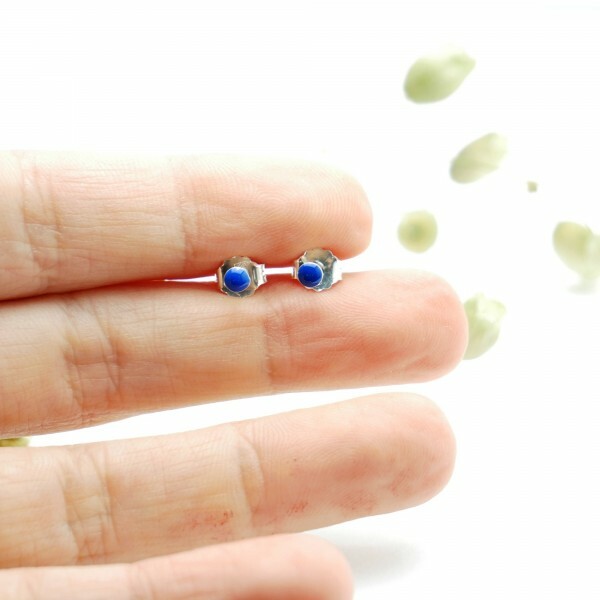 To order a reusable Multisizer Ring Gauge follow this link : Width of the round ring: 1,5 mmIt also exists with other colorsEverything is in sterling silver and resin.Made in France. 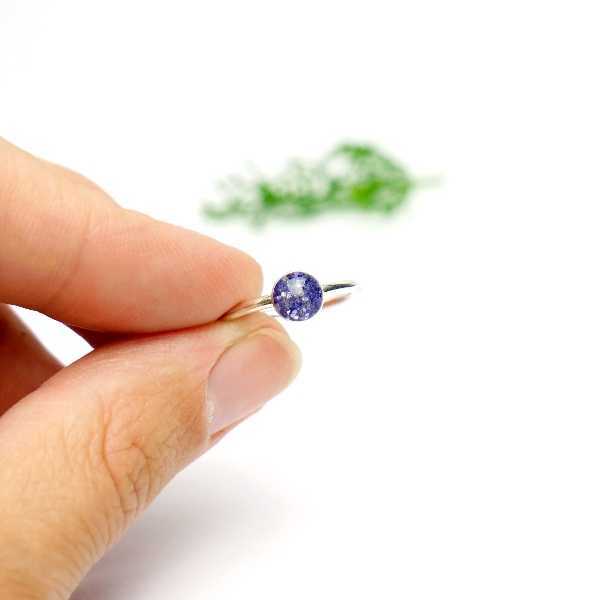 Nice little sterling silver minimalist ring with blue resin.Medallion size : 0,5 cm.Ring size: from 40 to 60. All the sizes are possible, every ring is make-to-order. To order a reusable Multisizer Ring Gauge follow this link : Width of the round ring: 1,5 mmIt also exists with other colorsEverything is in sterling silver and resin.Made in France. 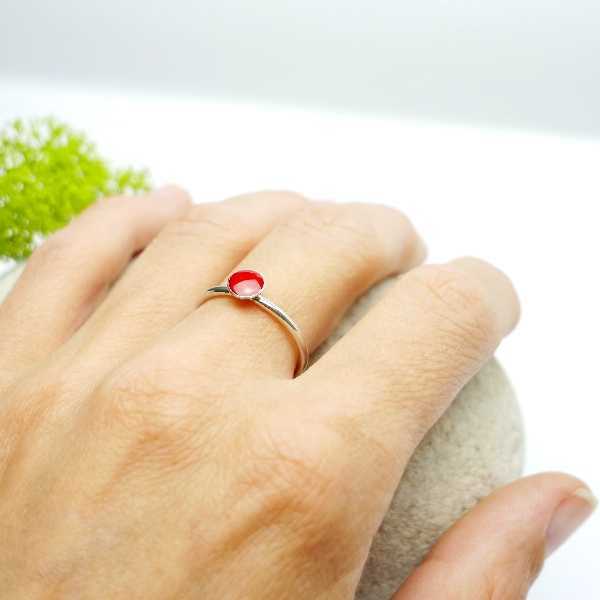 Nice little sterling silver minimalist ring with garnet red resin.Medallion size : 0,5 cm.Ring size: from 40 to 60. All the sizes are possible, every ring is make-to-order. 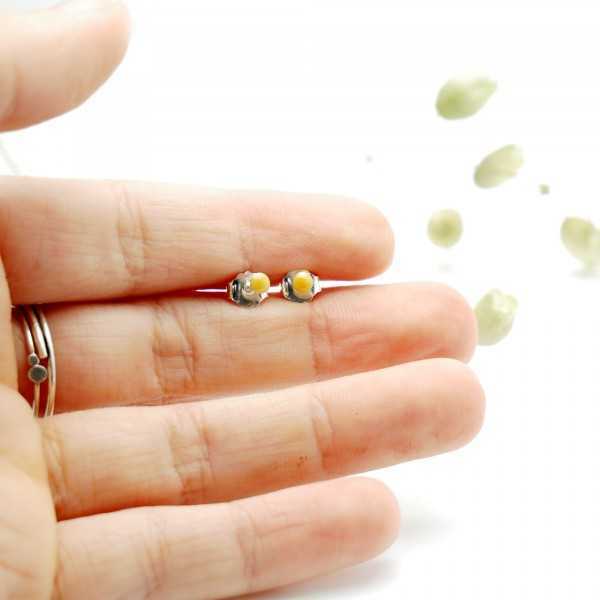 To order a reusable Multisizer Ring Gauge follow this link : Width of the round ring: 1,5 mmIt also exists with other colorsEverything is in sterling silver and resin.Made in France. 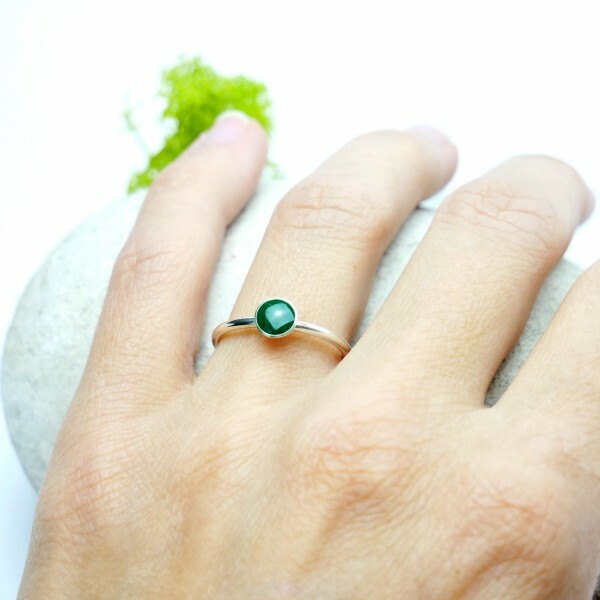 Nice little sterling silver minimalist ring with fir green resin.Medallion size : 0,5 cm.Ring size: from 40 to 60. All the sizes are possible, every ring is make-to-order. 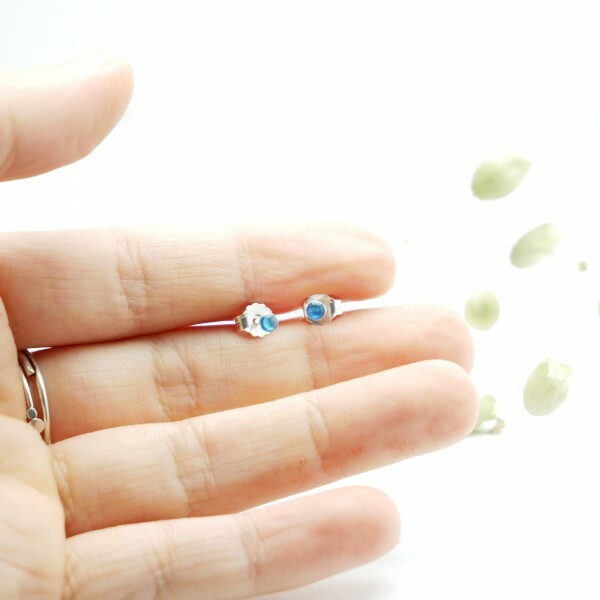 To order a reusable Multisizer Ring Gauge follow this link : Width of the round ring: 1,5 mmIt also exists with other colorsEverything is in sterling silver and resin.Made in France. 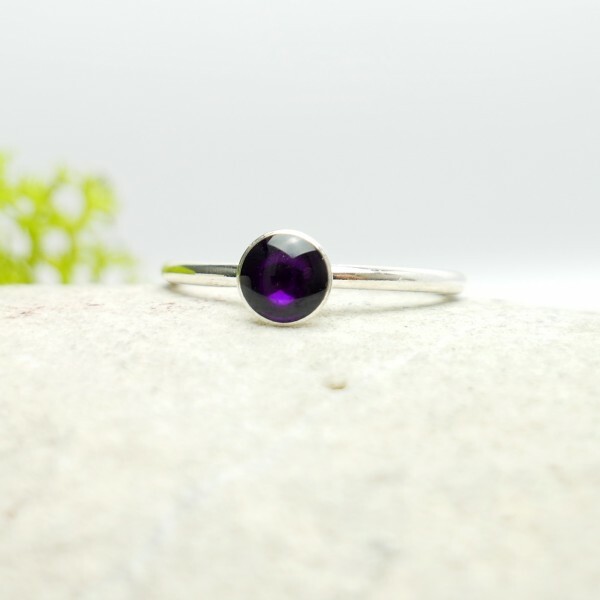 Nice little sterling silver minimalist ring with violet resin.Medallion size : 0,5 cm.Ring size: from 40 to 60. All the sizes are possible, every ring is make-to-order. To order a reusable Multisizer Ring Gauge follow this link : Width of the round ring: 1,5 mmIt also exists with other colorsEverything is in sterling silver and resin.Made in France. 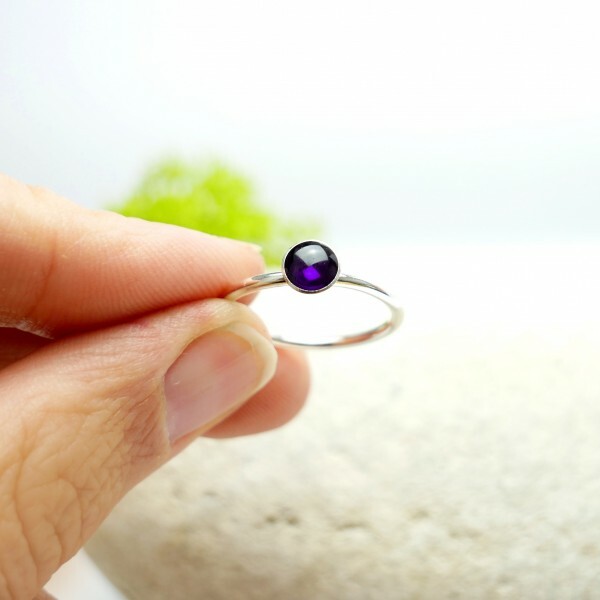 Nice little sterling silver minimalist ring with dark violet resin.Medallion size : 0,5 cm.Ring size: from 40 to 60. All the sizes are possible, every ring is make-to-order. To order a reusable Multisizer Ring Gauge follow this link : Width of the round ring: 1,5 mmIt also exists with other colorsEverything is in sterling silver and resin.Made in France. Nice little sterling silver minimalist pendent with transluscent blue resin.Medallion size : 0,8 cm.Chain length : 40 to 45 cm (adjustable). It's possible to have an other length on request and without additional cost. It's a handmade collection, it also exists with other colors Everything is in sterling silver and resin.Made in France. Nice little sterling silver minimalist pendent with dark blue resin.Medallion size : 0,8 cm.Chain length : 40 to 45 cm (adjustable). It's possible to have an other length on request and without additional cost. It's a handmade collection, it also exists with other colors Everything is in sterling silver and resin.Made in France. Nice little sterling silver minimalist pendent with blue resin.Medallion size : 0,8 cm.Chain length : 40 to 45 cm (adjustable). It's possible to have an other length on request and without additional cost. It's a handmade collection, it also exists with other colors Everything is in sterling silver and resin.Made in France. Nice little sterling silver minimalist pendent with phosphorescent resin.Medallion size : 0,8 cm.Chain length : 40 to 45 cm (adjustable). It's possible to have an other length on request and without additional cost. It's a handmade collection, it also exists with other colors Everything is in sterling silver and resin.Made in France. 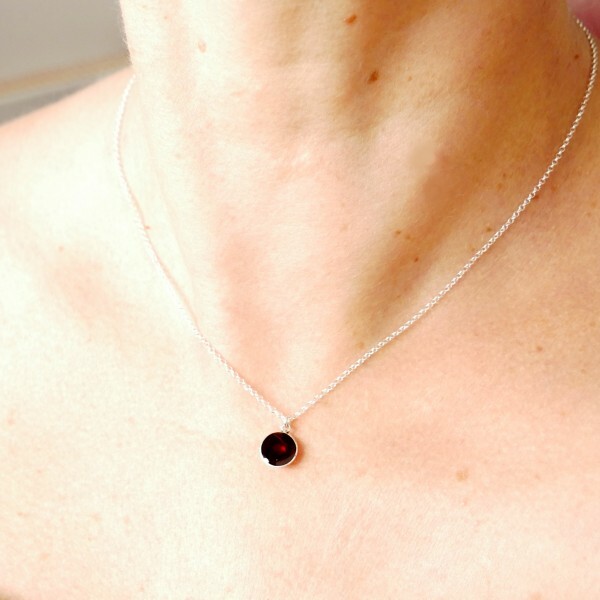 Nice little sterling silver minimalist pendent with garnet red resin.Medallion size : 0,8 cm.Chain length : 40 to 45 cm (adjustable). It's possible to have an other length on request and without additional cost. It's a handmade collection, it also exists with other colors Everything is in sterling silver and resin.Made in France. 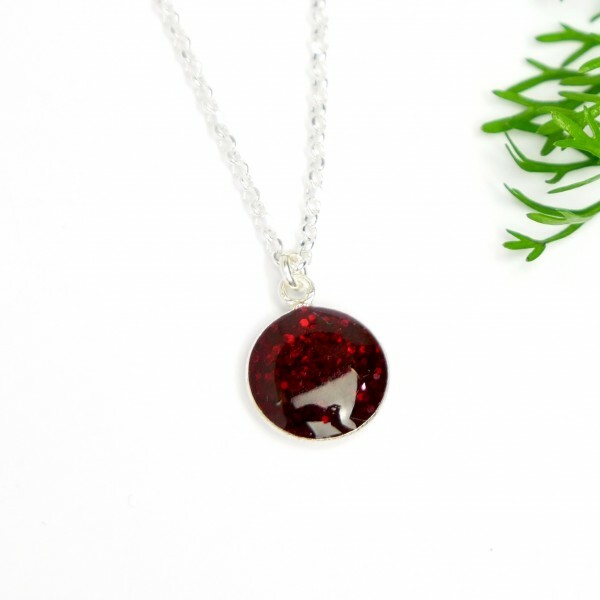 Nice little sterling silver minimalist pendent with poppy flower red resin.Medallion size : 0,8 cm.Chain length : 40 to 45 cm (adjustable). It's possible to have an other length on request and without additional cost. It's a handmade collection, it also exists with other colors Everything is in sterling silver and resin.Made in France. 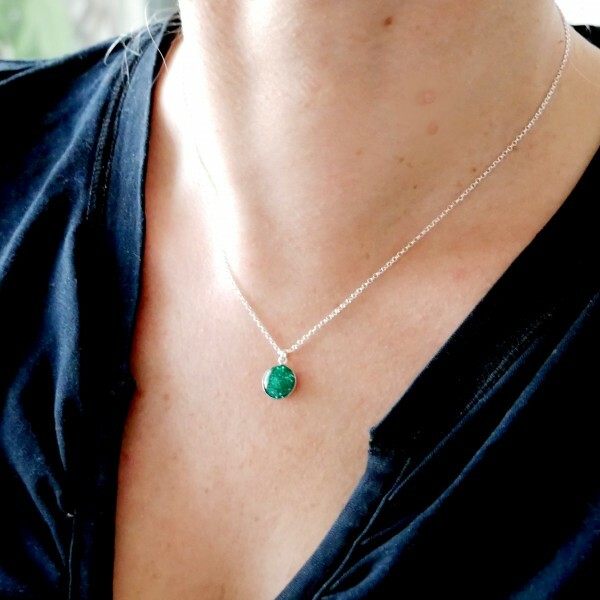 Nice little sterling silver minimalist pendent with fir green resin.Medallion size : 0,8 cm.Chain length : 40 to 45 cm (adjustable). It's possible to have an other length on request and without additional cost. It's a handmade collection, it also exists with other colors Everything is in sterling silver and resin.Made in France. 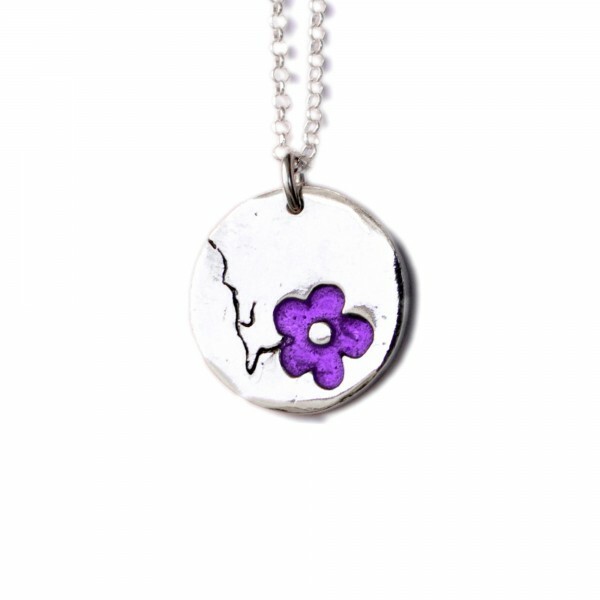 Nice little sterling silver minimalist pendent with dark purple resin.Medallion size : 0,8 cm.Chain length : 40 to 45 cm (adjustable). It's possible to have an other length on request and without additional cost. It's a handmade collection, it also exists with other colors Everything is in sterling silver and resin.Made in France. Nice little sterling silver minimalist earrings with dark violet resin.Medallion size : 0,5 cm.Everything is in sterling silver.Made in France. 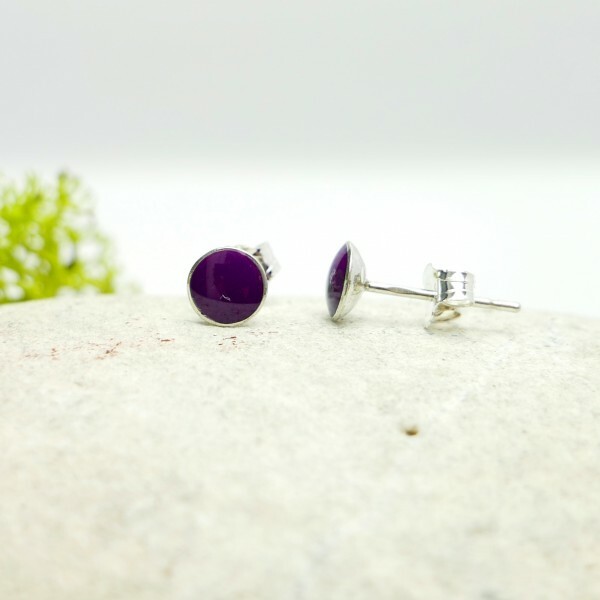 Nice little sterling silver minimalist earrings with violet resin.Medallion size : 0,5 cm.Everything is in sterling silver.Made in France. 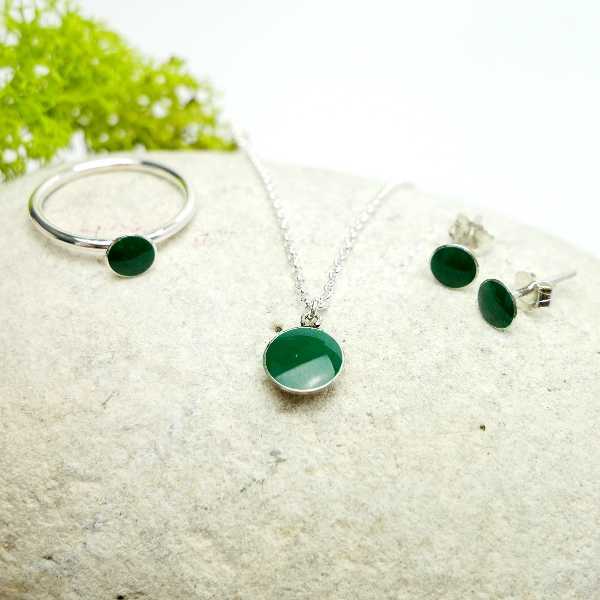 Nice little sterling silver minimalist earrings with fir green resin.Medallion size : 0,5 cm.Everything is in sterling silver.Made in France. 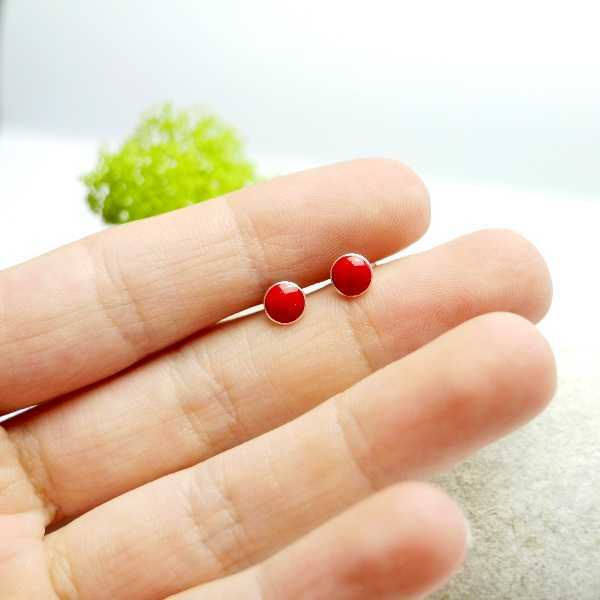 Nice little sterling silver minimalist earrings with poppy flower red resin.Medallion size : 0,5 cm.Everything is in sterling silver.Made in France. 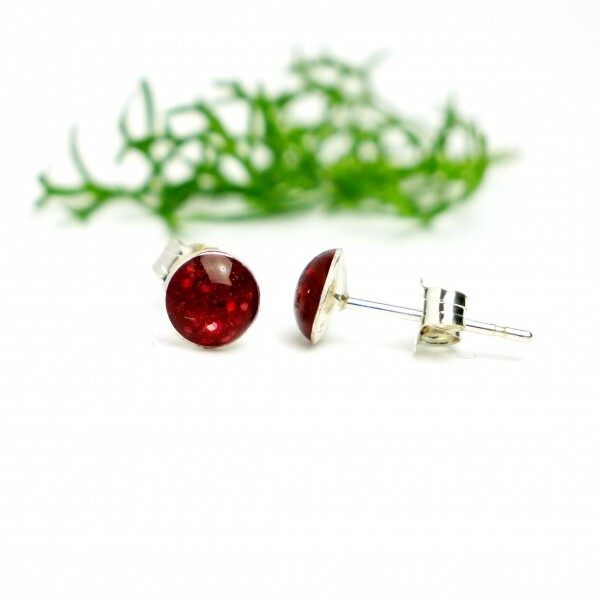 Nice little sterling silver minimalist earrings with garnet red resin.Medallion size : 0,5 cm.Everything is in sterling silver.Made in France. 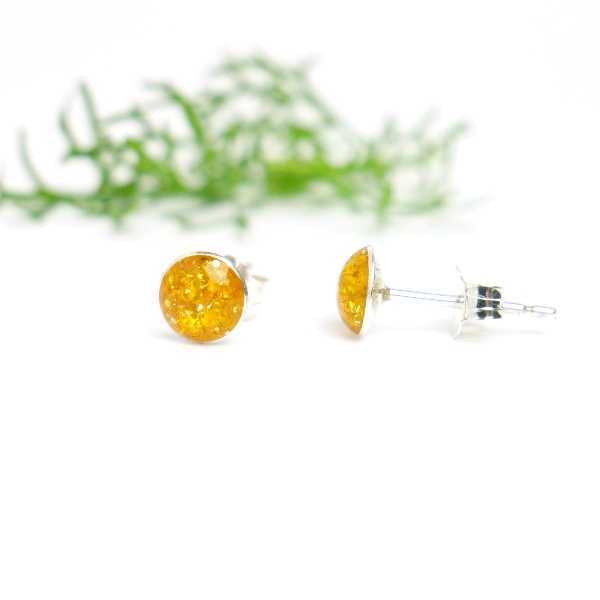 Nice little sterling silver minimalist earrings with phosphorescent resin.Medallion size : 0,5 cm.Everything is in sterling silver.Made in France. 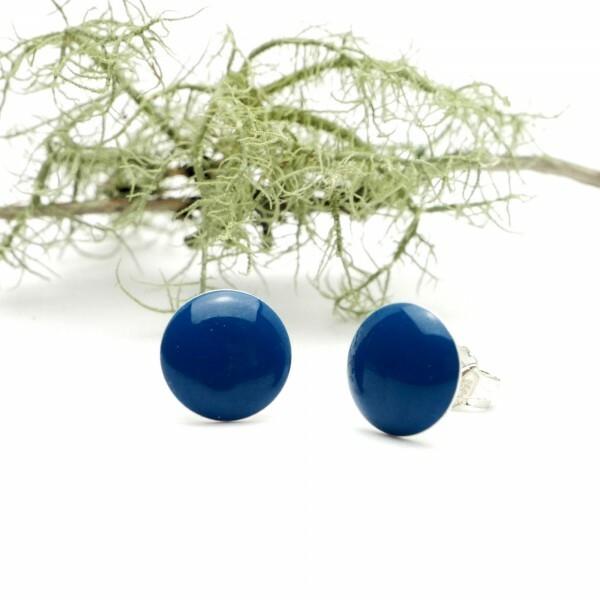 Nice little sterling silver minimalist earrings with blue resin.Medallion size : 0,5 cm.Everything is in sterling silver.Made in France. 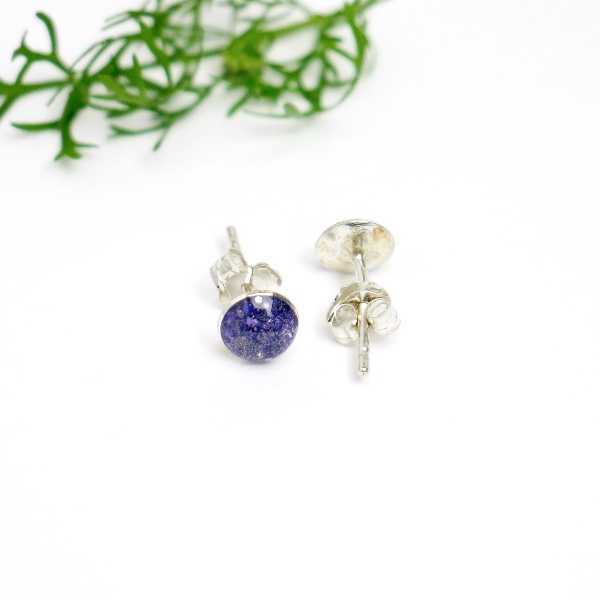 Nice little sterling silver minimalist earrings with transluscent blue resin.Medallion size : 0,5 cm.Everything is in sterling silver.Made in France. Kilt small necklace. Sterling silver. A touch of modernity. Pendant on chain from the "Kilt" collection. Sterling silver. Medallion size : 6x20 mm. Chain length : 42-45 cm. Made in France. 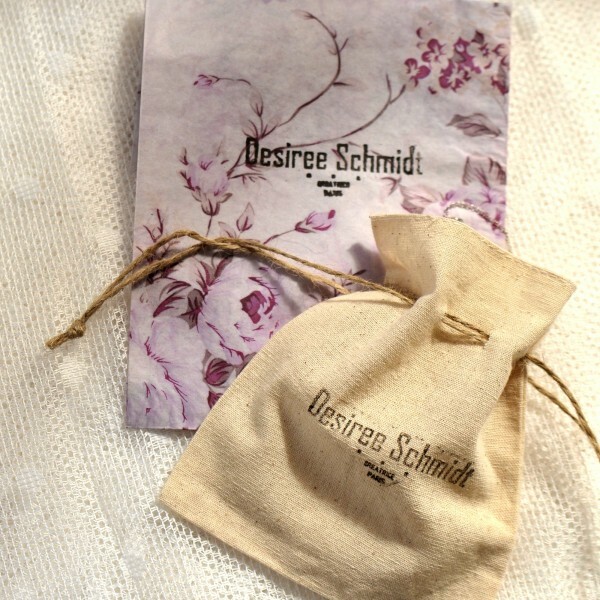 Kilt square necklace. Sterling silver. A touch of modernity. Pendant on chain from the "Kilt" collection. Sterling silver. Medallion size : 15X15 mm. Chain length : 42-45 cm. Made in France. 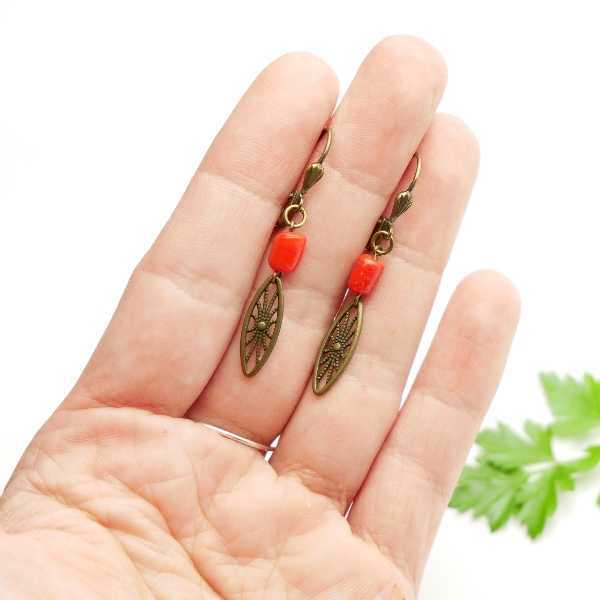 Kilt small pendant earrings. Sterling silver. A touch of modernity. 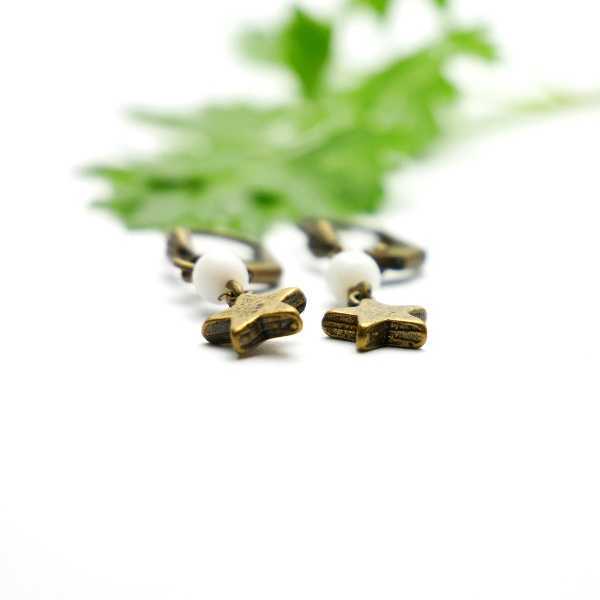 Pendant earrings from the "Kilt" collection. Sterling silver. Medallion size : 6x20 mm. Total length : 3,5 cm. Made in France. Sterling silver and translucent violet resin.Last pieces !A slight touch of romance. Pendant on chain from the "Valentine" collection. Sterling silver and translucent purple resin. Medallion size: 2x1cm. Chain length: 40 to 45cm (adjustable). Made in France. Last pieces !A slight touch of romance. Pendant on chain from the "Valentine" collection. Sterling silver and purple resin. Medallion size: 2x1 cm. Chain length: 42cm. Made in France. 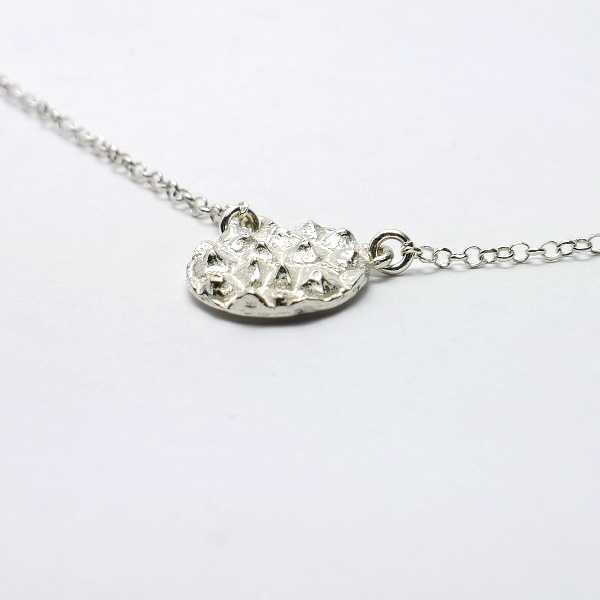 Flower ajustable necklace from the "Rose" collection. Chain length : 40-45 cm (ajustable). Medallion size : 2 cm. Aged bronze. Made in France. 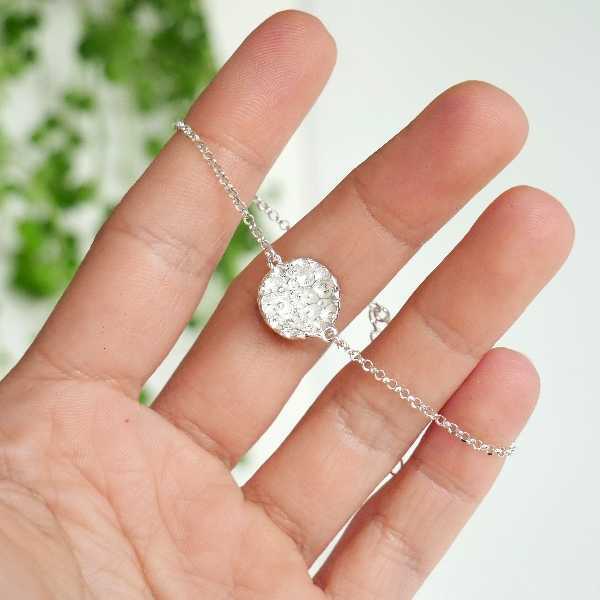 Round Rose ajustable necklace. Aged Bronze. Flower ajustable necklace from the "Rose" collection. Chain length : 40-45 cm (ajustable). Medallion size : 2,5 cm. Aged bronze. Made in France. 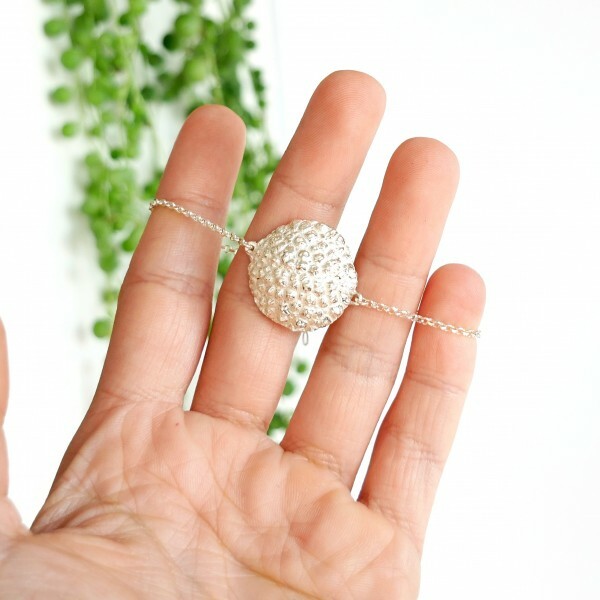 Small Rose ajustable necklace. Aged Bronze. 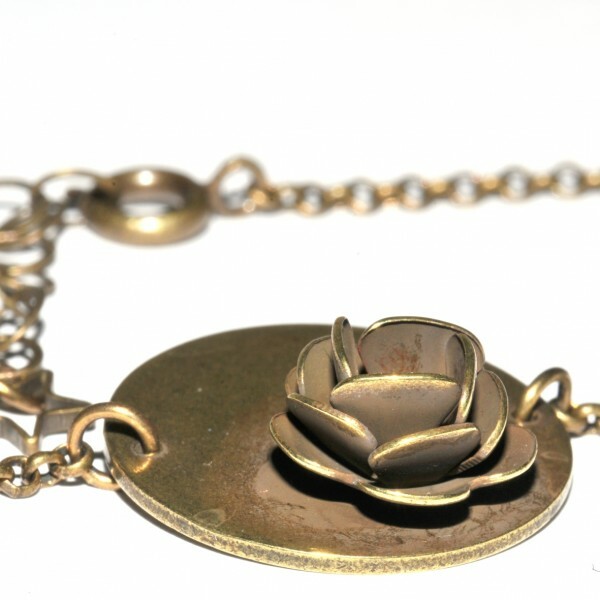 Flower ajustable necklace from the "Rose" collection. Chain length : 40-45 cm (ajustable). Medallion size : 1,5x1,5 cm. Aged bronze. Made in France. 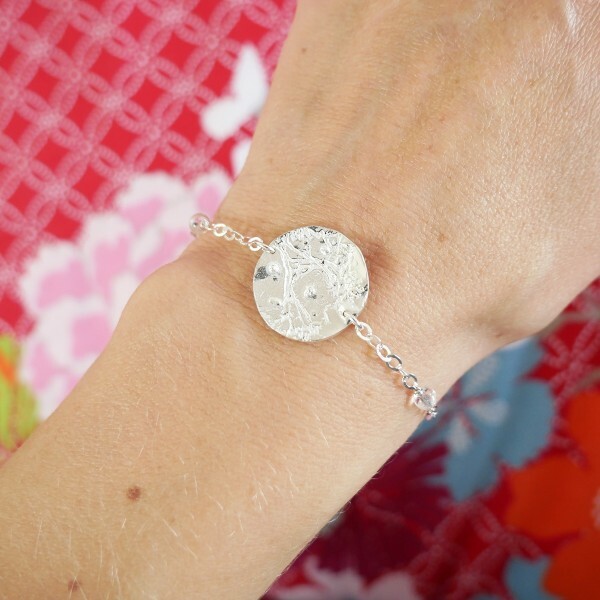 Round Rose ajustable bracelet. Aged Bronze. 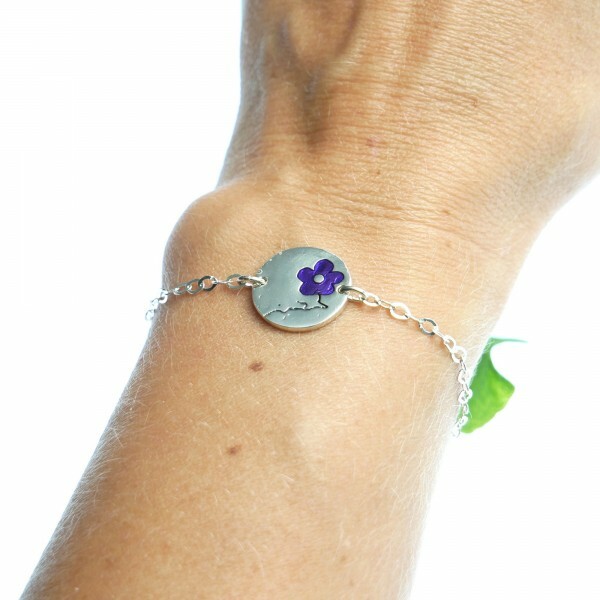 Flower ajustable bracelet from the "Rose" collection. Chain length : 15,5 - 18,5 cm (ajustable). Medallion size : 2 cm. Aged bronze. Made in France. 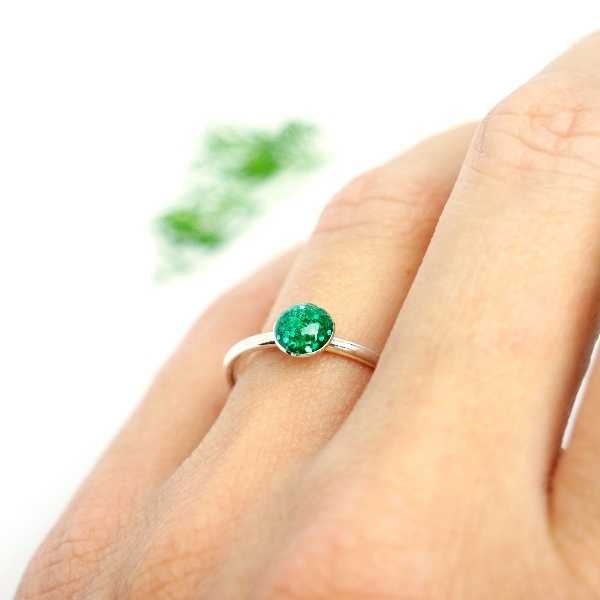 Small ajustable Rose ring. Aged bronze. 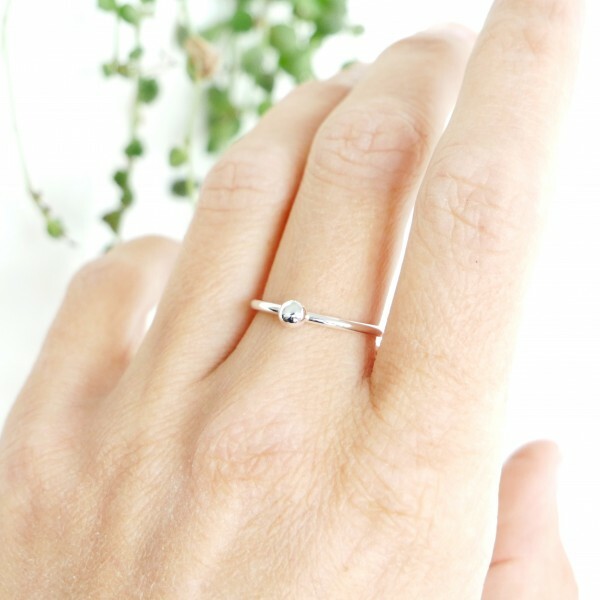 Small ajustable ring from the "Rose" collection. Size 52 to 59 (ajustable). Rose size : 1 cm. Aged bronze. Made in France. The peace of mind of a wintry garden. 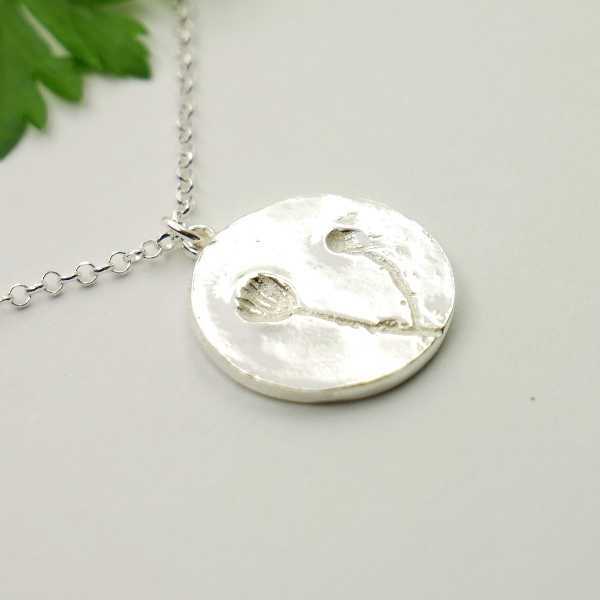 Reversible pendant on Gold plated chain from the "Winter Garden" collection. Chain length: 40-45cm. Medallion size: 1,7x2,2cm. Made in France. Parcels are sent 48h after the order.Free shipping ! Volubilis ring. Fine golded bronze. From Latin "Volubilis" : That turns itself around, turning, spinning, whirling, rolling, revolving.Fine golded ring from the Morning Glories collection.Different sizes : 49, 52, 55, 56 et 57 (to precise during the order). These are the last sizes ! 0,8 cm wide. 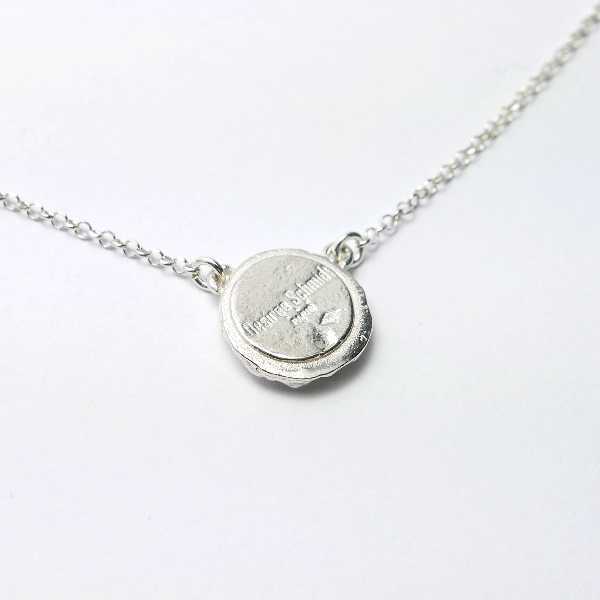 Exist also in sterling silver. Made in France. 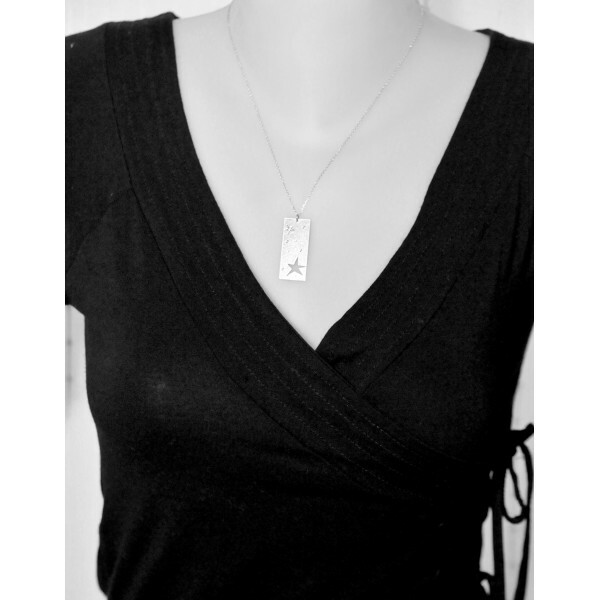 Very elegant, this rectangular necklace of the Kilt collection will add a touch of modernity to all your dresses.Size of the medallion: 6x20 mm.Length of the chain: 40 to 45 cm (adjustable).Everything is in sterling silver 925/1000.Made in France. A slight touch of romance. 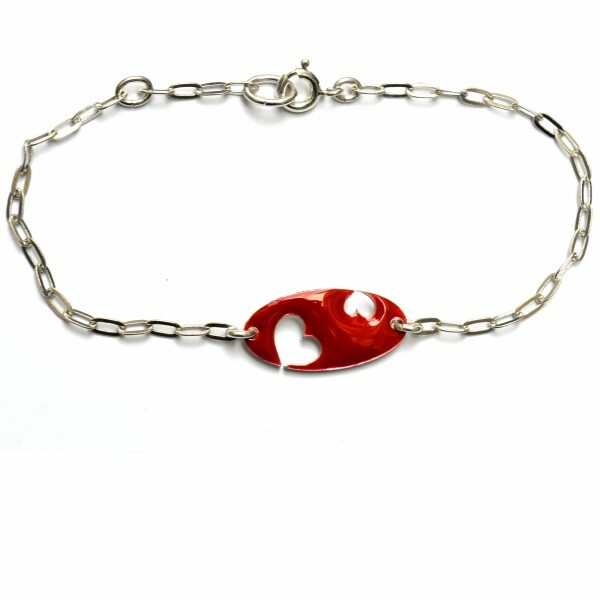 Reversible heart bracelet from the Valentine collection. Sterling silver and dark purple resin.Medallion size: 2x1 cm. Chain length: from 15,5 to 18,5 cm (adjustable). It's possible to have an other length on request and without additional cost. Made in France. Thanks to this reusable Multisizer Ring Gauge, you can know the size of your finger and order more easily a not adjustable ring. It'is for the French standards and goes from 40 to 76.The Multisizer Ring Gauge is very easy of use.A manual is supplied with it. A delicate poppy flower in a vast meadow. 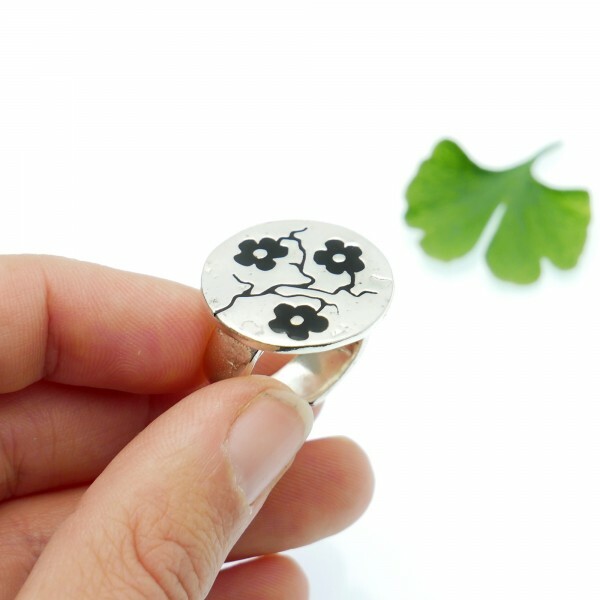 Adjustable ring from the "Mellow Meadow Flower" collection. Sterling silver. Size: 52-56. 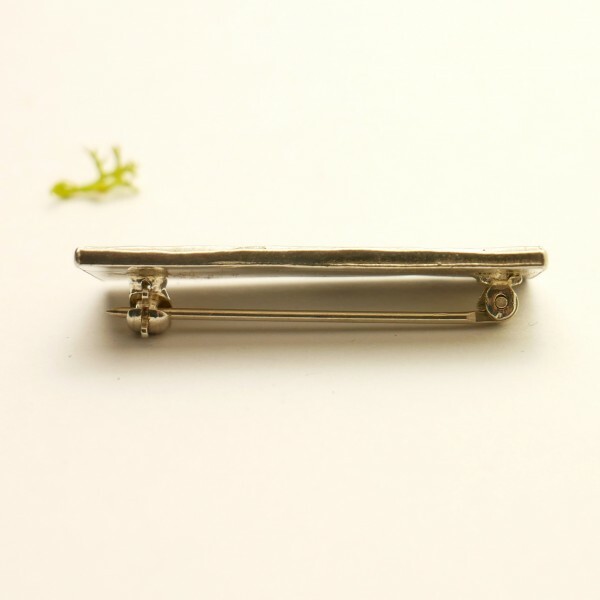 Ring width: 1cm. Medallion size: 4cm. Made in France. A delicate poppy flower in a vast meadow. 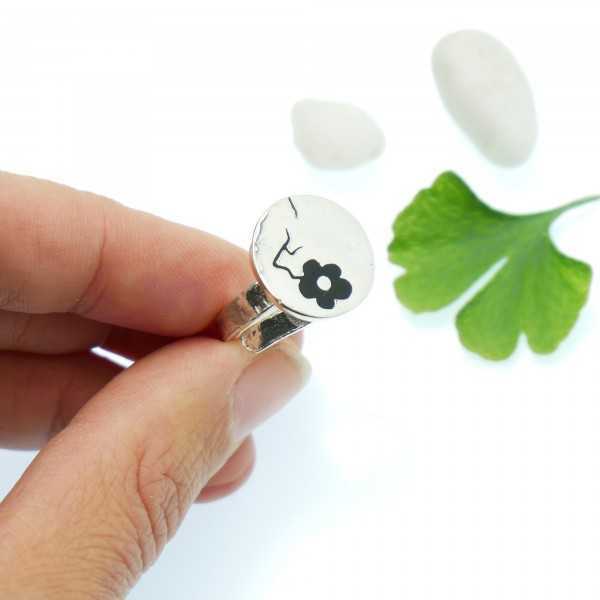 Adjustable sterling silver ring from the Mellow Meadow Flower collection.Sizes from 52 to 56 (6 to 7 1/2 (US)).Ring width: 1 cm. Made in France. A delicate poppy flower in a vast meadow. 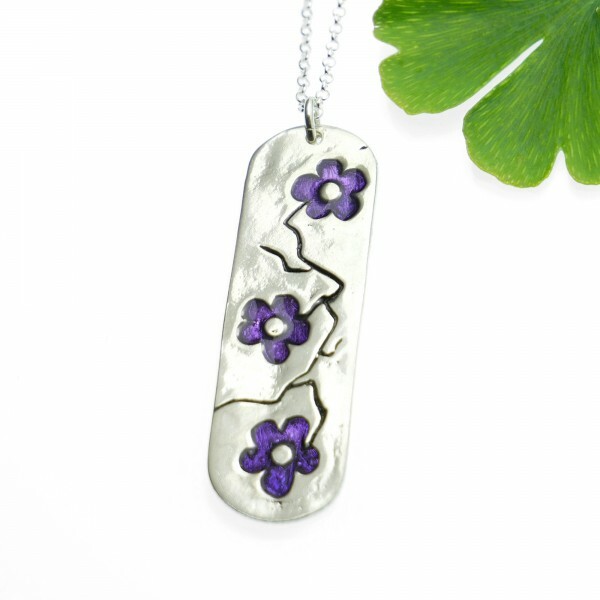 Pendant on chain from the "Mellow Meadow Flower" collection. Sterling silver. Chain length: 42-45cm. Medallion size: 2x2,5cm. Made in France. A delicate poppy flower in a vast meadow. 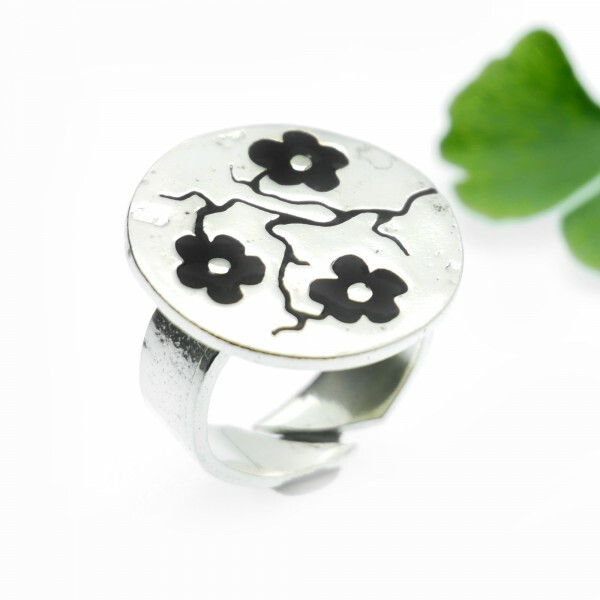 Adjustable ring from the "Mellow Meadow Flower" collection. Sterling silver. Size: 50-60. Ring width: 0,5cm. Medallion size: 2x2,5cm. Made in France. A delicate poppy flower in a vast meadow. 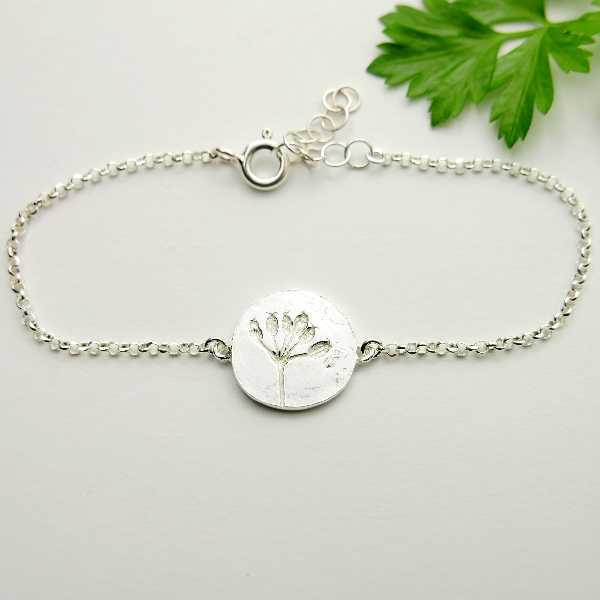 Bracelet from the "Mellow Meadow Flower" collection. Sterling silver. With cristal beads. Chain length: 18cm. Medallion size: 2x2,5cm. Made in France. A couple of dewdrops sleeping on a bed of moss. Pendant on adjustable chain from the Morning dew collection. Sterling silver and crystal beads. Medallion size: 2,9 cm. Chain Size: from 40 to 45 cm (adjustable). It's possible to have an other length on request and without any cost.Made in France. A couple of dewdrops sleeping on a bed of moss. 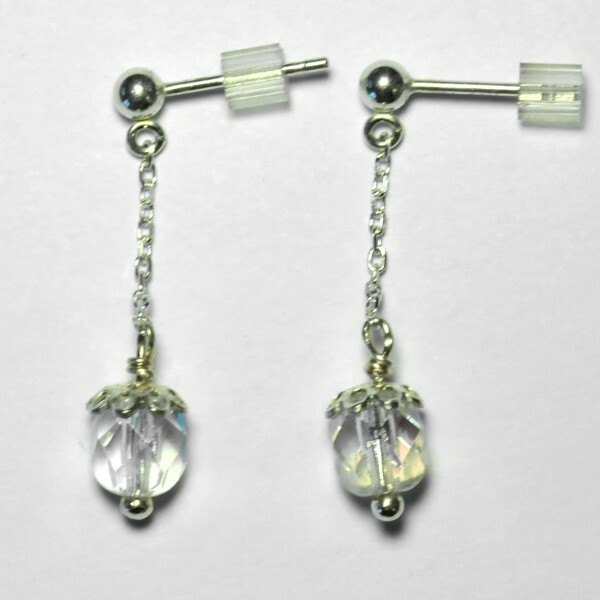 Sterling silver earrings for pierced ears from the Morning Dew collection. Length: 3,8cm. Medallion size: 1,9cm. Made in France. 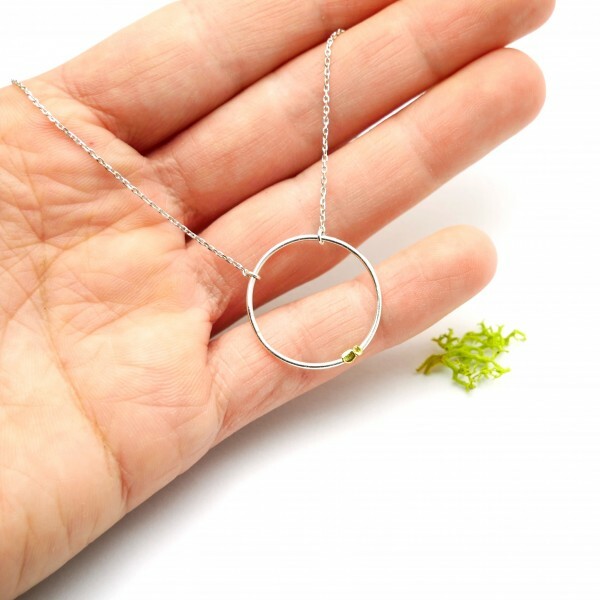 Morning Dew small necklace. Sterling silver. A couple of dewdrops sleeping on a bed of moss. 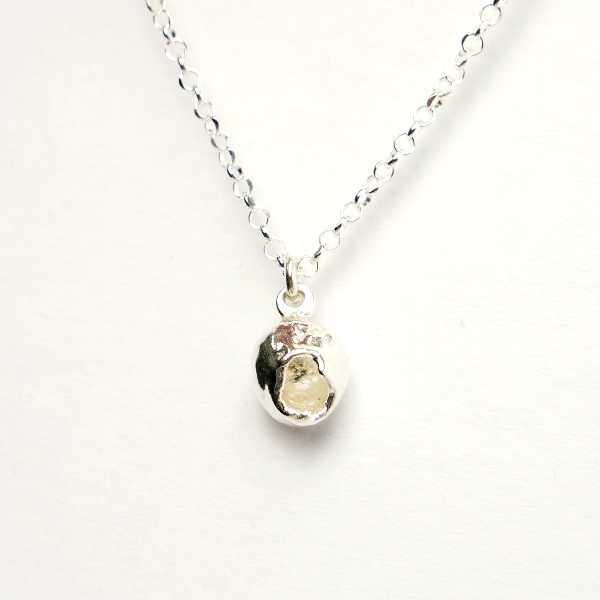 Pendant on adjustable chain from the Morning dew collection. Sterling silver. Medallion size: 1,9cm. Chain Size: from 40 to 45 cm (adjustable). It's possible to have an other length on request and without any cost.Made in France. A couple of dewdrops sleeping on a bed of moss. 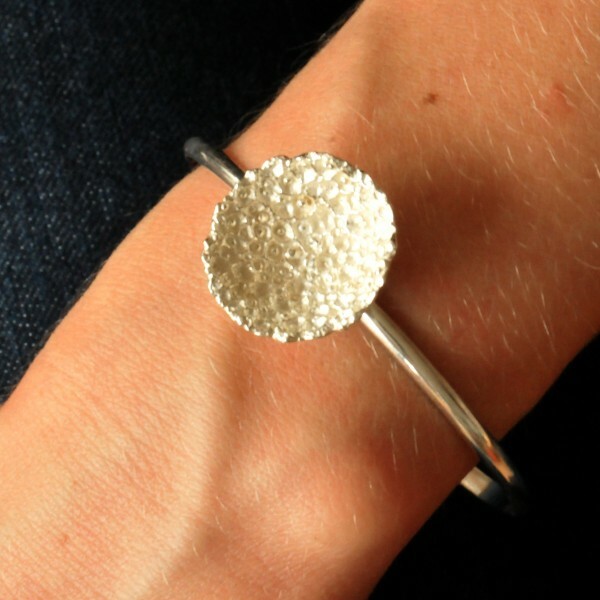 Adjustable bracelet from the Morning Dew collection. Sterling silver and crystal beads. Medallion size: 1,9 cm. 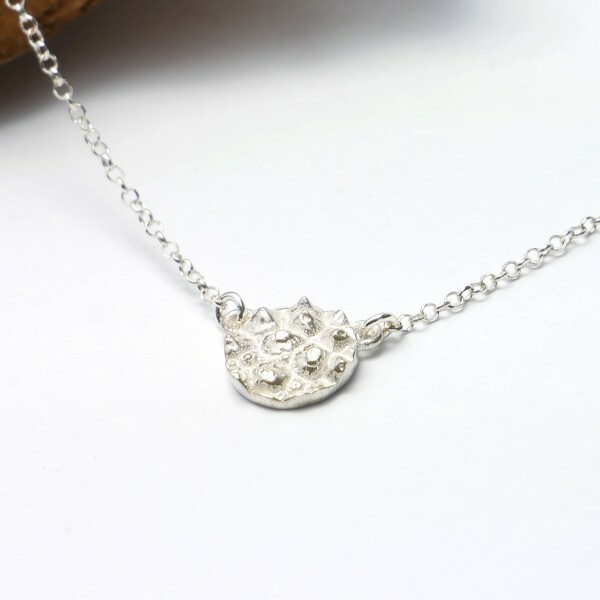 Chain Size: from 15,5 to 18,5 cm (adjustable). It's possible to have an other length on request and without additional cost.Made in France. A couple of dewdrops sleeping on a bed of moss. 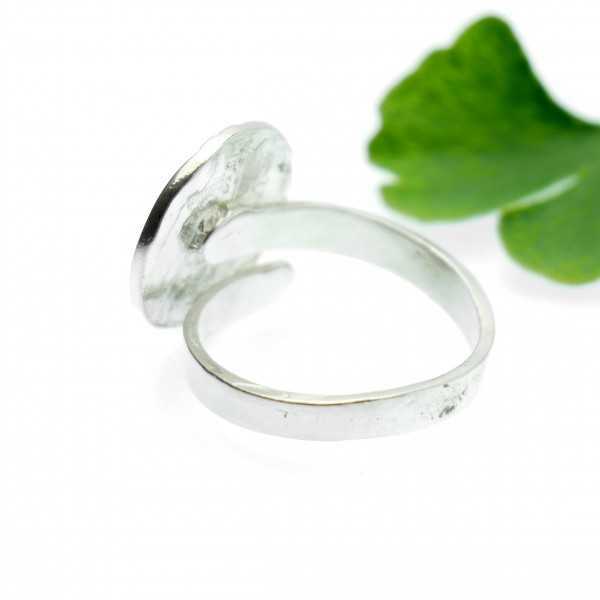 Adjustable ring from the "Morning dew" collection. Sterling silver. Size: 50-60. Ring width: 0,5cm. Medallion size: 1,9cm. Made in France. From latin "Volūbilis" : That turns itself around, turning, spinning, whirling, rolling, revolving. 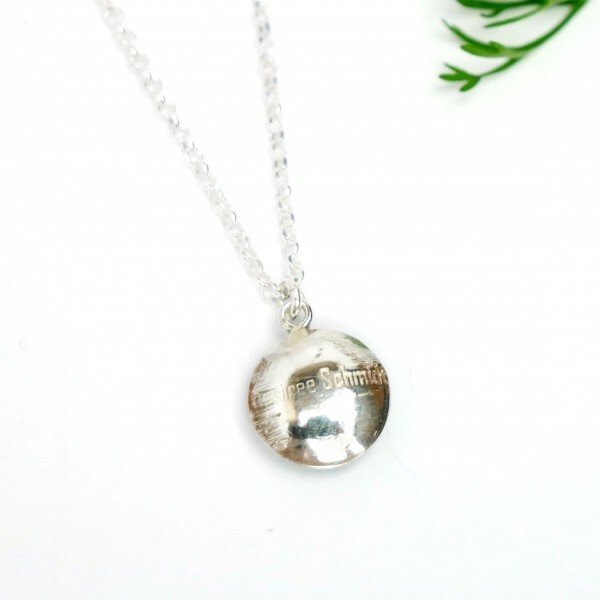 Sterling silver ajustable necklace. Total length : 40 - 45 cm. Pendent dimension : 4x1,5 cm. Exist in fine golded bronze. Made in France. Parcels are sent 48h after the order.Free shipping ! From latin "Volūbilis" : That turns itself around, turning, spinning, whirling, rolling, revolving. 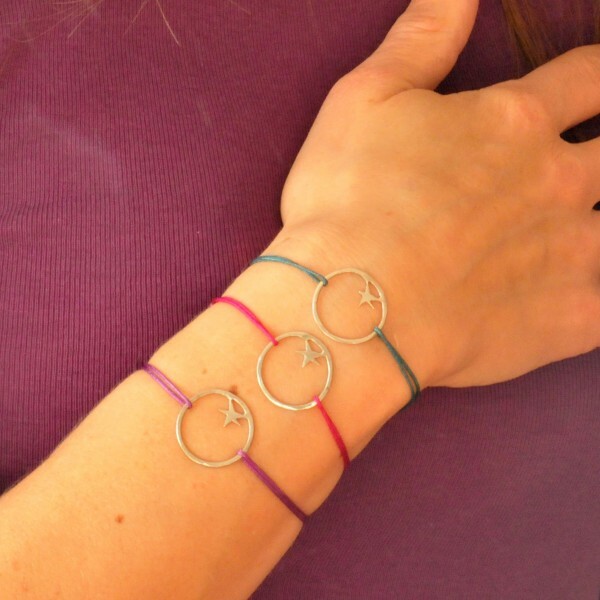 Sterling silver ajustable bracelet. Total length : 15,5 - 18,5 cm. Pendent dimension : 4,2x0,8 cm. Exist in fine golded bronze. Made in France. Parcels are sent 48h after the order.Free shipping ! From latin "Volūbilis" : That turns itself around, turning, spinning, whirling, rolling, revolving. Fine golded bronze ajustable necklace. Total length : 40 - 45 cm. Pendent dimension : 4x1,5 cm. 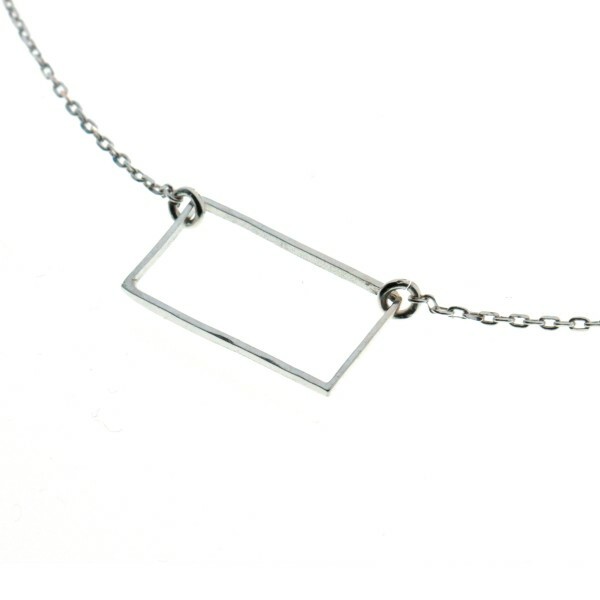 Exist in fine sterling silver. Made in France. Parcels are sent 48h after the order.Free shipping ! A delicate poppy flower in a vast meadow. 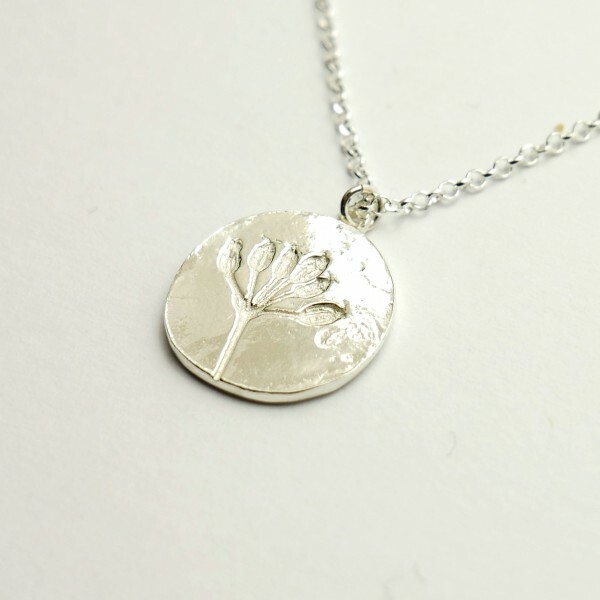 Long necklace from the "Mellow Meadow Flower" collection. Sterling silver. With cristal and glass beads. Length: 100cm. Fully adjustable. Medallion size: 4cm. Made in France. Parcels are sent 48h after the order.Free shipping ! 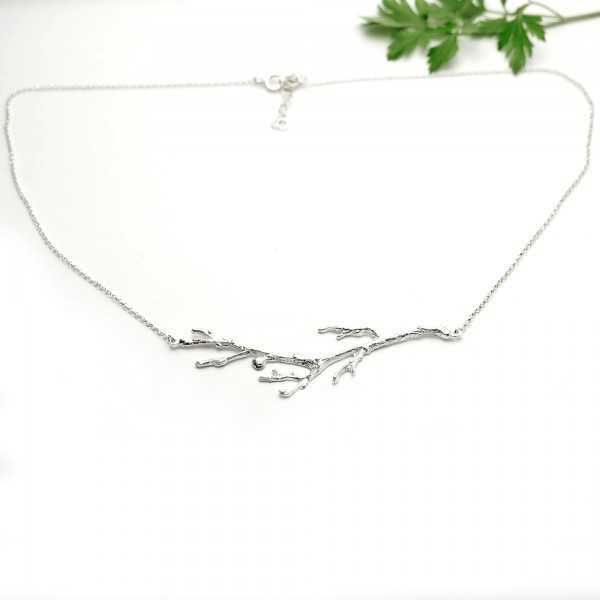 A pure line inspired by the nature.Branch necklace in sterling silver.Total length from 40 cm to 45 cm (adjustable).Size of the branch: 6 cm, thickness: approximately 2 mm.Made in France. 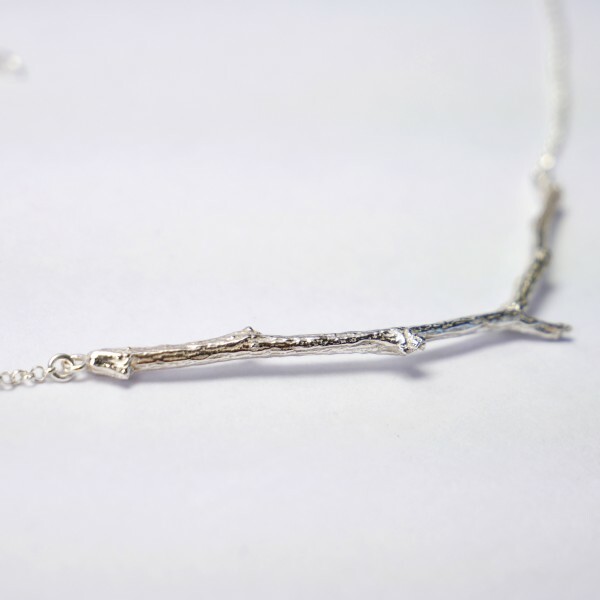 A pure line inspired by the nature.Branch Bracelet in sterling silver.Total length from 15,5 cm to 18,5 cm (adjustable).Size of the branch: 7 cm, thickness: approximately 2 mm.Made in France. 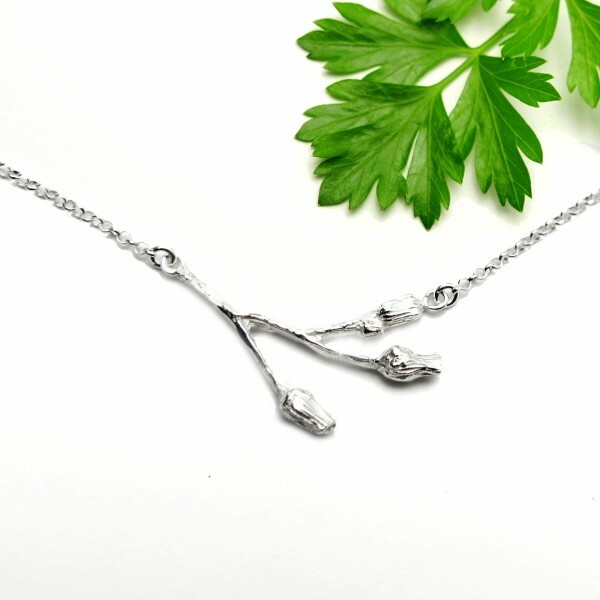 A pure line inspired by the nature.Branch earrings in sterling silver.Total length from 8,5 cm. 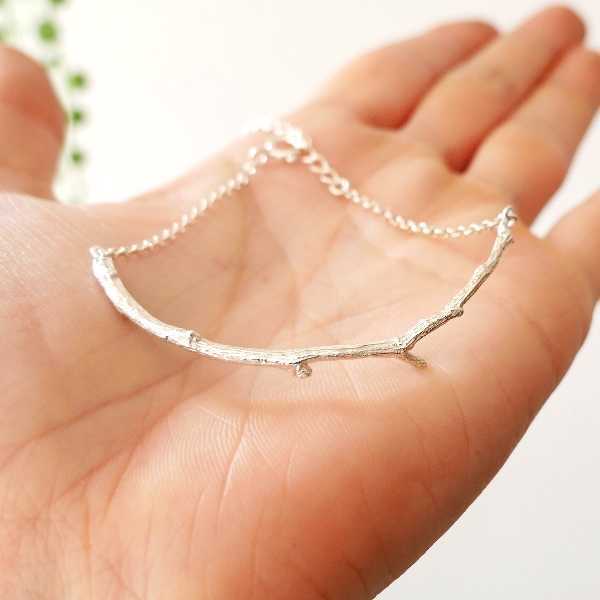 Size of the branch: 7 cm, thickness: approximately 2 mm.Made in France. 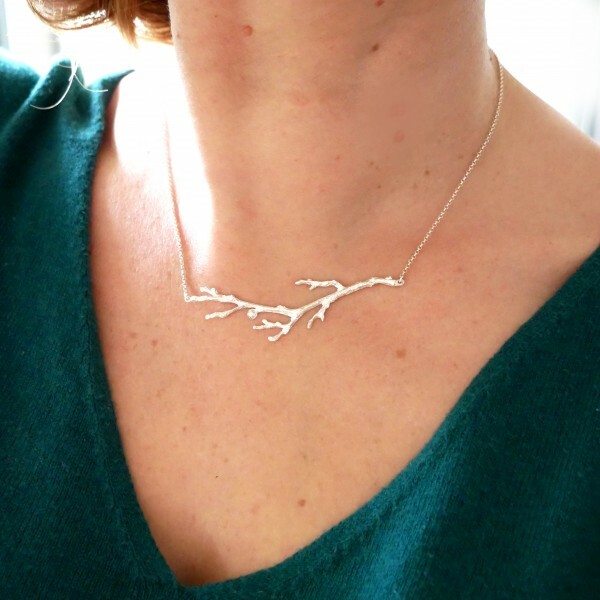 A pure line inspired by the nature.Branch adjustable in sterling silver.Sizes : from 50 to 60 (adjustable), thickness: approximately 2 mm.Made in France. 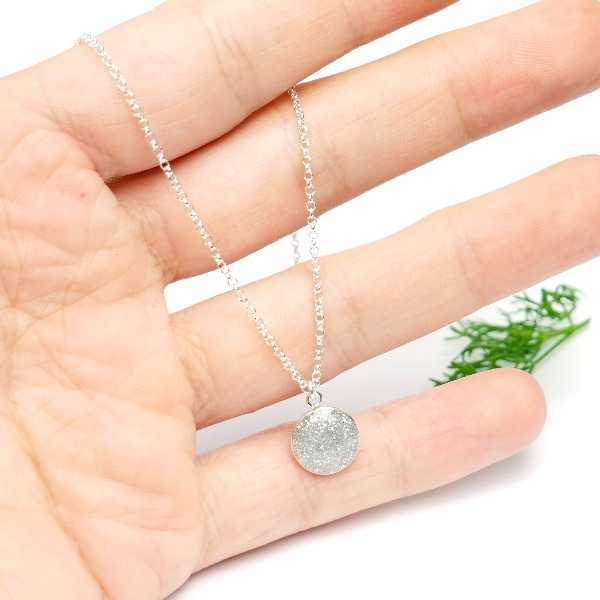 A beautiful necklace which attract the light as the looks.Small adjustable necklace in sterling silver from the Litchi collection.Chain length : from 40 to 45 cm (adjustable).Medallion size : 1,2 cm.Thickness: approximately 2 mm.Made in France. 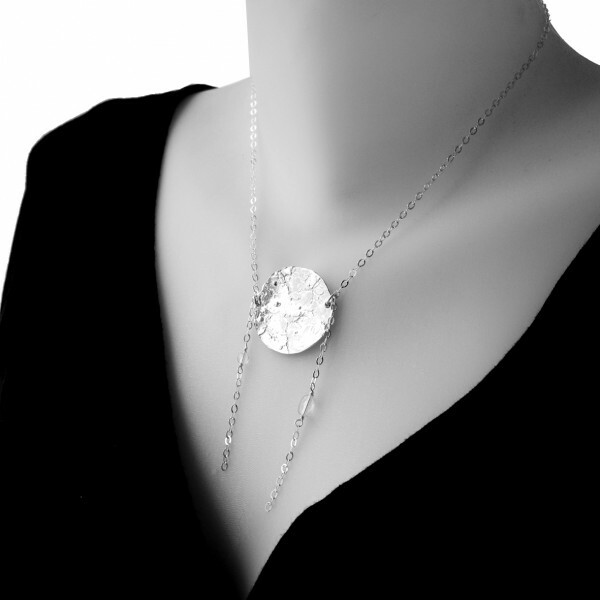 A beautiful necklace which attract the light as the looks.Adjustable necklace in sterling silver from the Litchi collection.Chain length : from 40 to 45 cm (adjustable).Medallion size : 1,6 cm.Thickness: approximately 2 mm.Made in France. 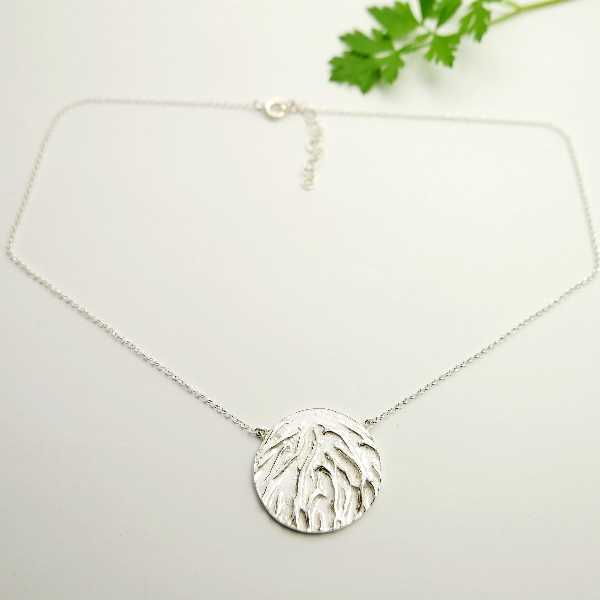 A beautiful necklace inspired by nature, which attract the light as the looks.Adjustable necklace in sterling silver from the Litchi collection.Chain length : from 40 to 45 cm (adjustable).Medallion size : 2,1 cm.Thickness: approximately 2 mm.Made in France. 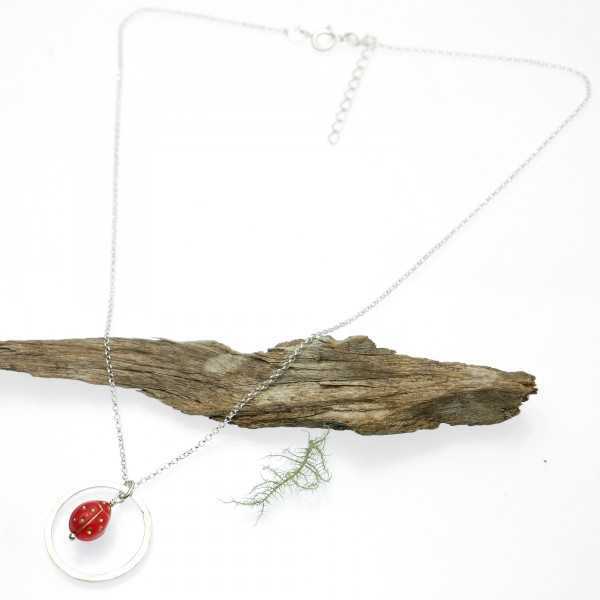 A wonderful necklace inspired by nature, which attract the light as the looks.Long necklace in sterling silver from the Litchi collection.Chain length : from 80 cm.Medallion size : 2,4 cm.Thickness: approximately 2 mm.Sterling silver and glass beads.Made in France. 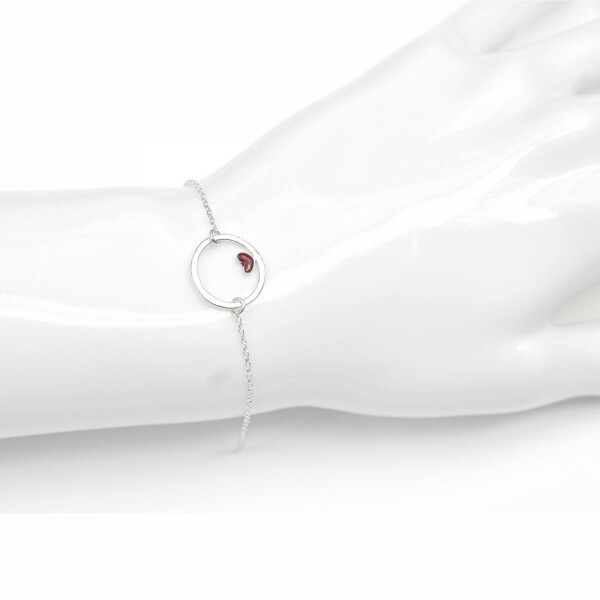 A beautiful bracelet inspired by nature, which attract the light as the looks.Small adjustable bracelet in sterling silver from the Litchi collection.Chain length : from 15,5 to 18,5 cm (adjustable).Medallion size : 0,9 cm.Thickness: approximately 2 mm.Made in France. 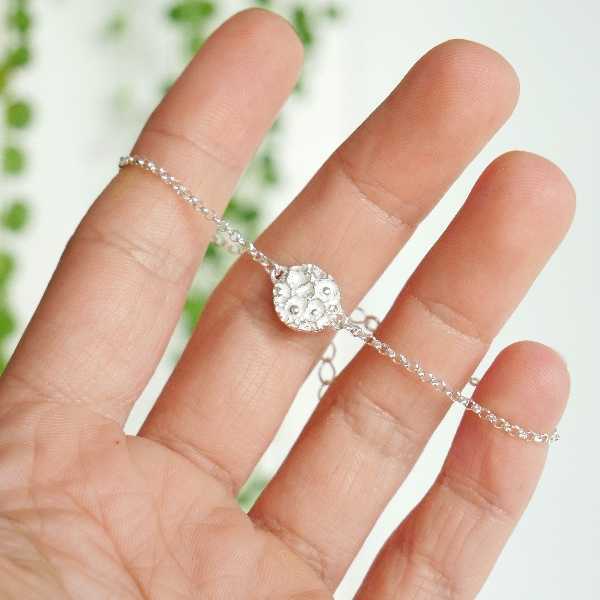 A beautiful bracelet inspired by nature, which attract the light as the looks.Small adjustable bracelet in sterling silver from the Litchi collection.Chain length : from 15,5 to 18,5 cm (adjustable).Medallion size : 1,2 cm.Thickness: approximately 2 mm.Made in France. 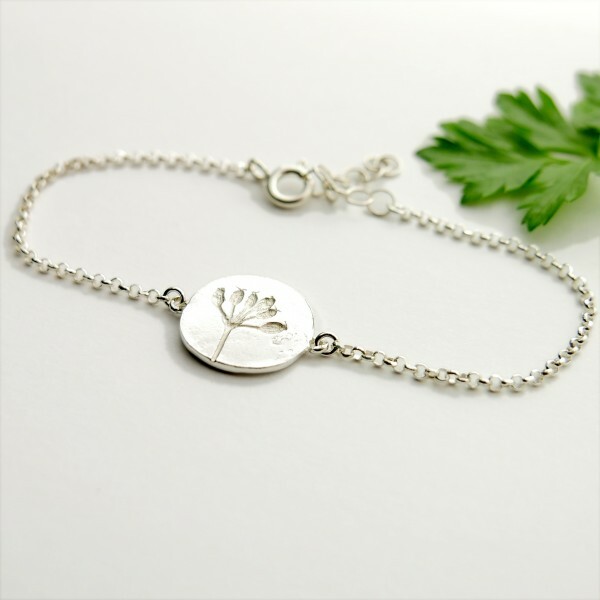 A beautiful bracelet inspired by nature, which attract the light as the looks.Nice adjustable bracelet in sterling silver from the Litchi collection.Chain length : from 15,5 to 18,5 cm (adjustable).Medallion size : 1,6 cm.Thickness: approximately 2 mm.Made in France. 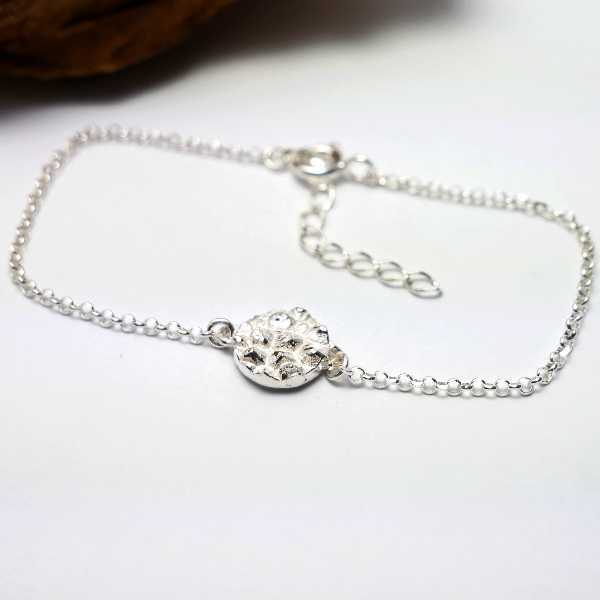 A beautiful bracelet inspired by nature, which attract the light as the looks.Nice adjustable bracelet in sterling silver from the Litchi collection.Chain length : from 15,5 to 18,5 cm (adjustable).Medallion size : 2,1 cm.Thickness: approximately 2 mm.Made in France. 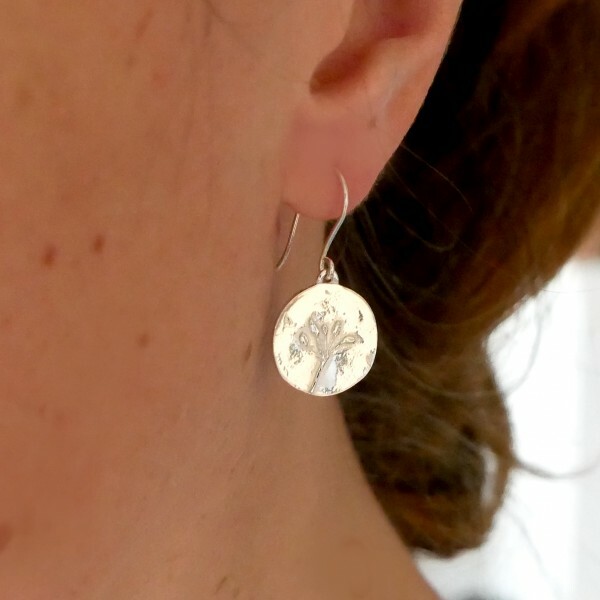 Beautiful earrings inspired by nature, which attract the light as the looks.Small sterling silver earrings from the Litchi collection.Medallion size : 0,9 cm.Thickness: approximately 2 mm.Made in France. 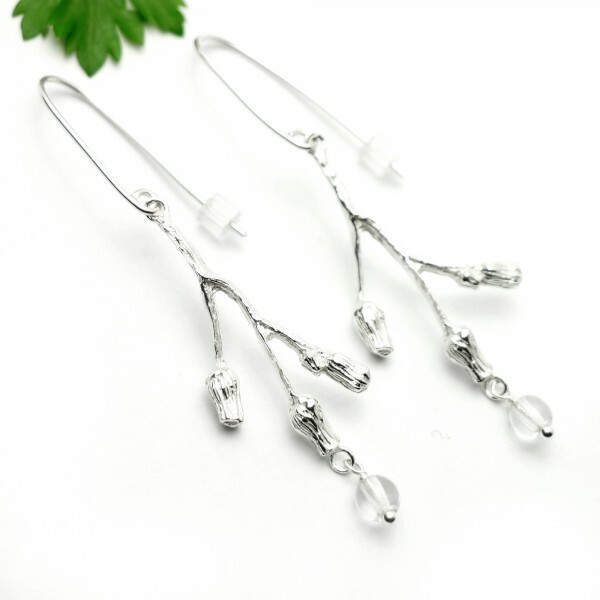 Beautiful earrings inspired by nature, which attract the light as the looks.Long sterling silver earrings from the Litchi collection.Total length : 6 cm. 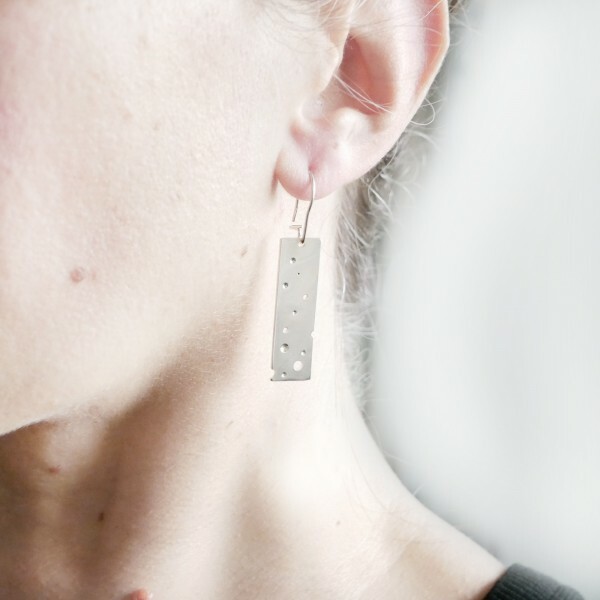 (It's possible to have an other length on request an without additional cost)Medallion size : 1,2 cm.Thickness: approximately 2 mm.Made in France. 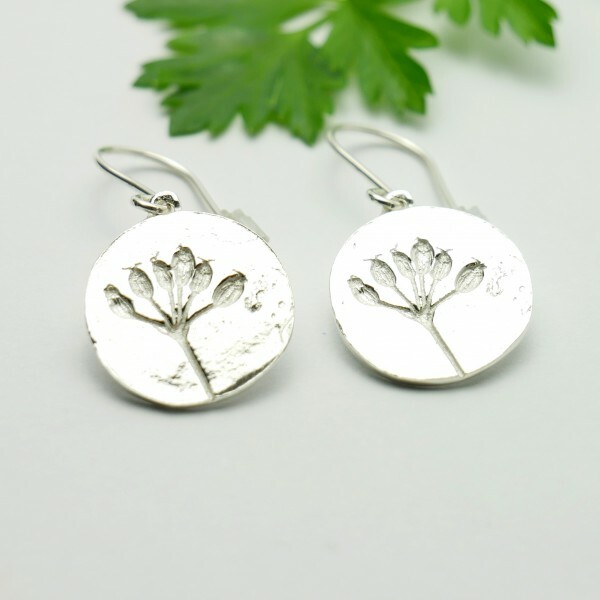 Beautiful earrings inspired by nature, which attract the light as the looks.Long sterling silver earrings from the Litchi collection.Total length : 3 cm.Medallion size : 1,6 cm.Thickness : approximately 2 mm.Made in France. 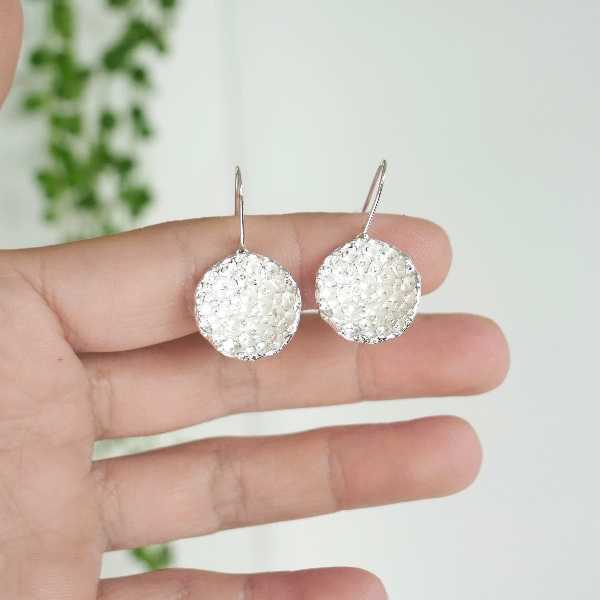 Wonderful earrings inspired by nature, which attract the light as the looks.Long sterling silver earrings from the Litchi collection.Total length : 3,5 cm.Medallion size : 2,1 cm.Thickness: approximately 2 mm.Made in France. 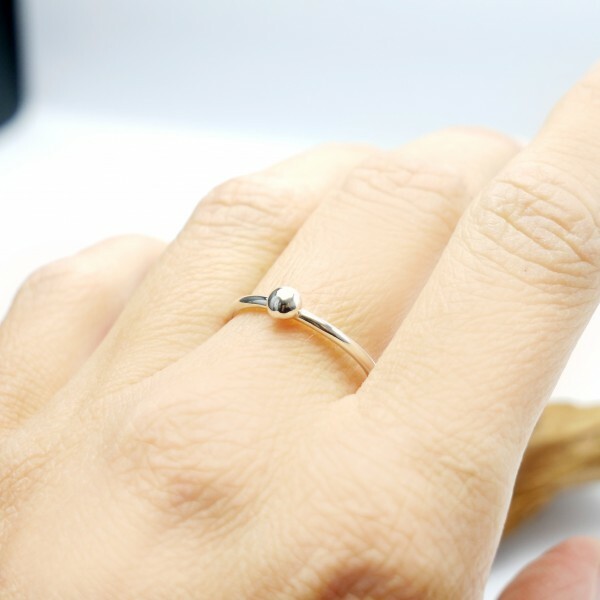 A beautiful ring inspired by nature, which attract the light as the looks.Adjustable sterling silver ring from the Litchi collection.Sizes : from 48 to 56 (adjustable).Medallion size : 0,9 cm.The ring is 2 mm largeThickness: approximately 2 mm.Made in France. 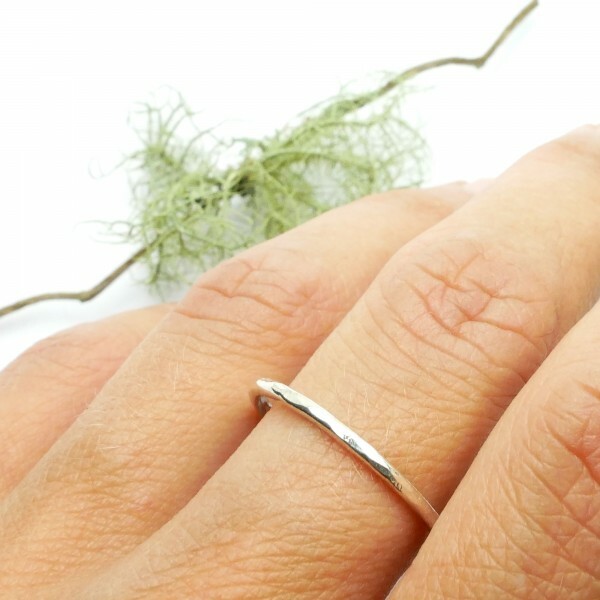 A beautiful ring inspired by nature, which attract the light as the looks.Adjustable sterling silver ring from the Litchi collection.Sizes : from 48 to 56 (adjustable).Medallion size : 1,2 cm.The ring is 2 mm largeThickness: approximately 2 mm.Made in France. A beautiful ring inspired by nature, which attract the light as the looks.Adjustable sterling silver ring from the Litchi collection.Sizes : from 48 to 56 (adjustable).Medallion size : 1,6 cm.The ring is 2,5 mm largeThickness: approximately 2 mm.Made in France. 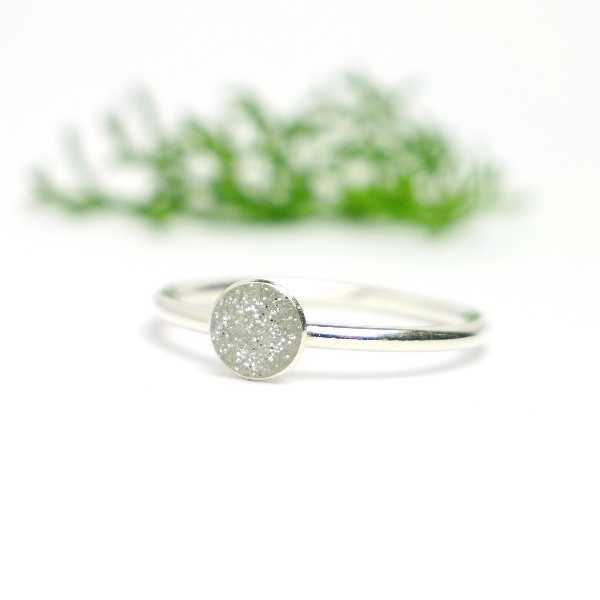 A beautiful ring inspired by nature, which attract the light as the looks.Adjustable sterling silver ring from the Litchi collection.Sizes : from 48 to 56 (adjustable).Medallion size : 2,1 cm.the ring is 3 mm largeThickness: approximately 2 mm.Made in France. A beautiful ring inspired by nature, which attract the light as the looks.Adjustable sterling silver ring from the Litchi collection.Sizes : from 48 to 56 (adjustable).Medallion size : 2,4 cm.the ring is 3 mm largeThickness: approximately 2 mm.Made in France. The shipping is free for all over the world! You can pay with your credit card on paypal website. All the jewels leave the workshop under 24 / 48h. You have 15 days to change your mind. Free return. You can pay your purchases by credit card on Paypal without opening of account.